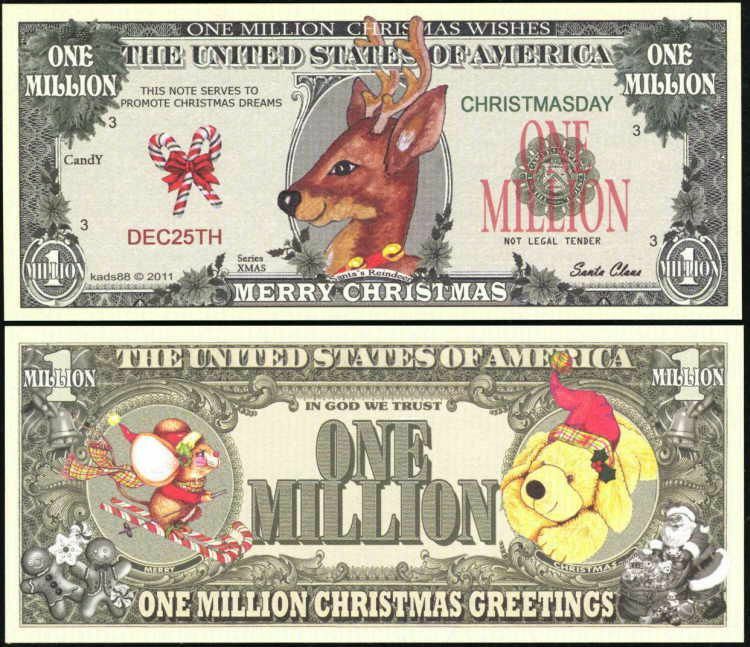 Get ready for Christmas. 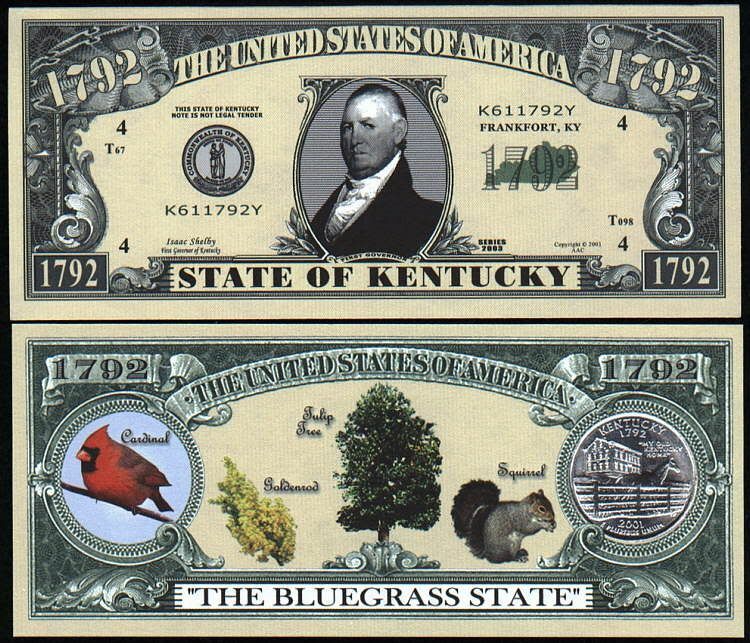 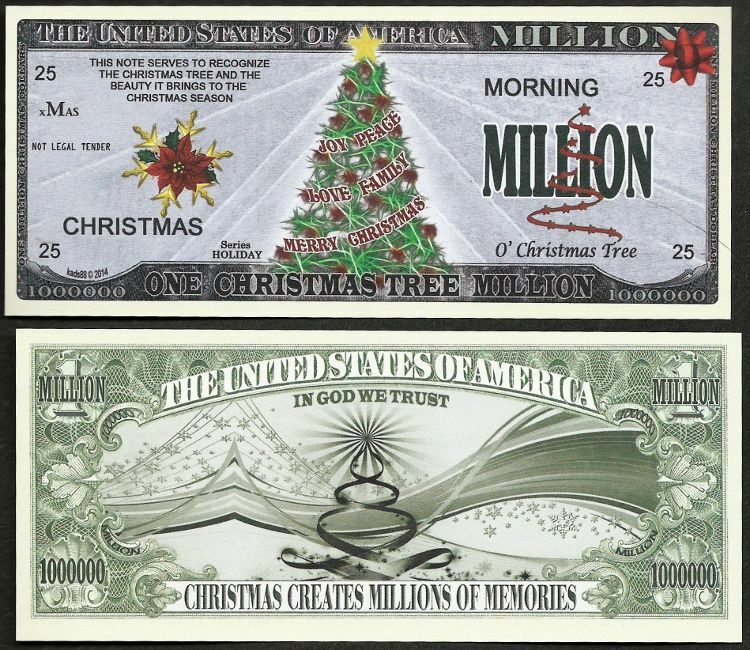 These bills make GREAT Party Favors, Stocking Stuffers or include with Christmas Cards! 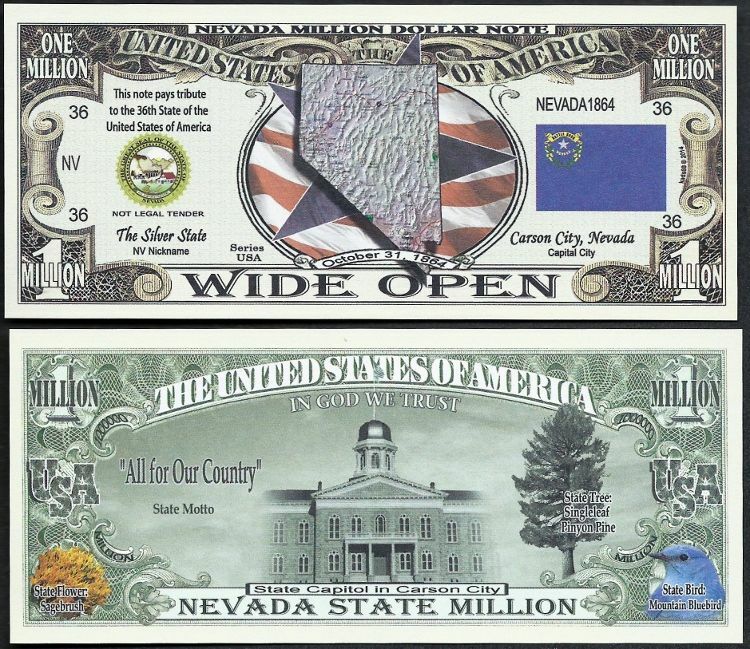 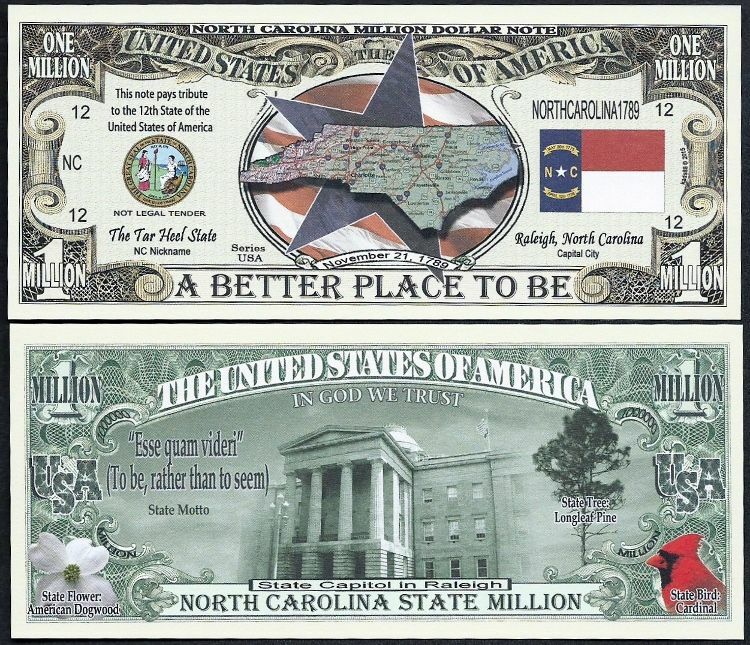 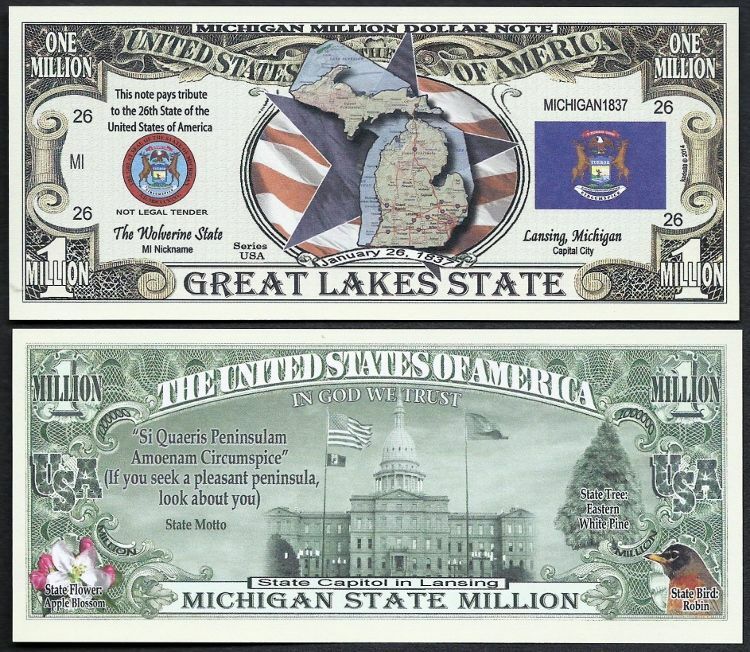 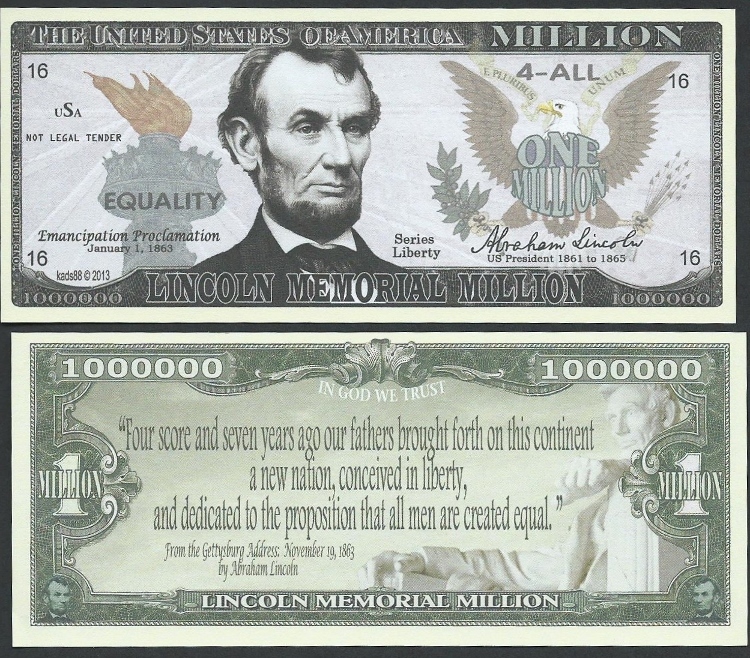 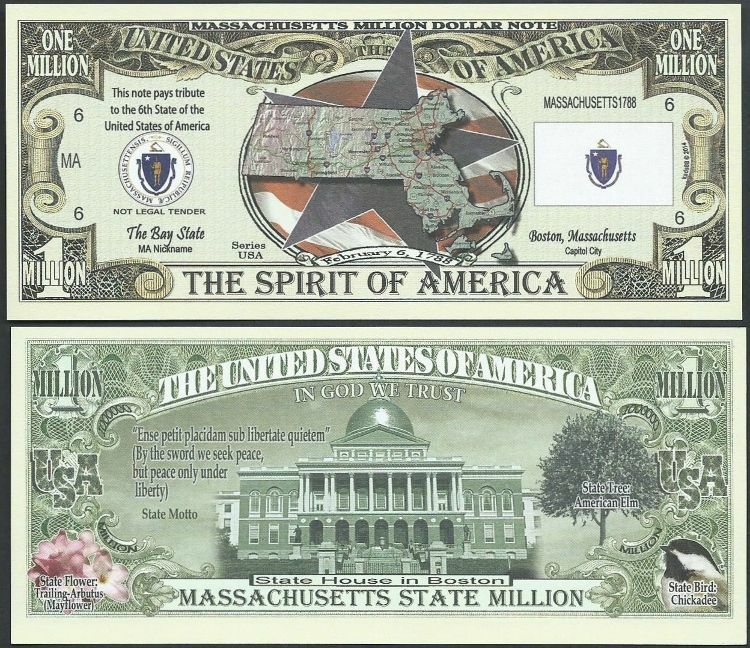 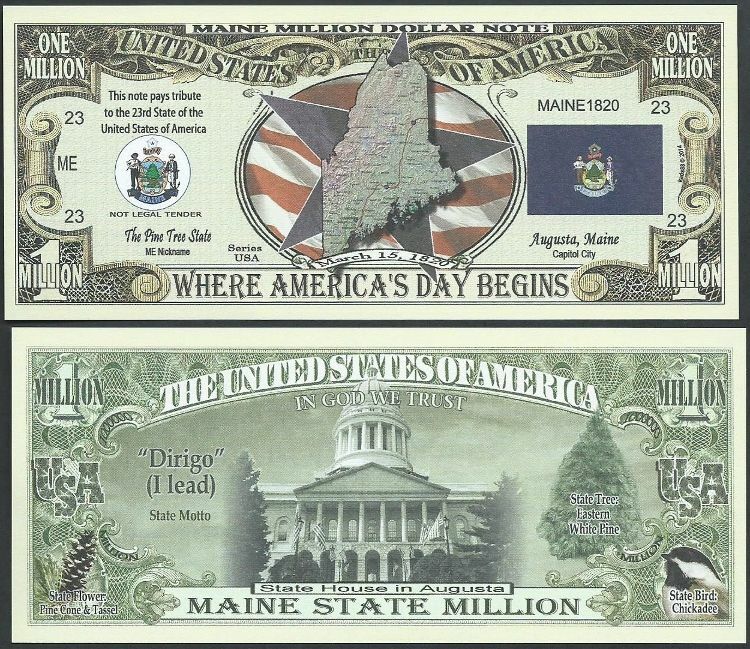 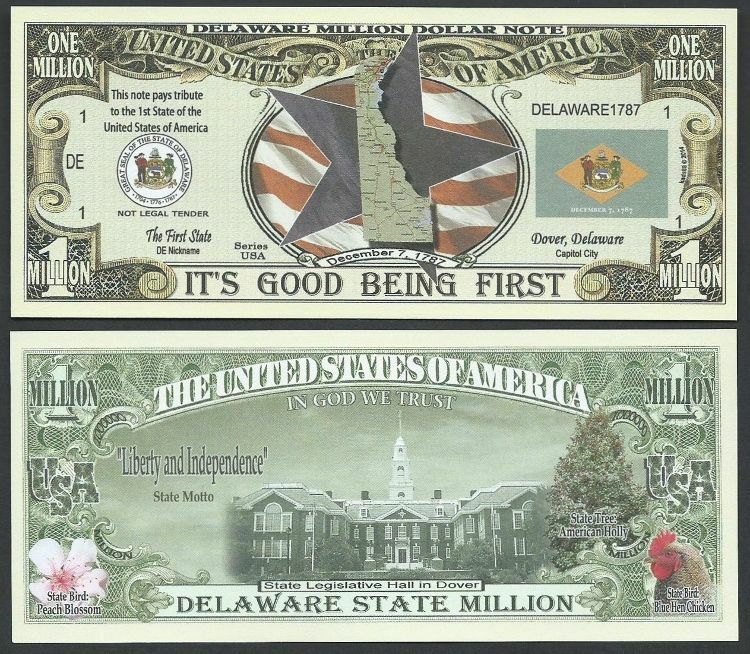 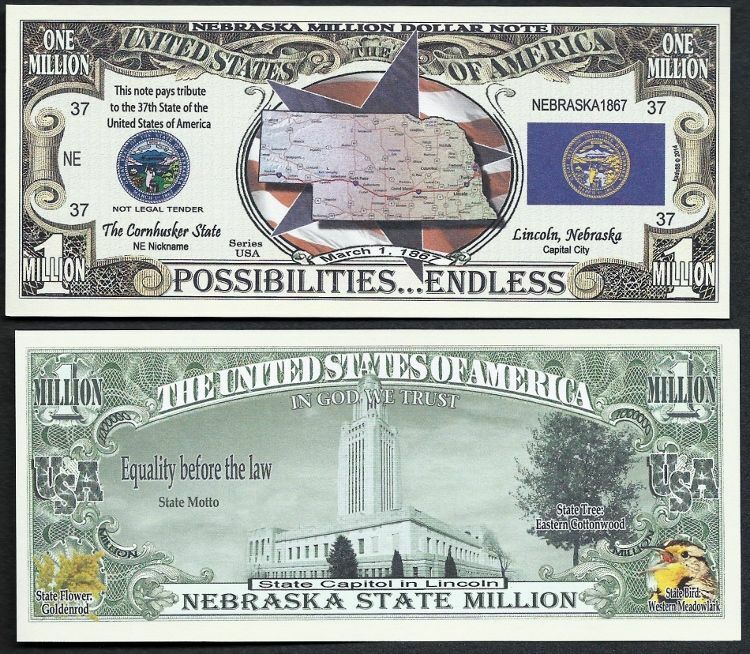 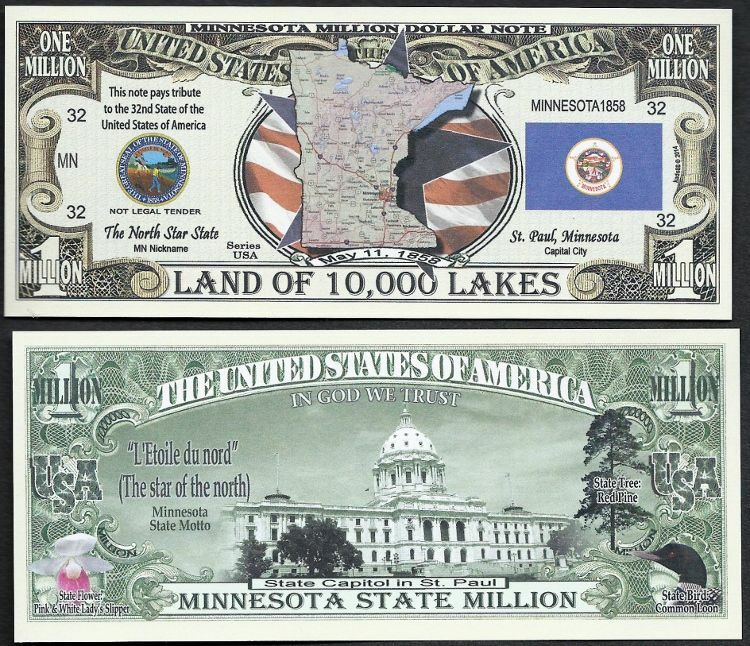 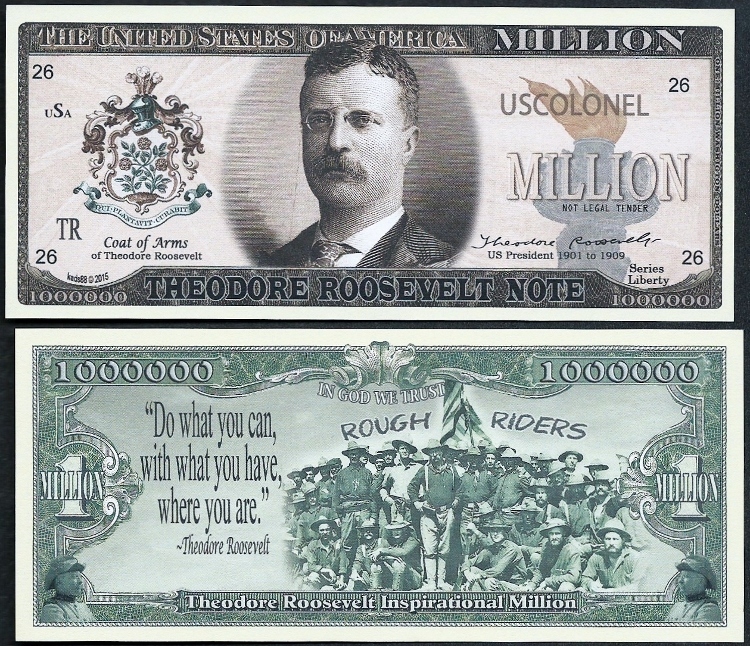 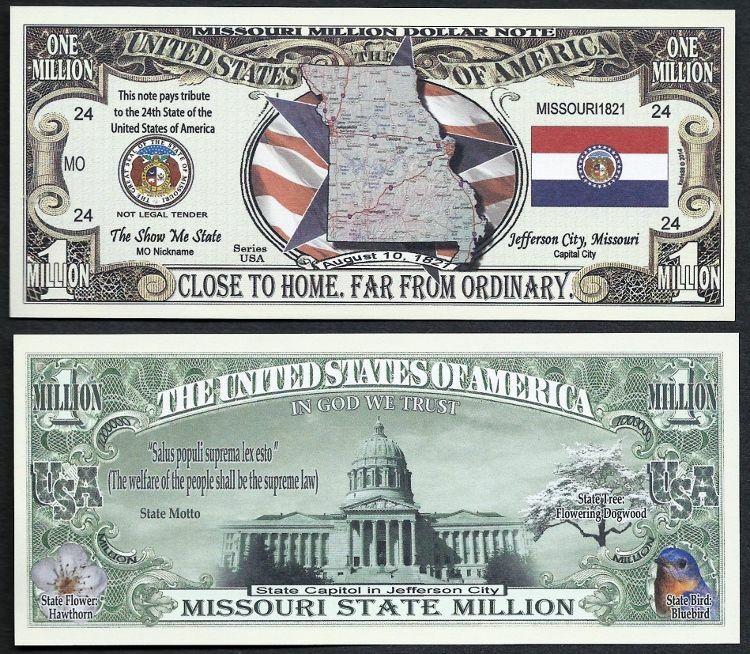 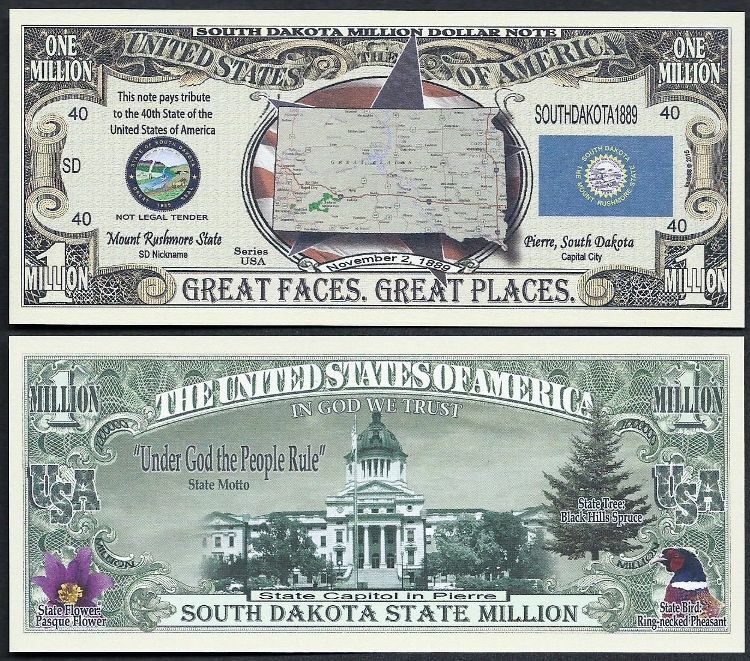 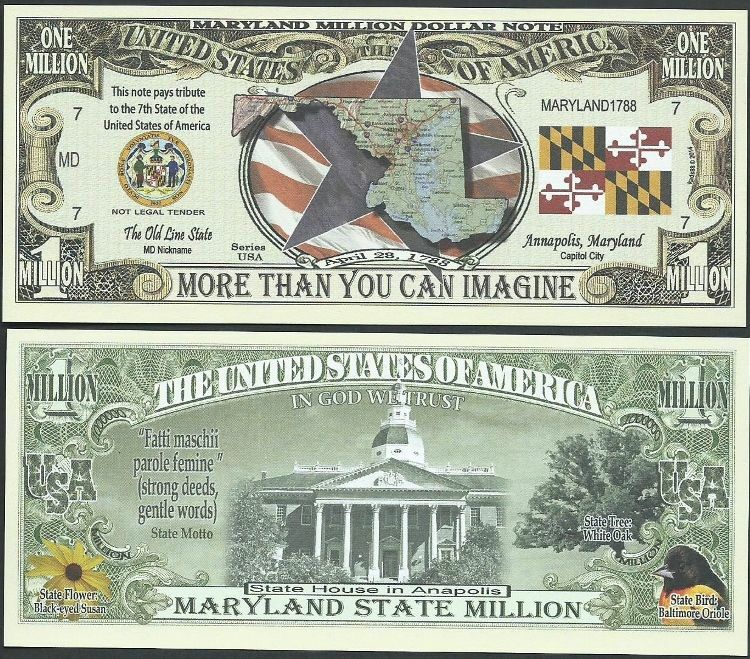 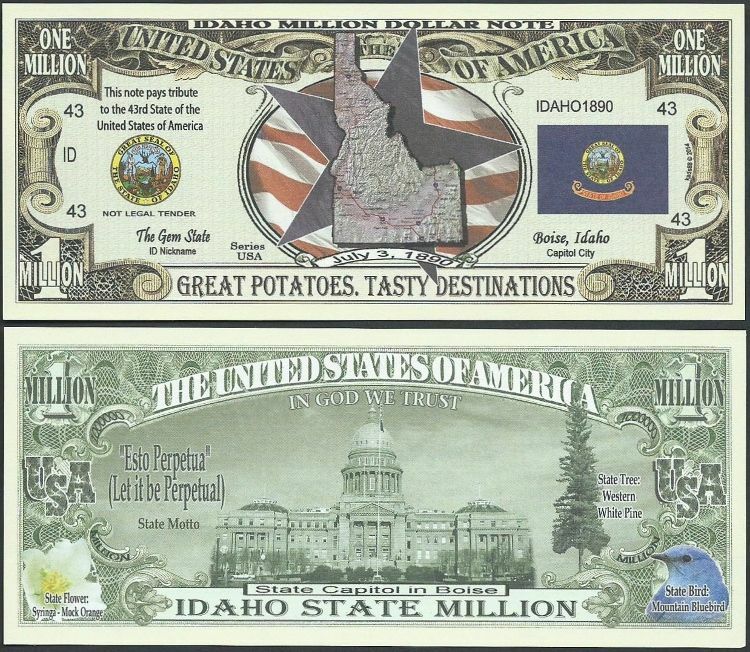 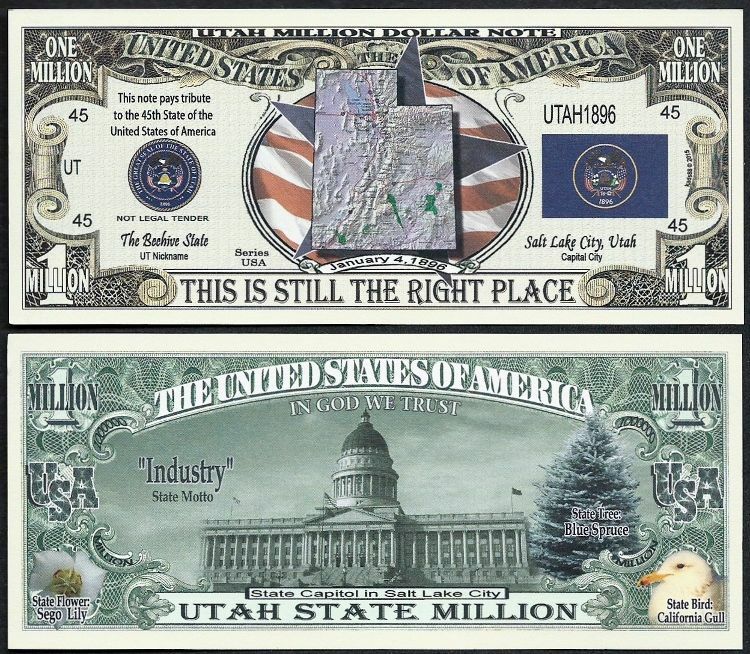 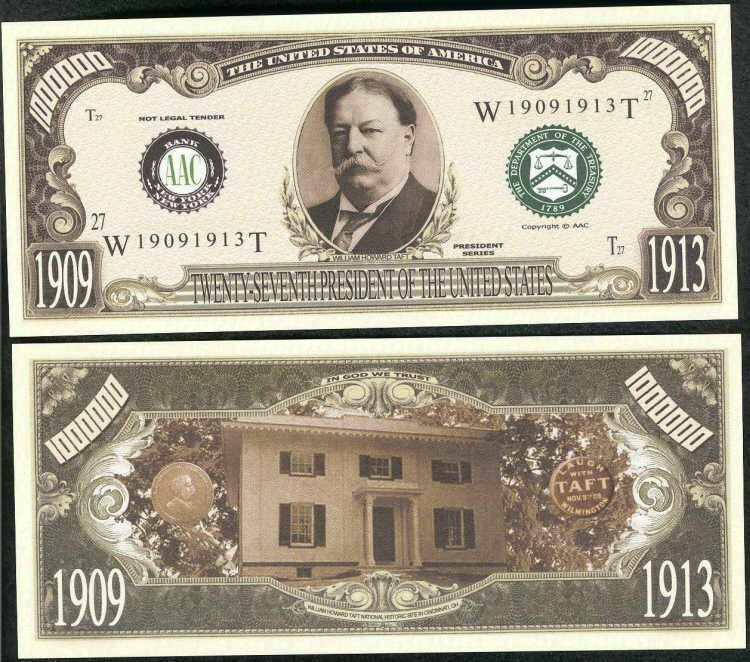 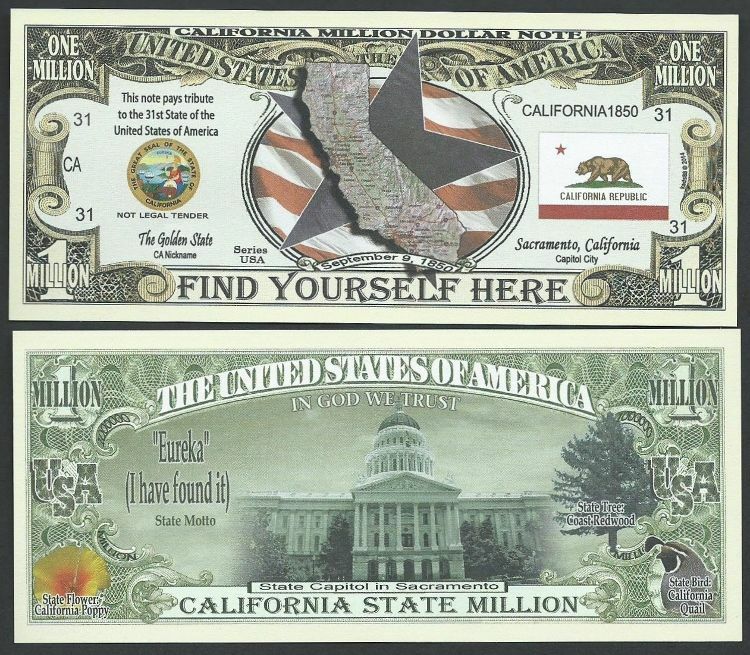 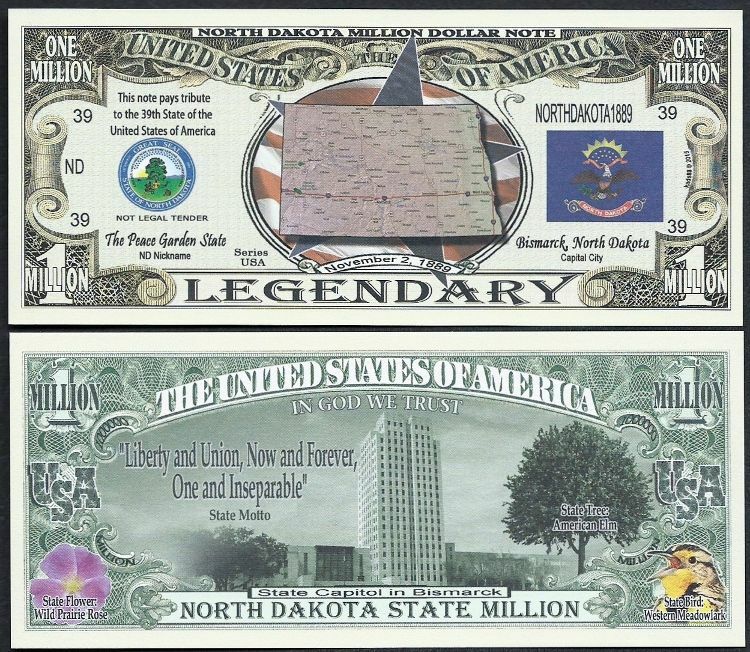 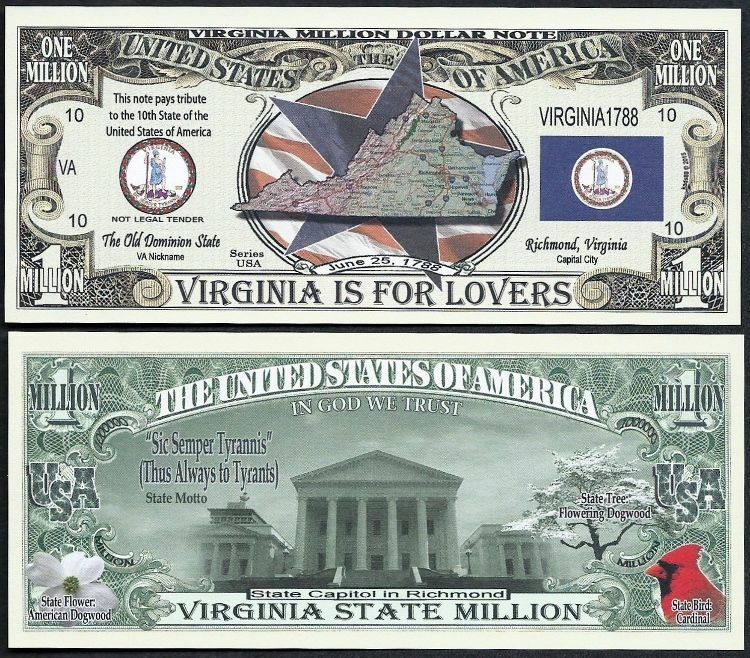 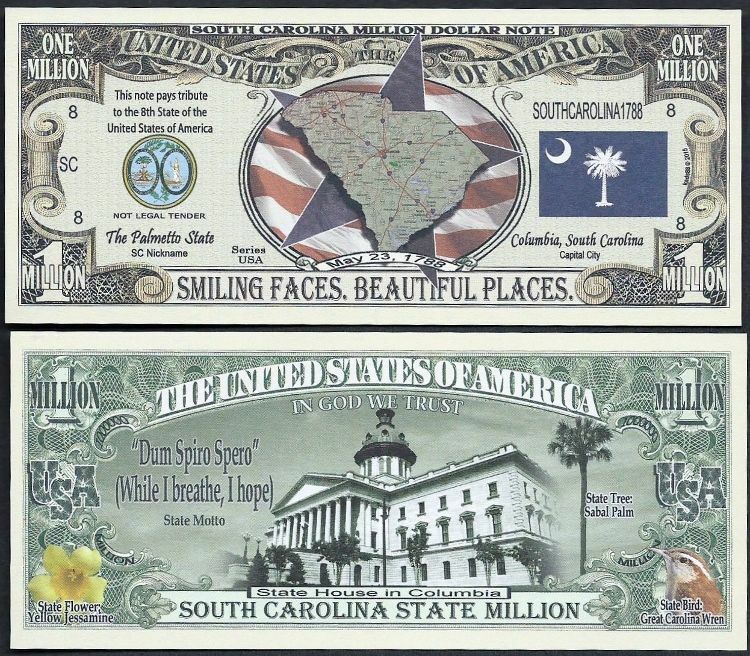 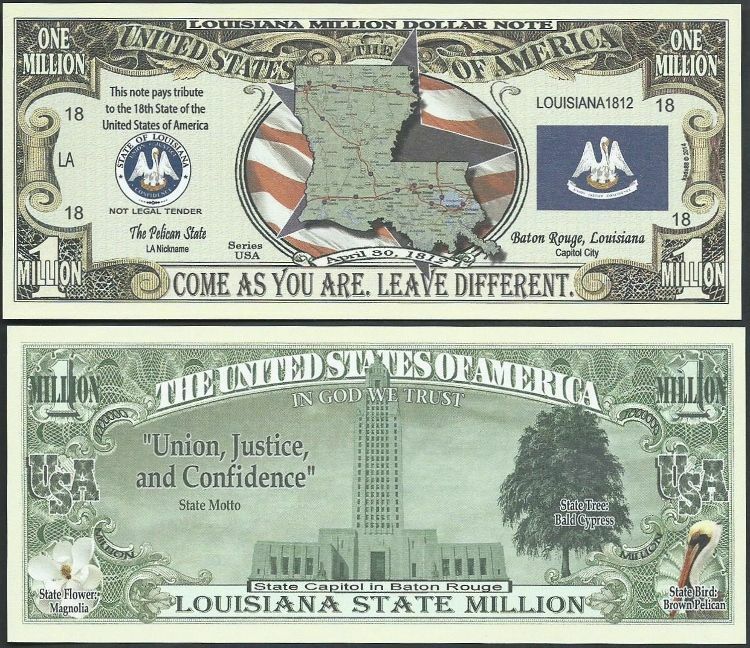 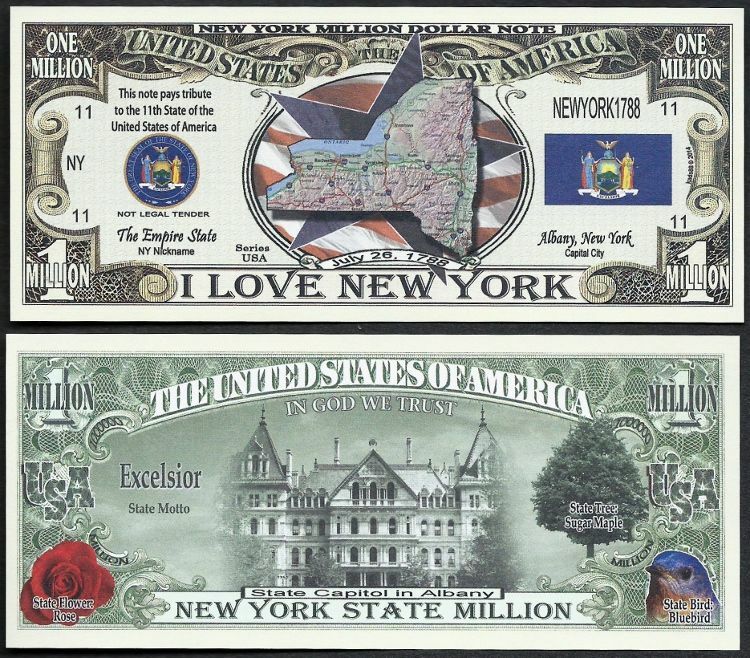 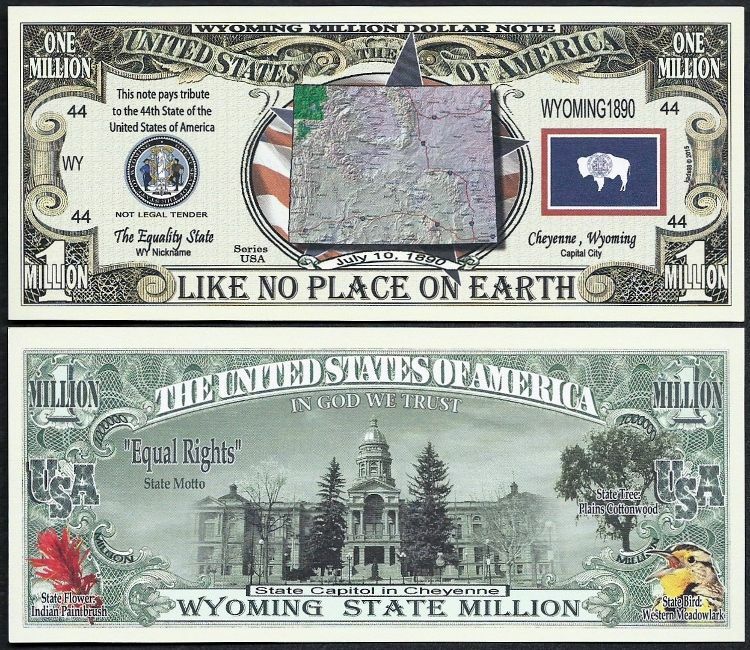 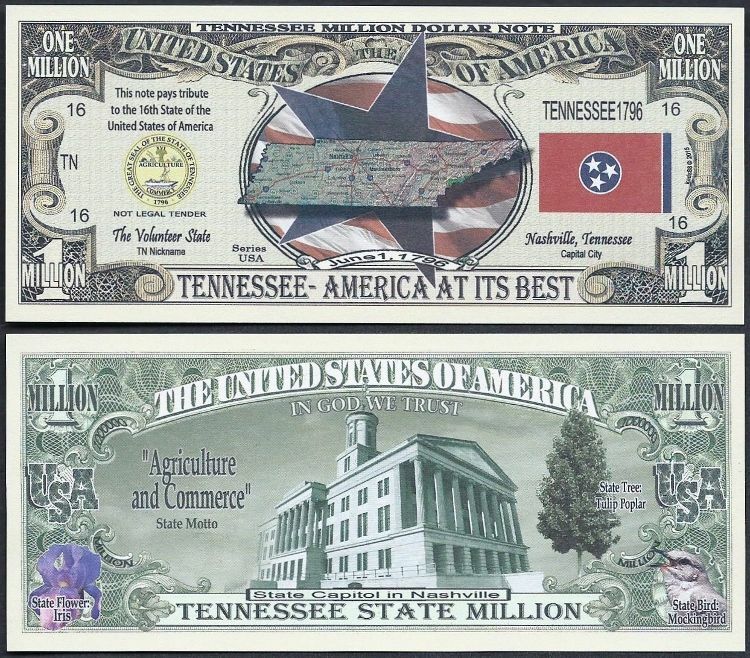 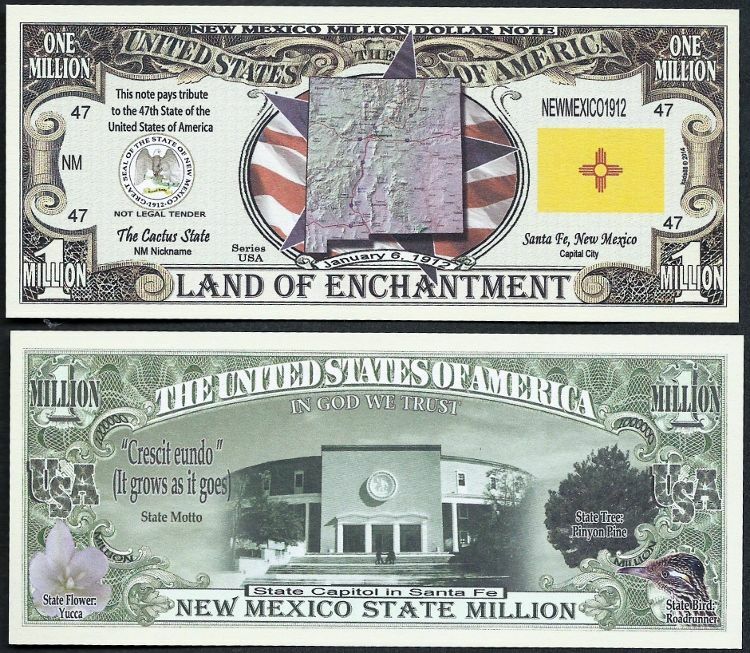 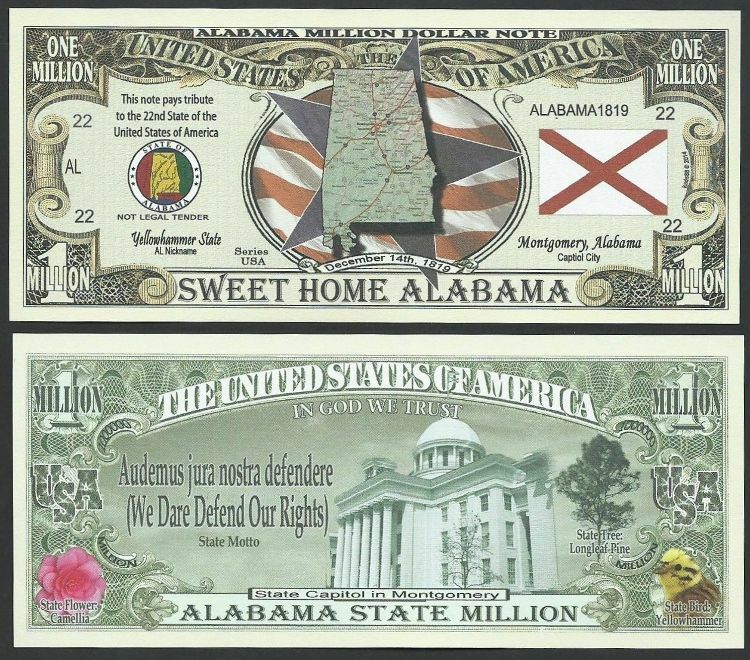 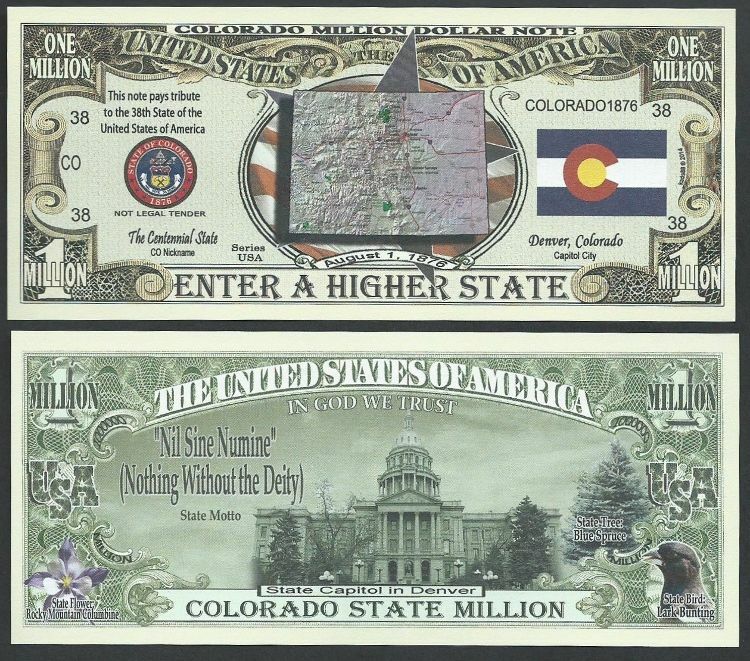 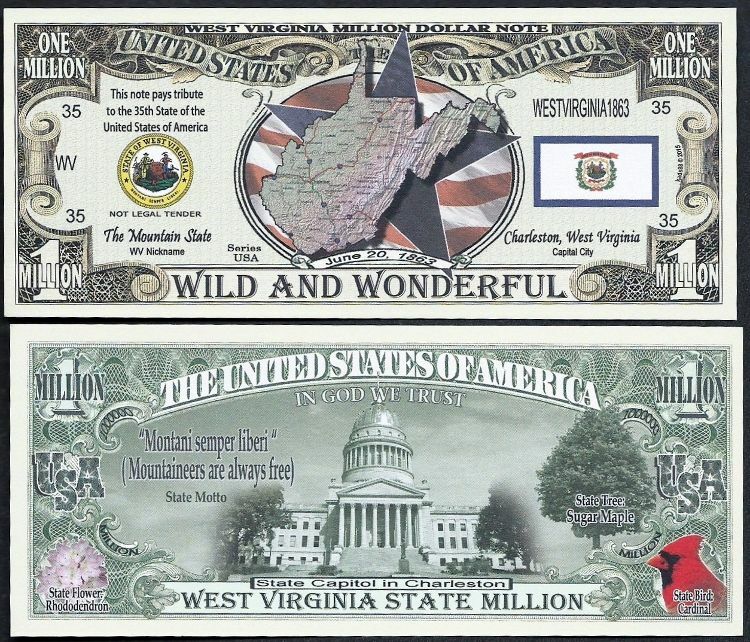 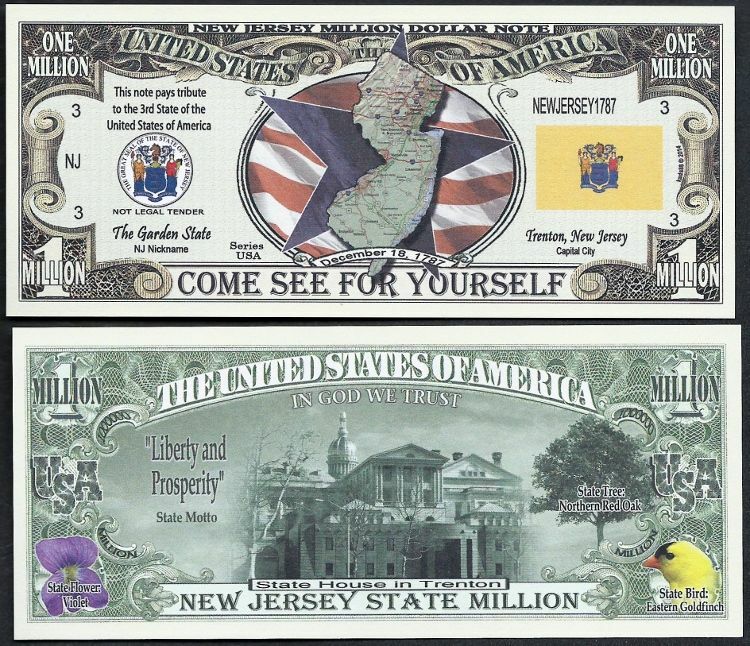 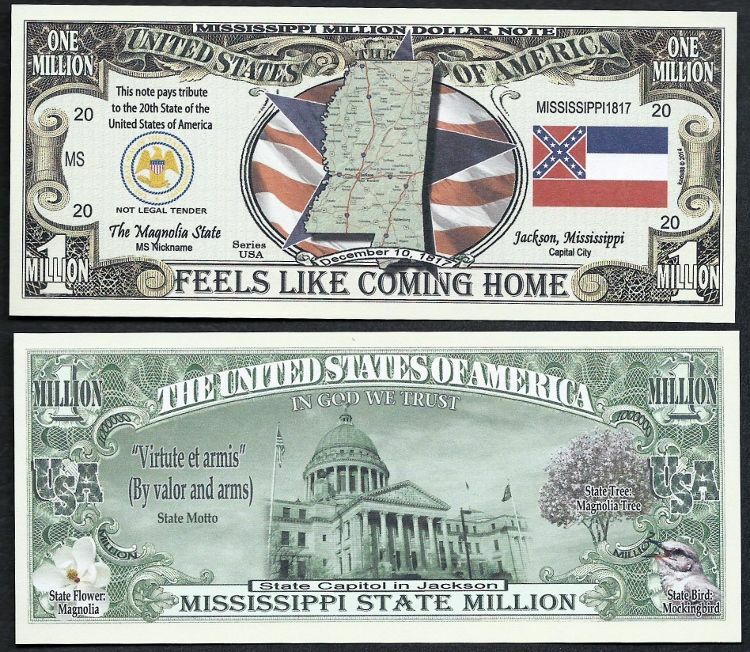 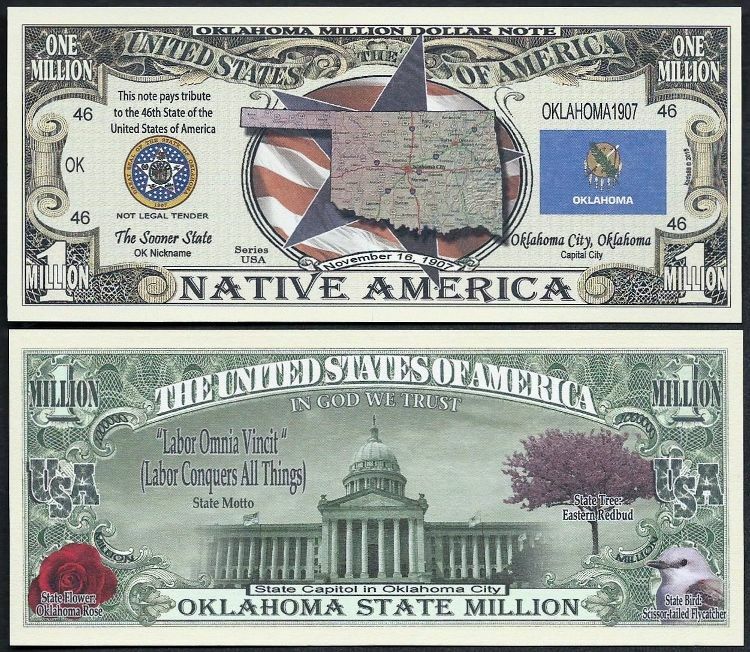 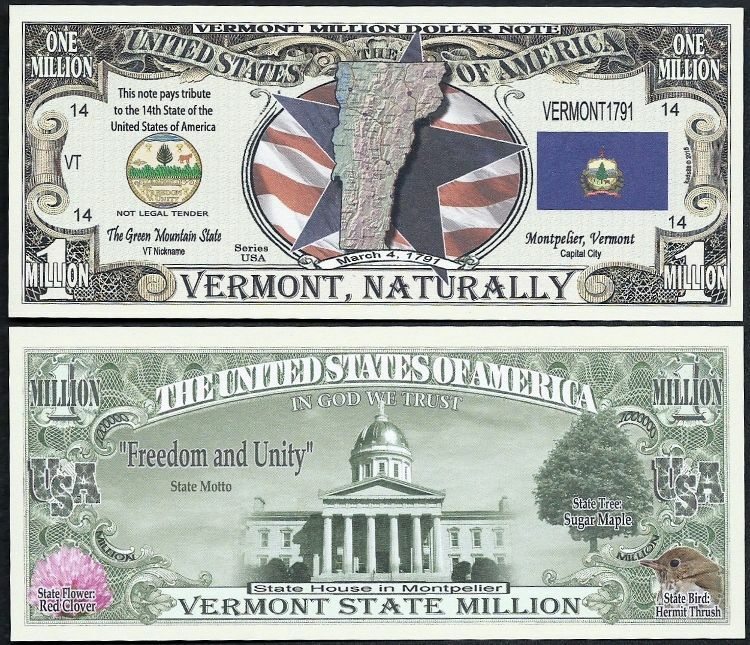 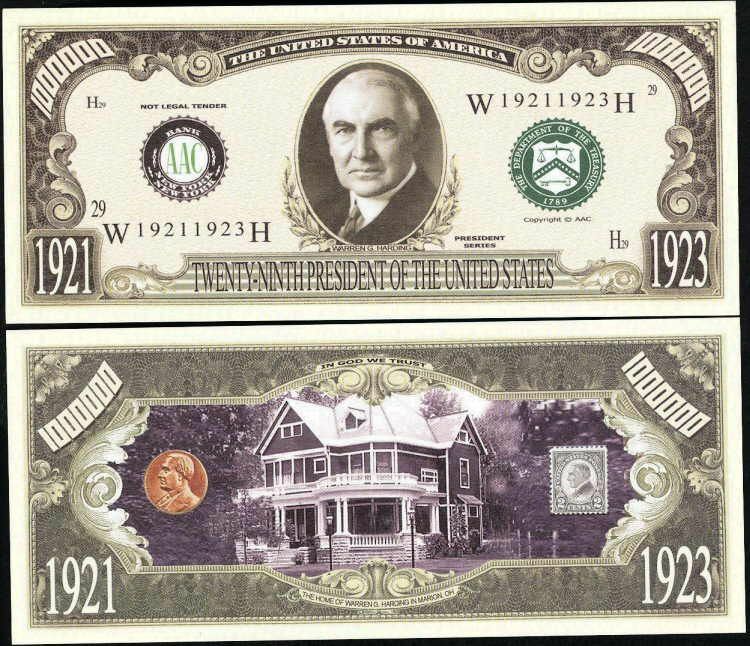 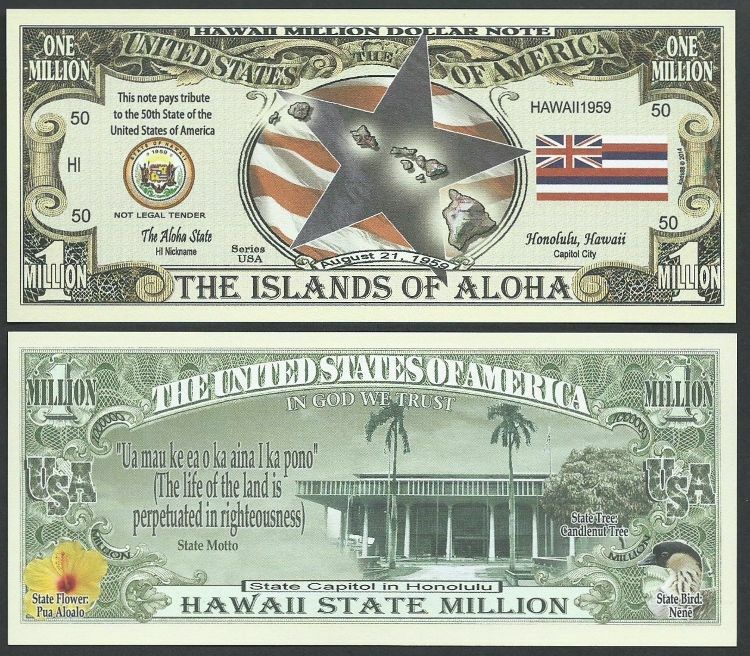 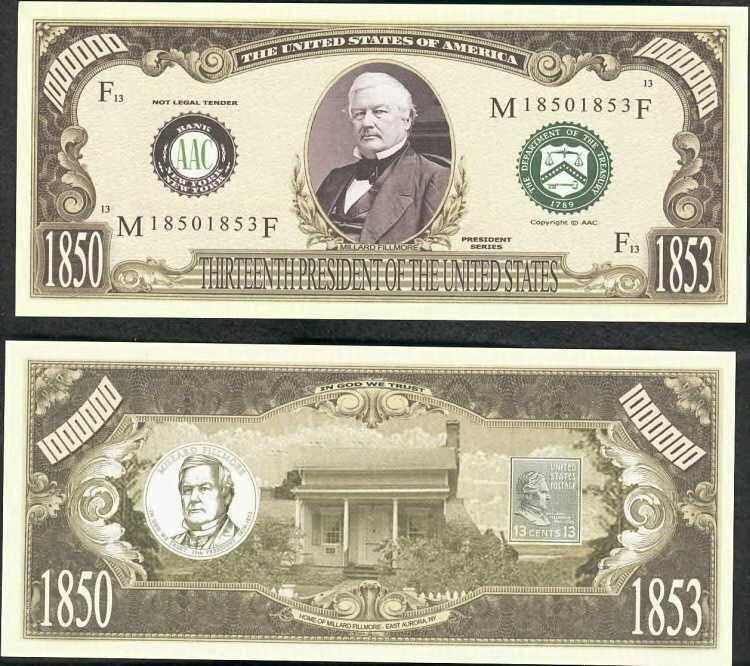 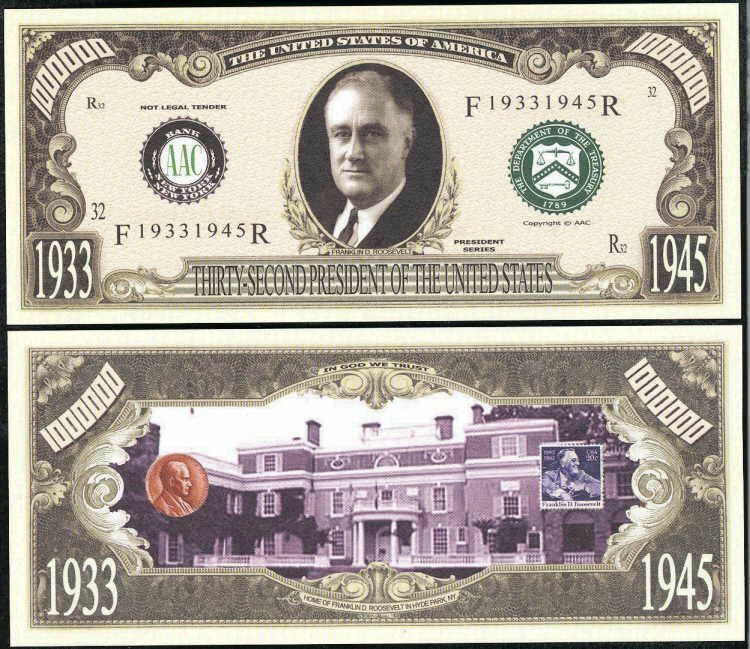 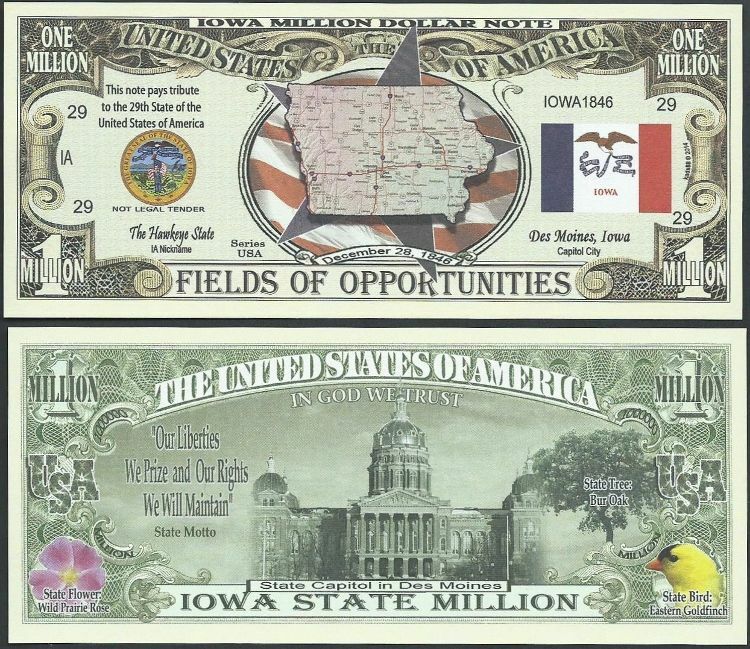 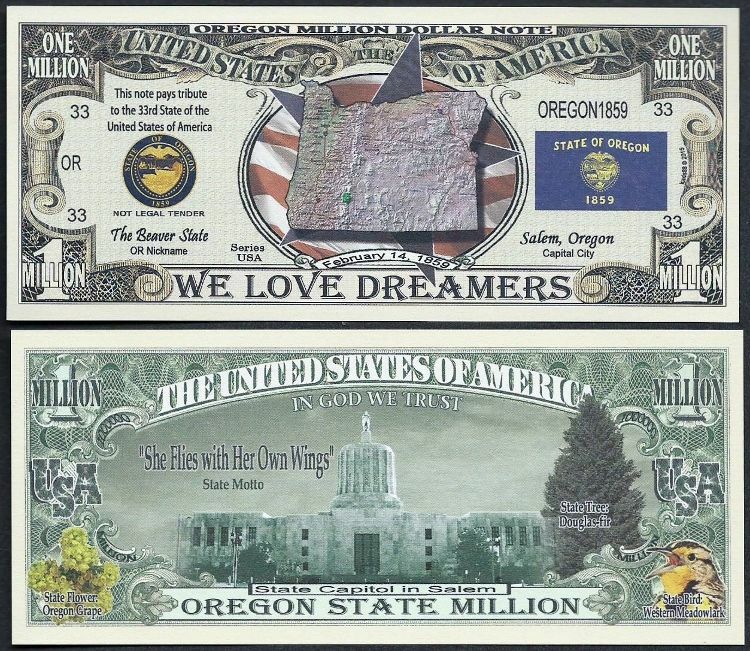 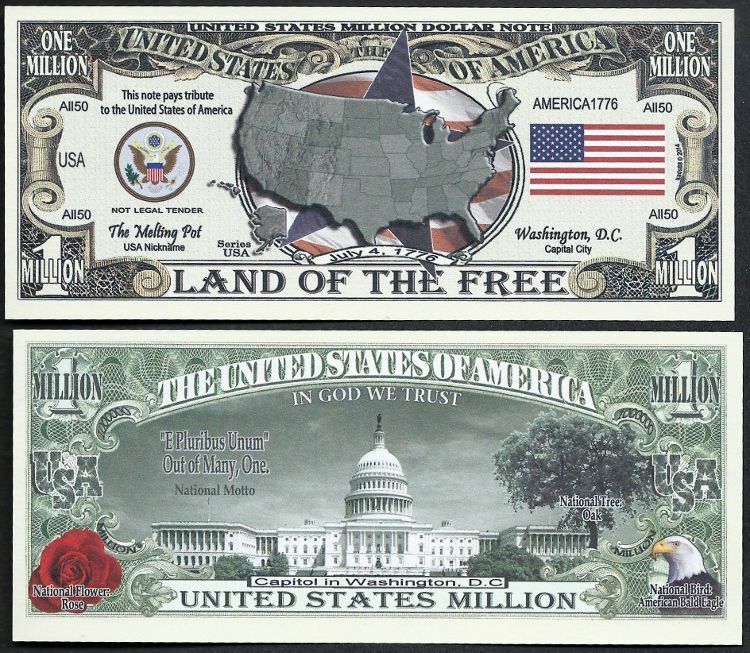 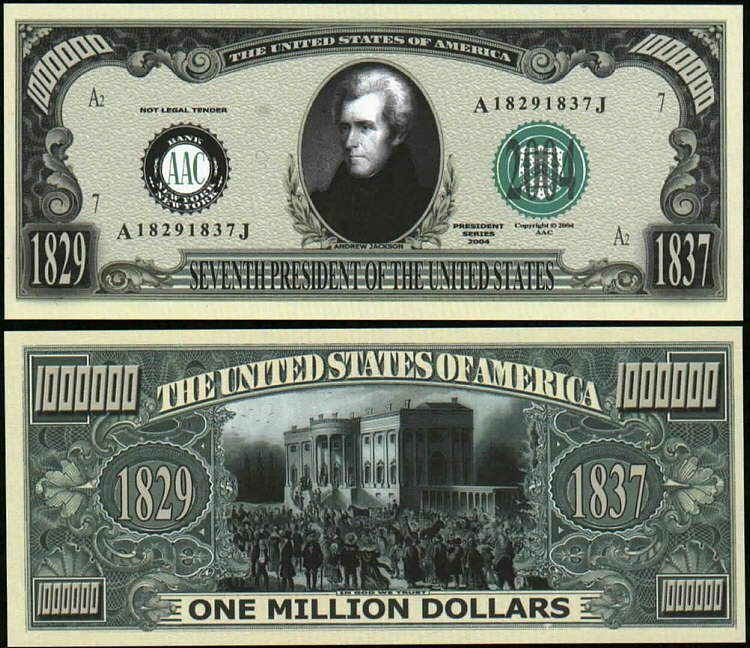 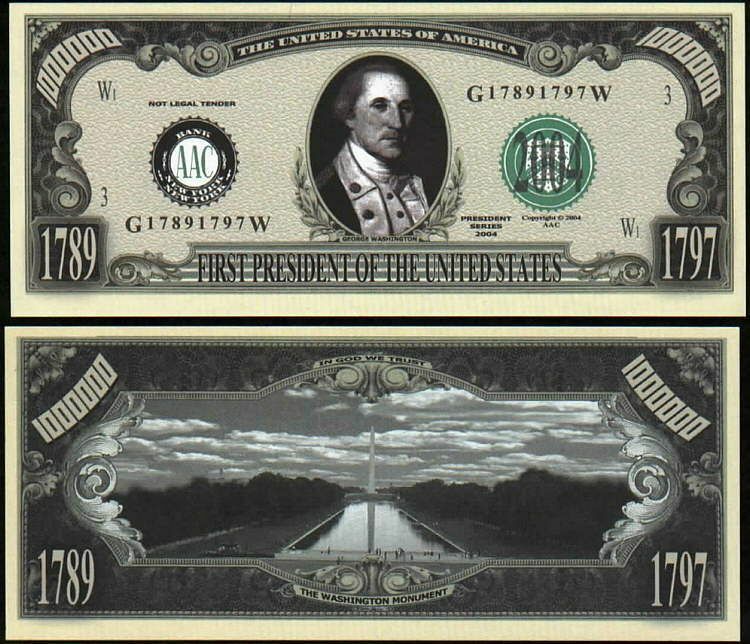 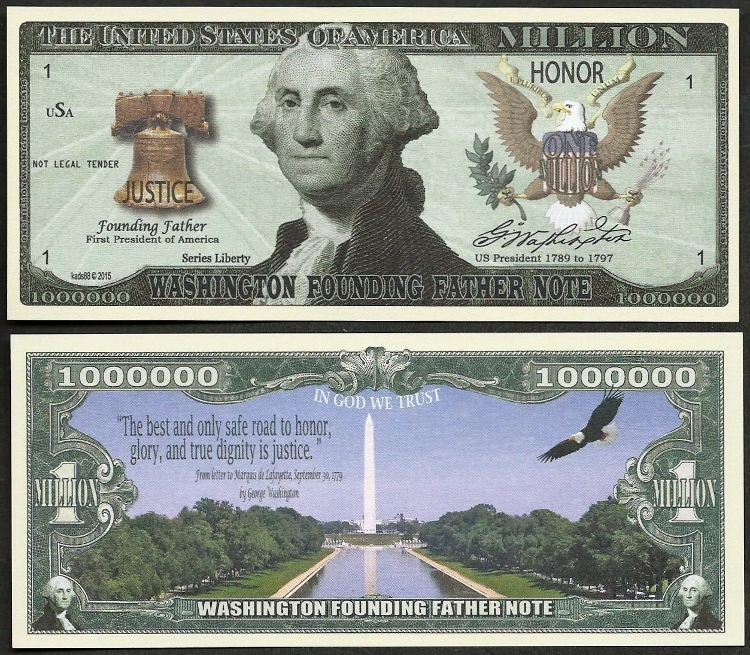 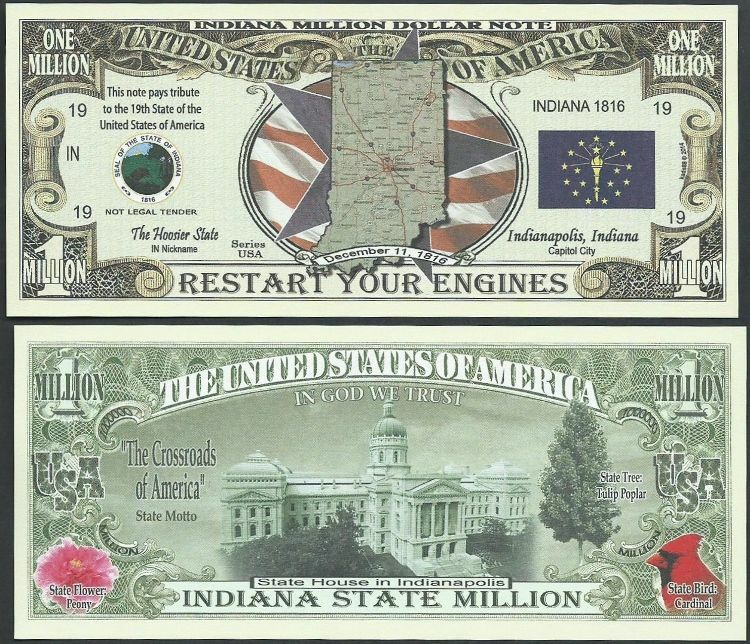 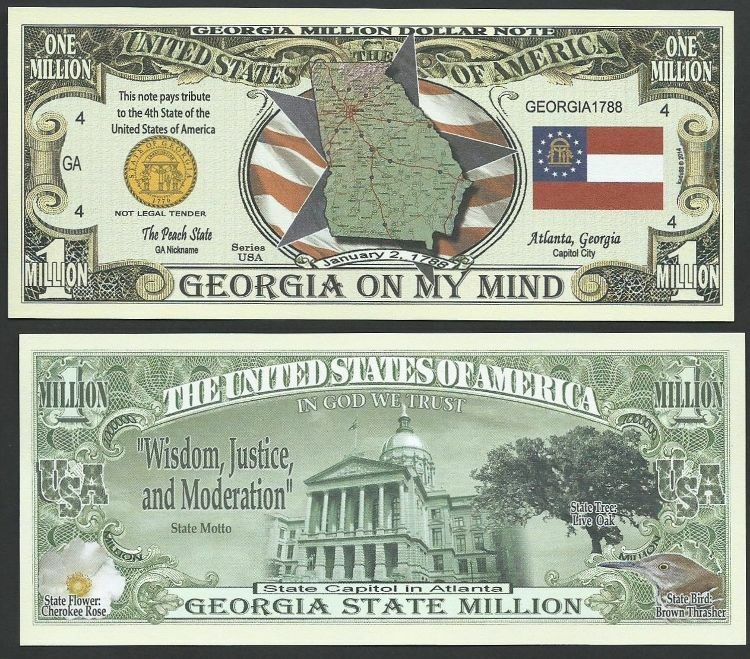 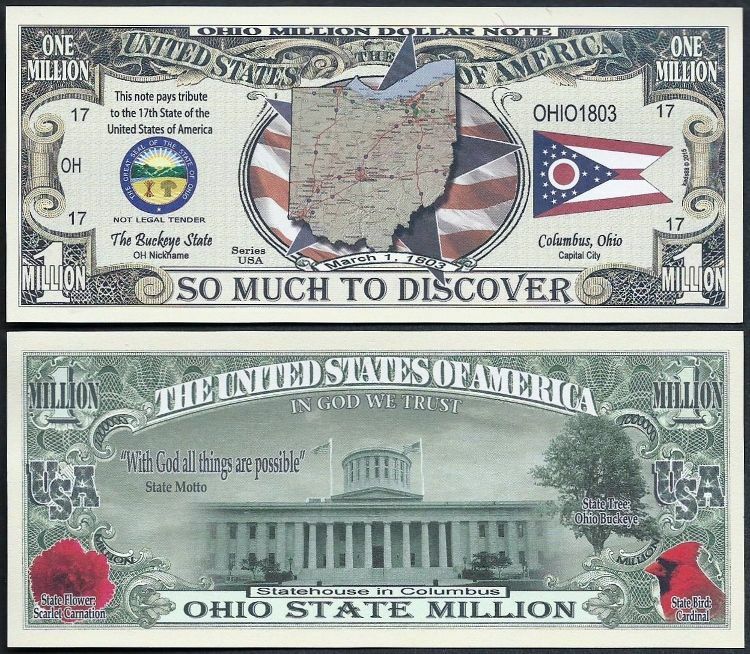 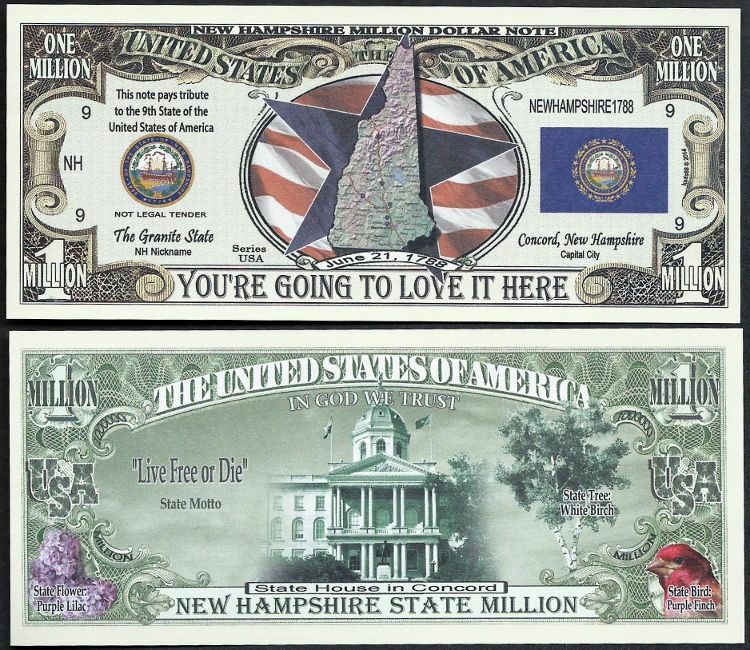 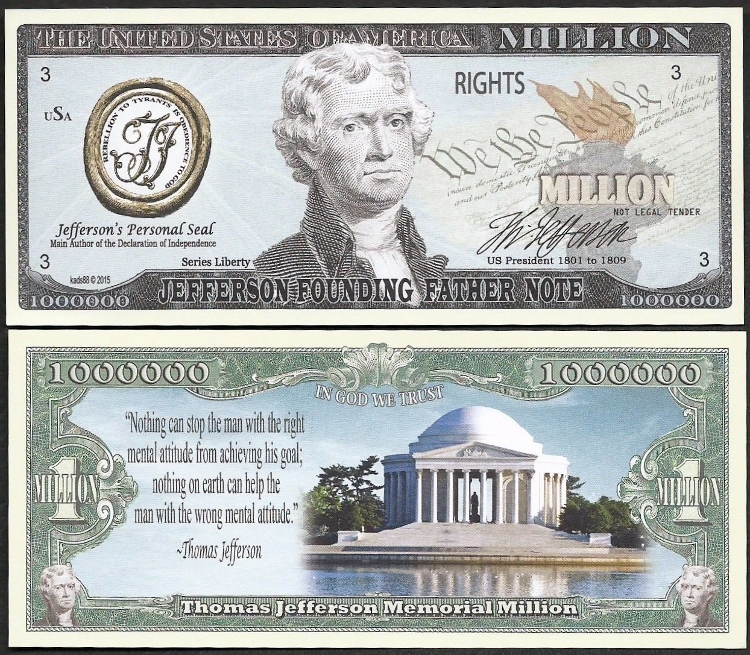 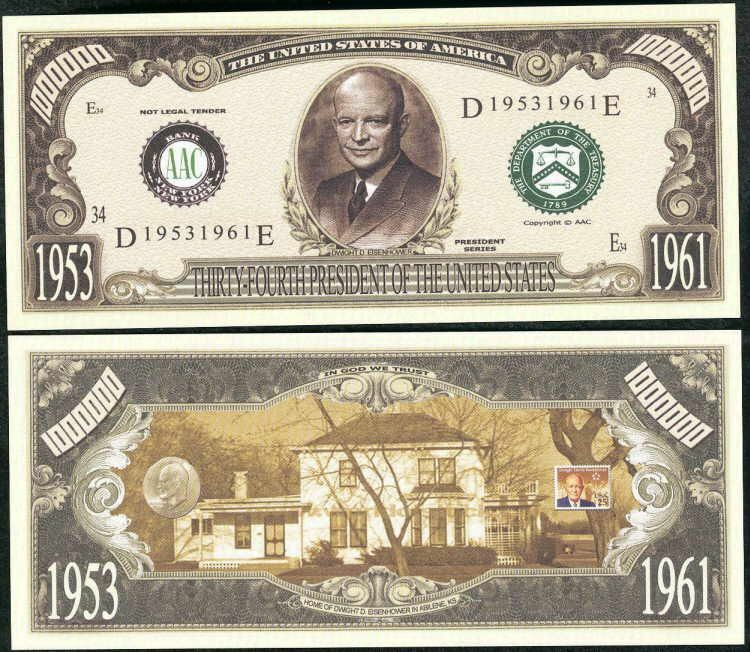 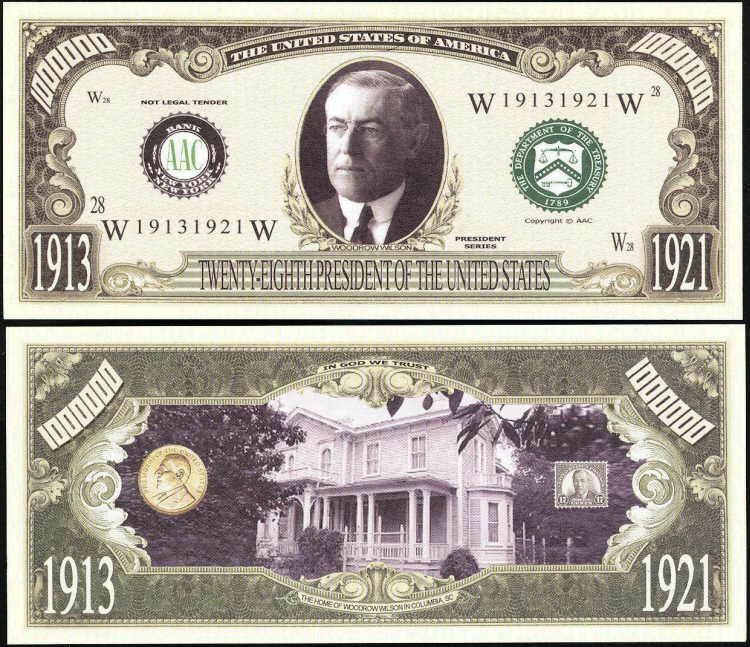 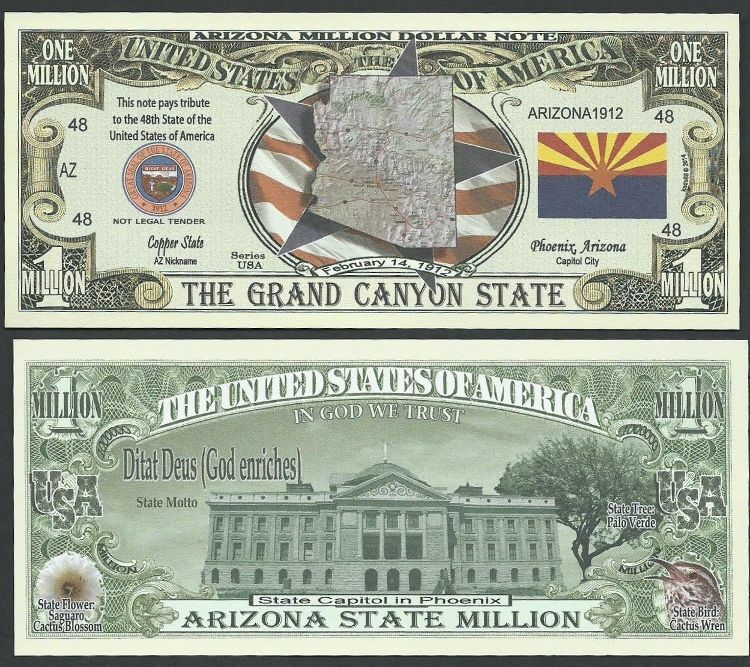 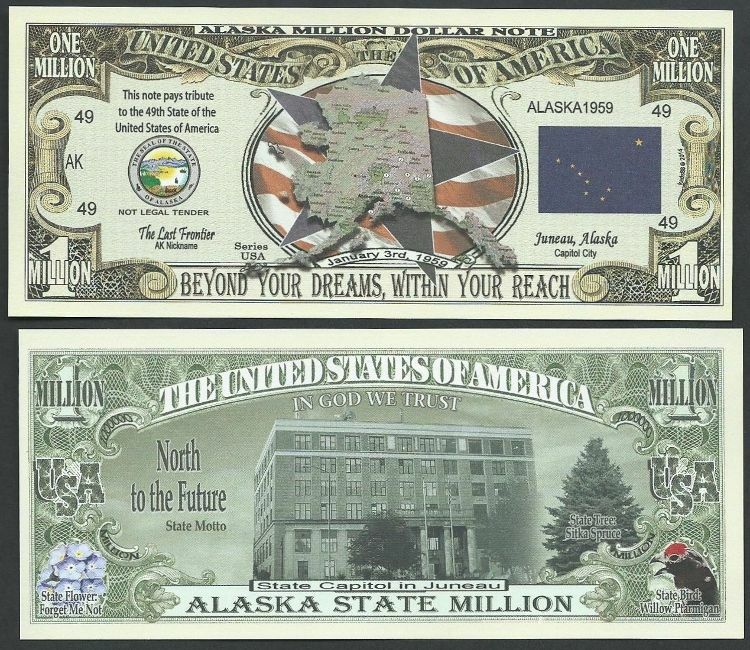 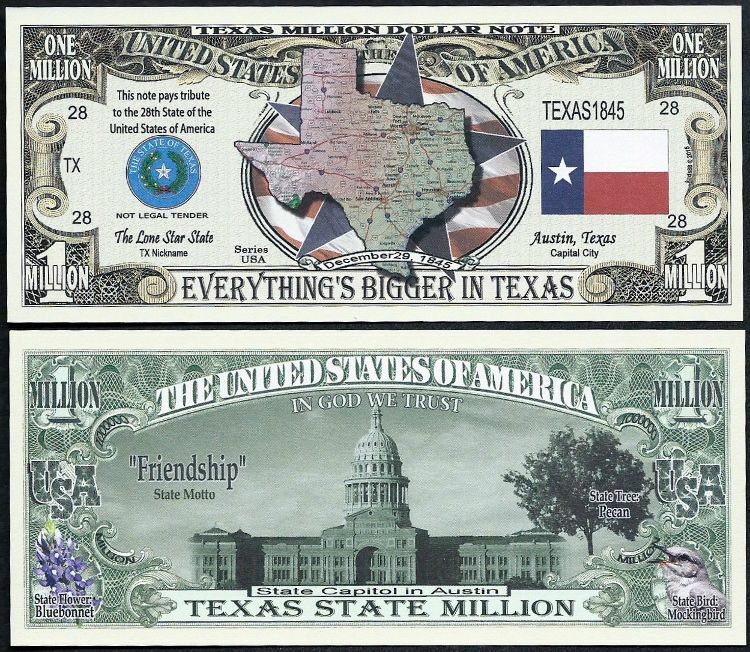 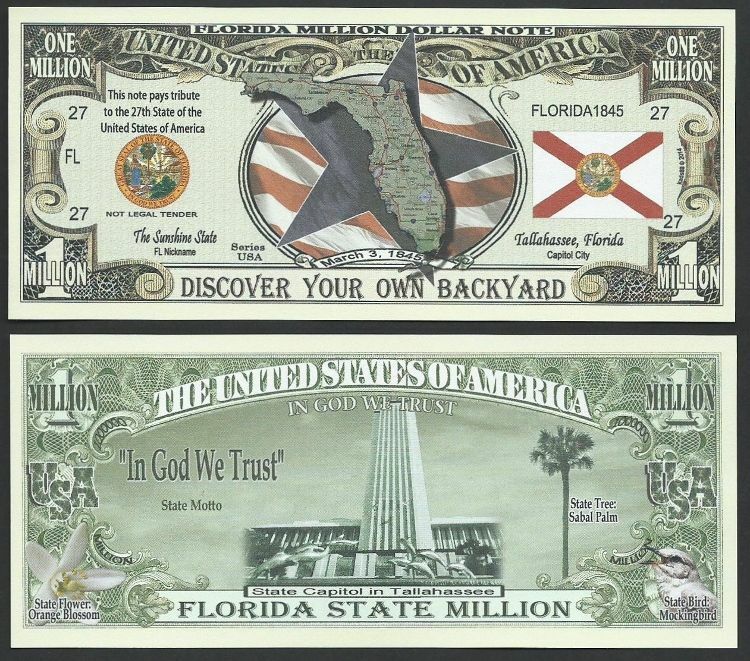 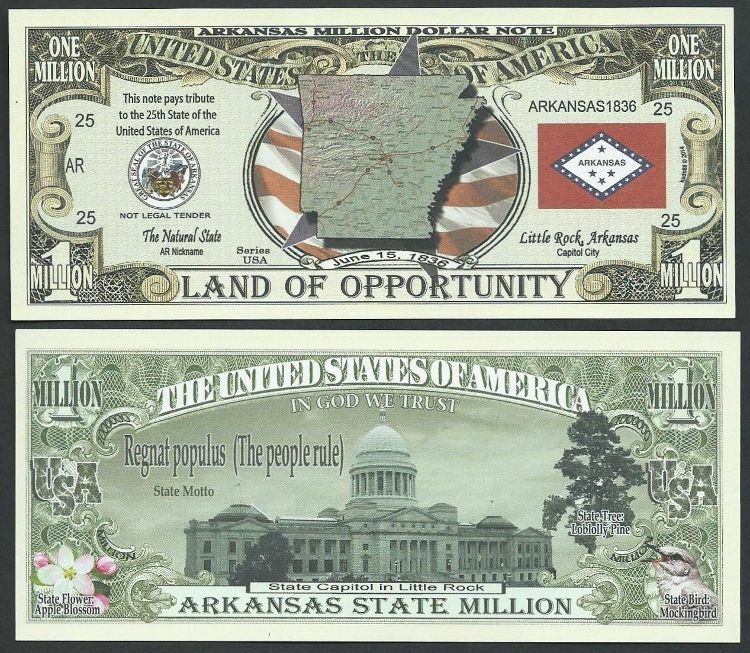 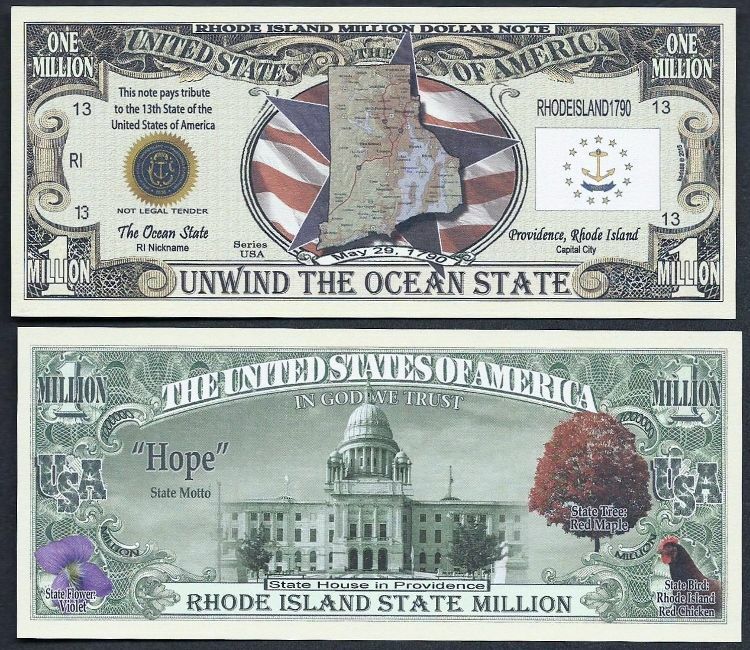 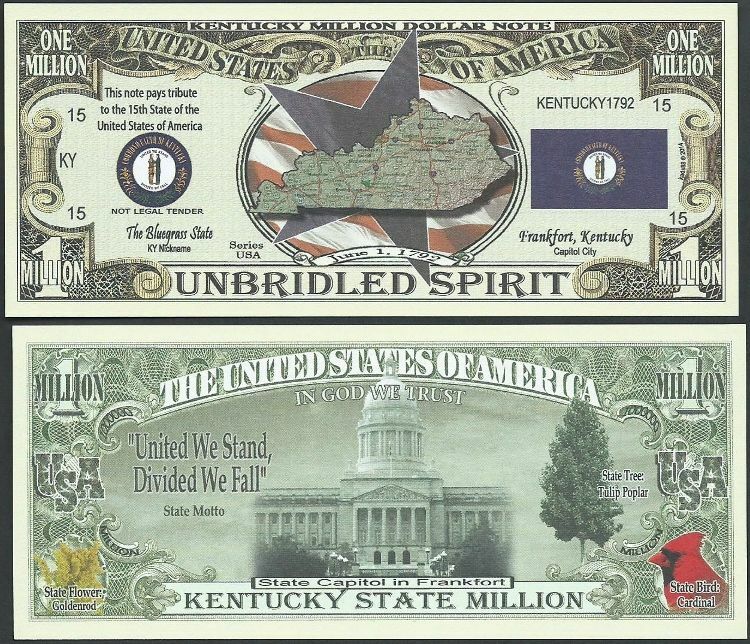 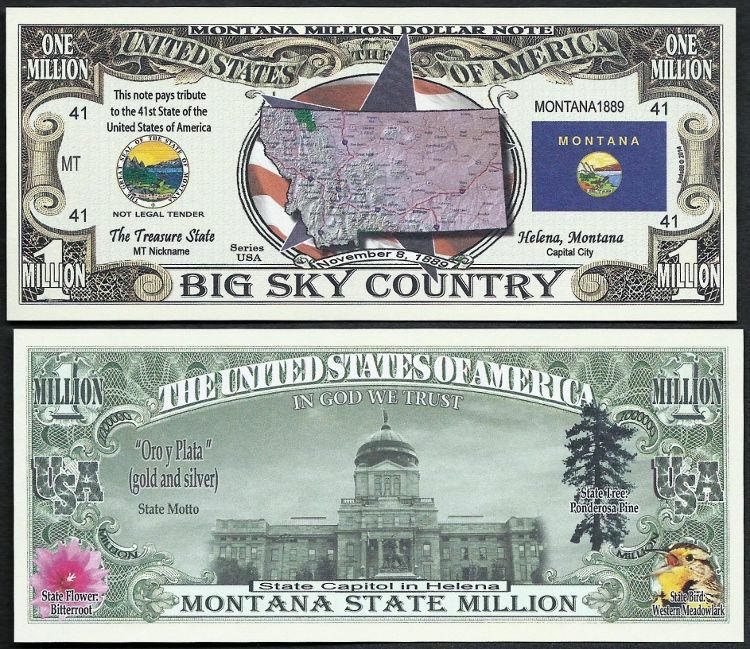 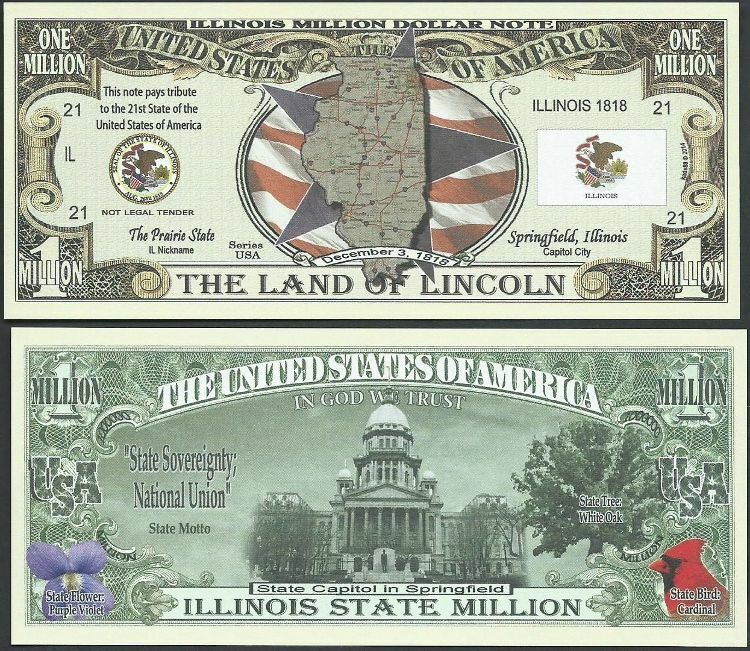 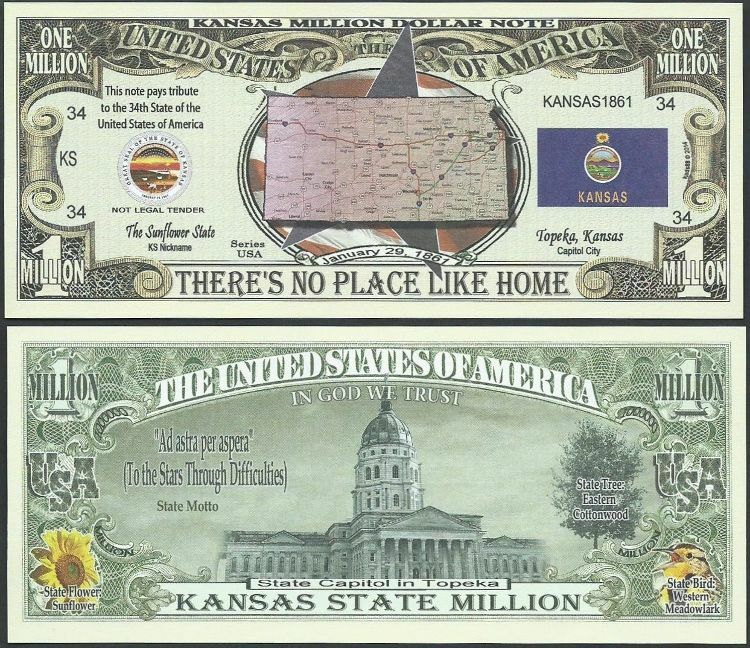 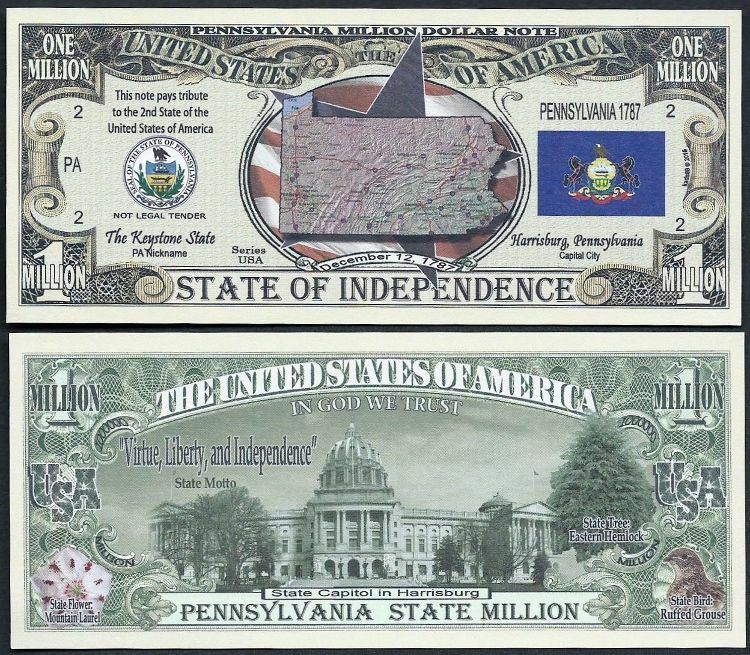 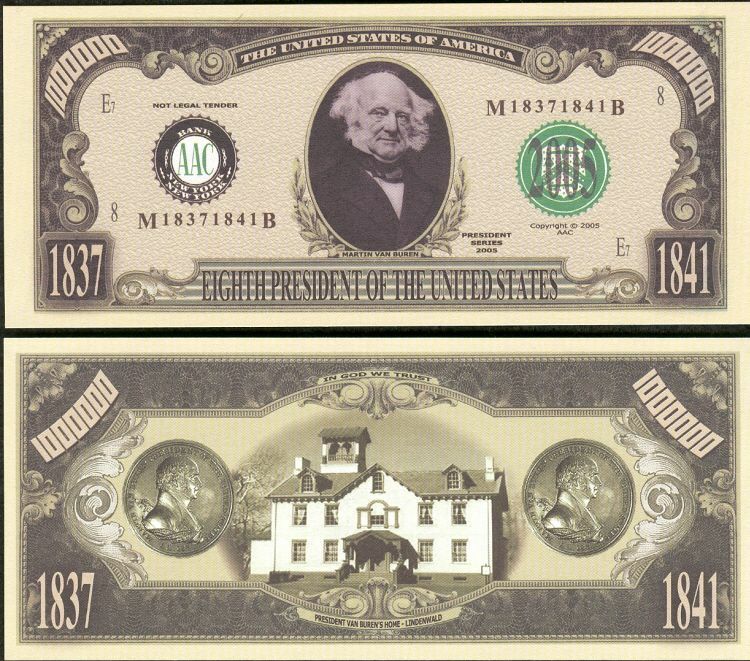 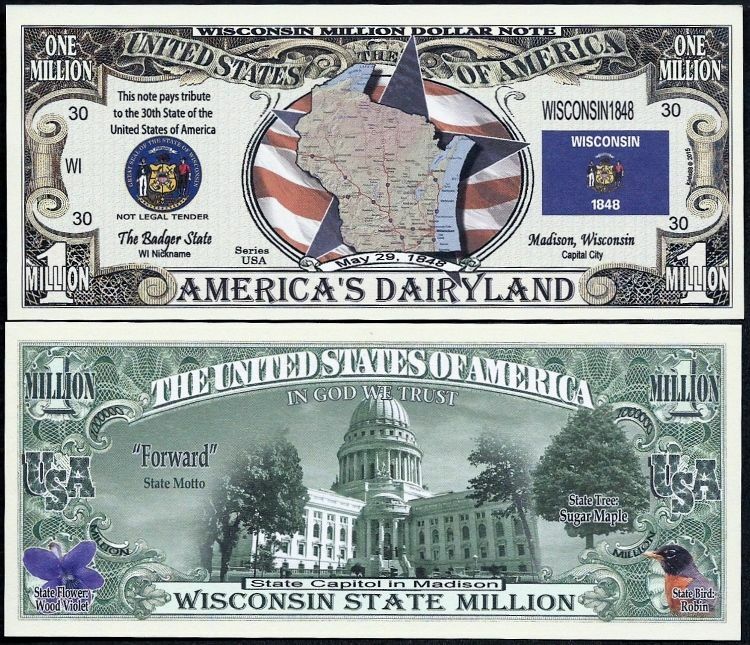 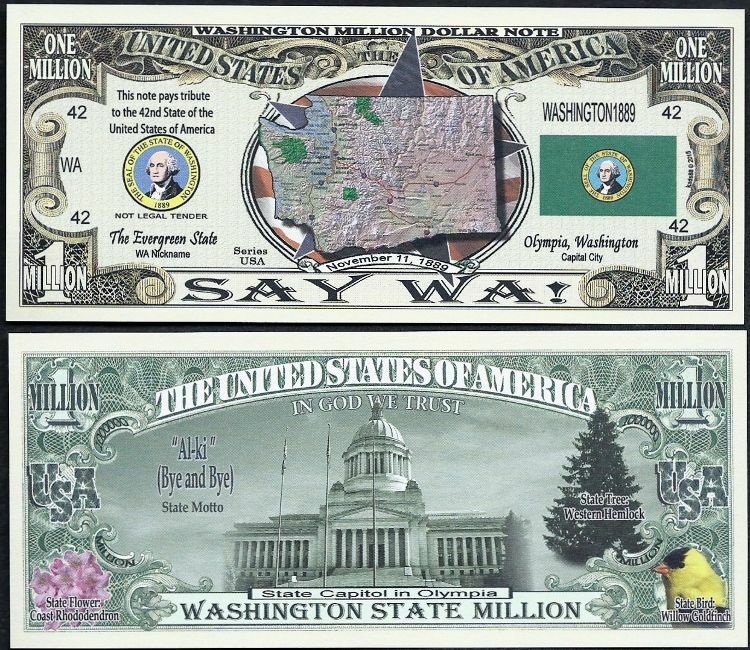 Don't you think every person you know would LOVE to get a Million Dollar Bill?! 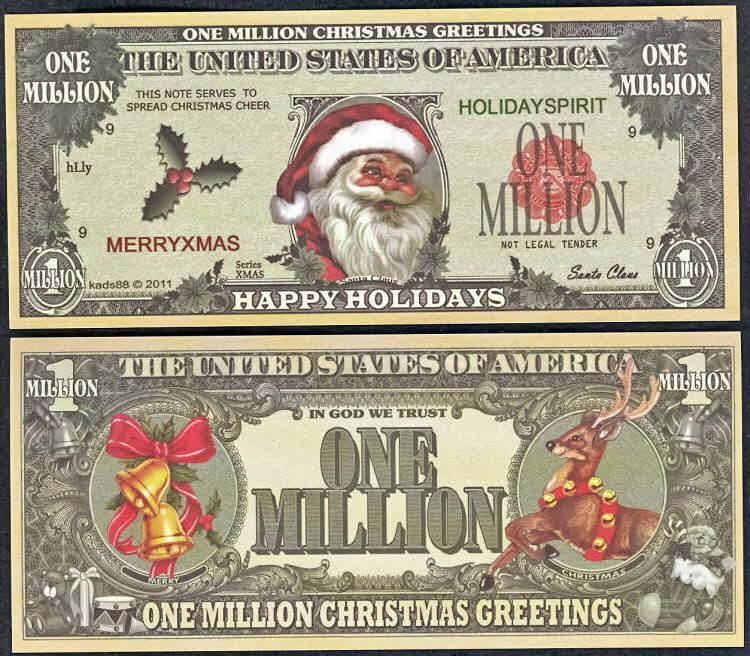 With this variety pack there is something for everyone on your Christmas List. 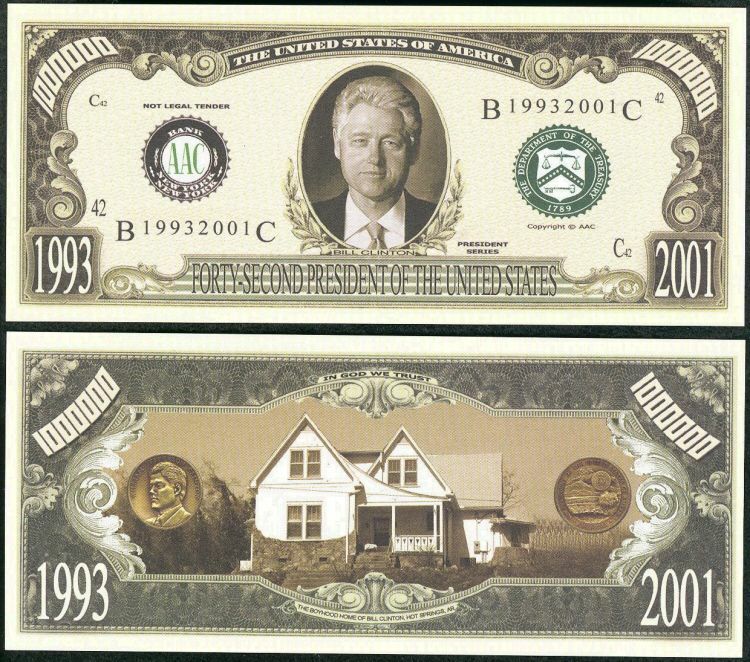 Price is for 100 Bills! 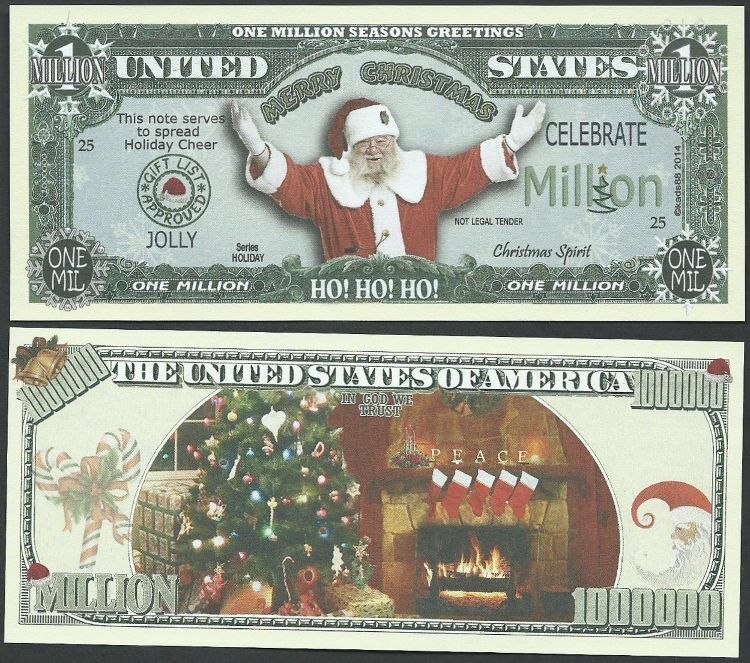 10 of 10 different Christmas bills! 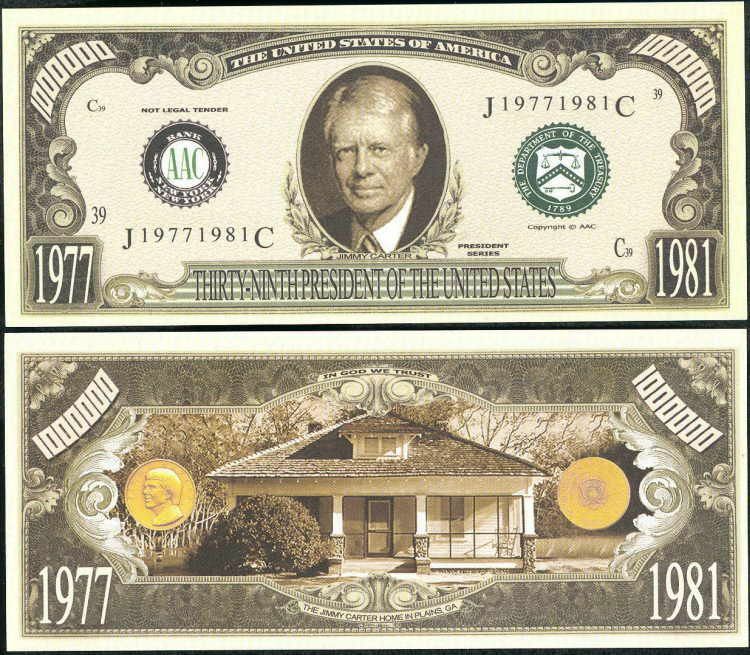 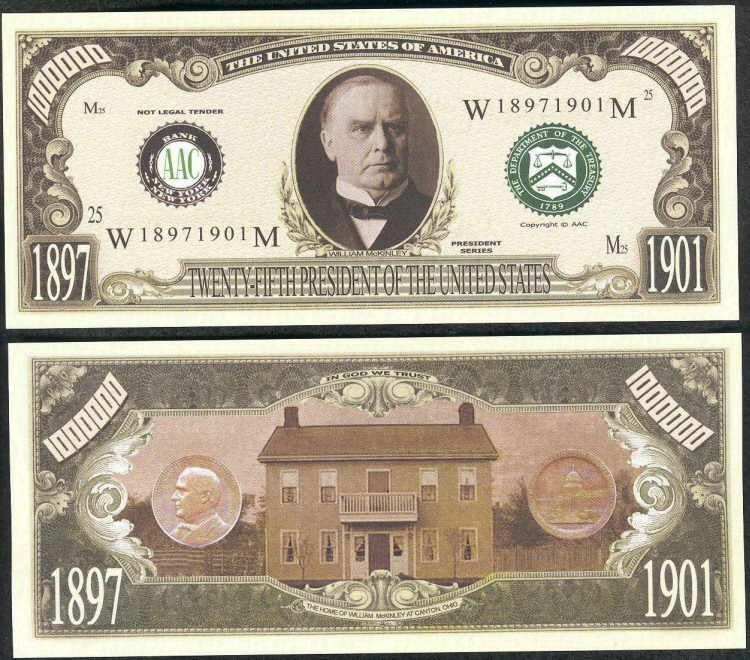 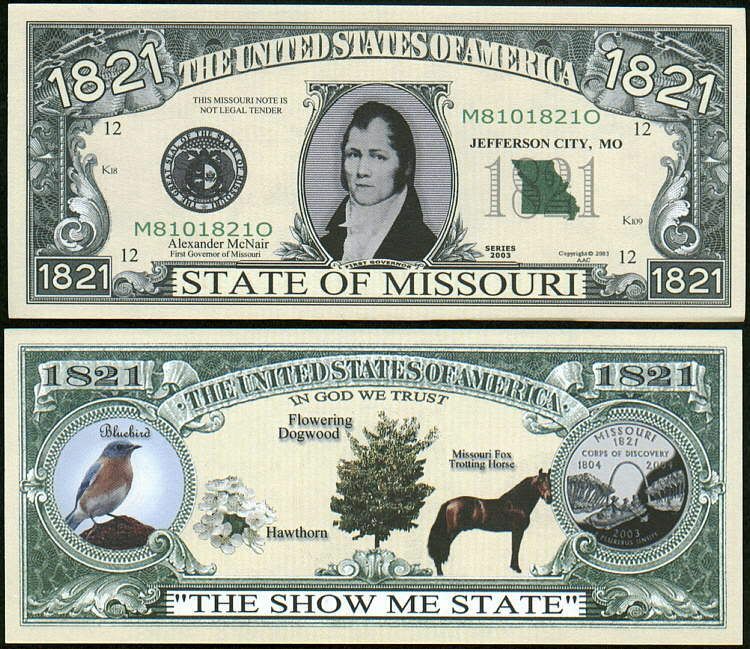 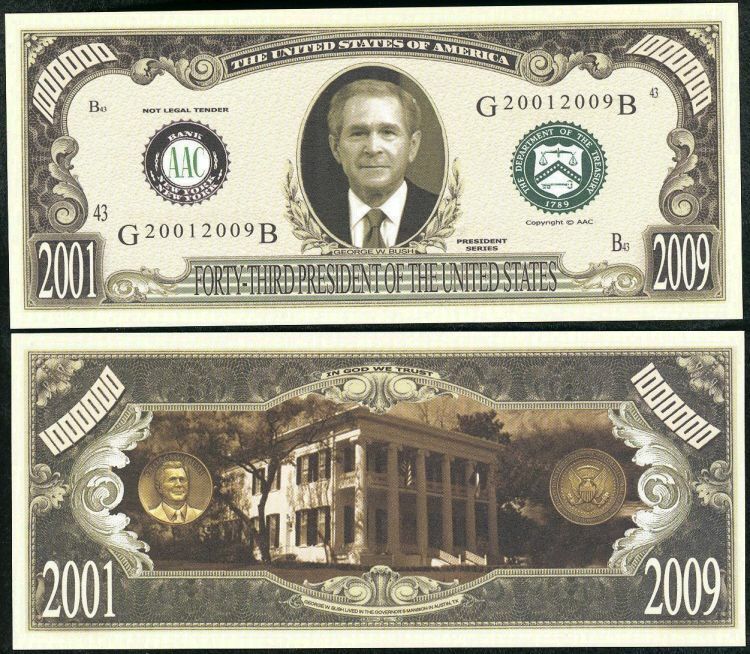 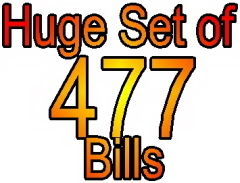 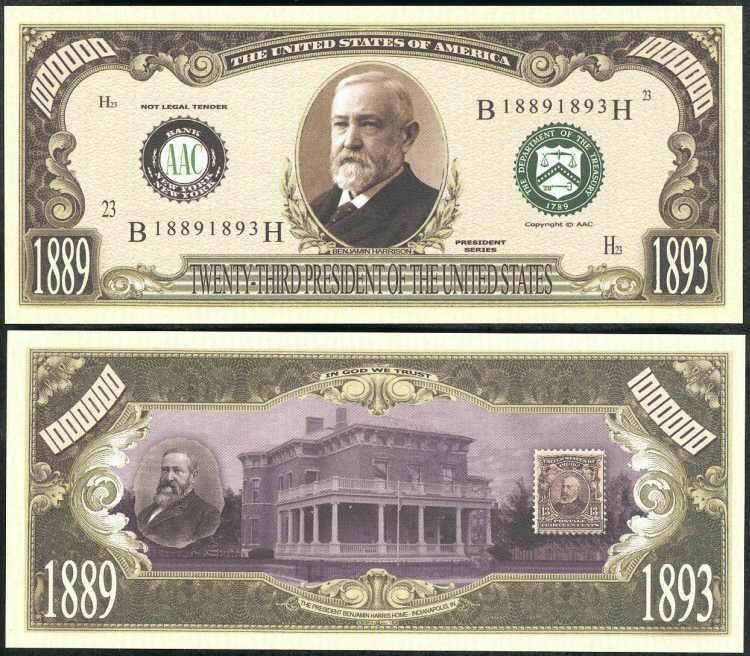 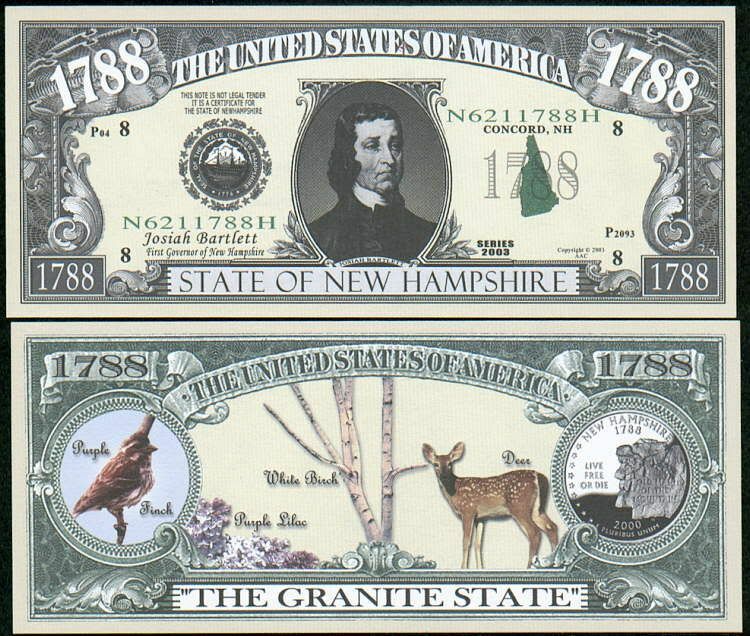 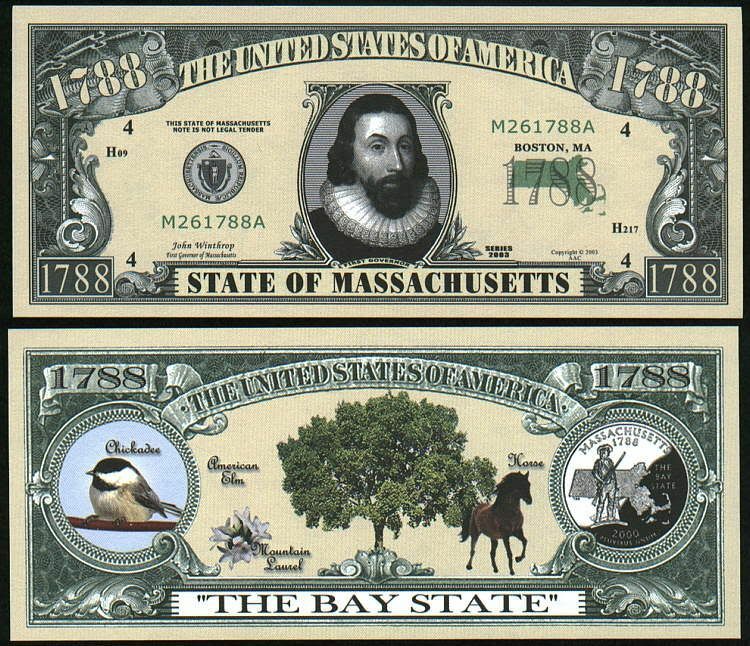 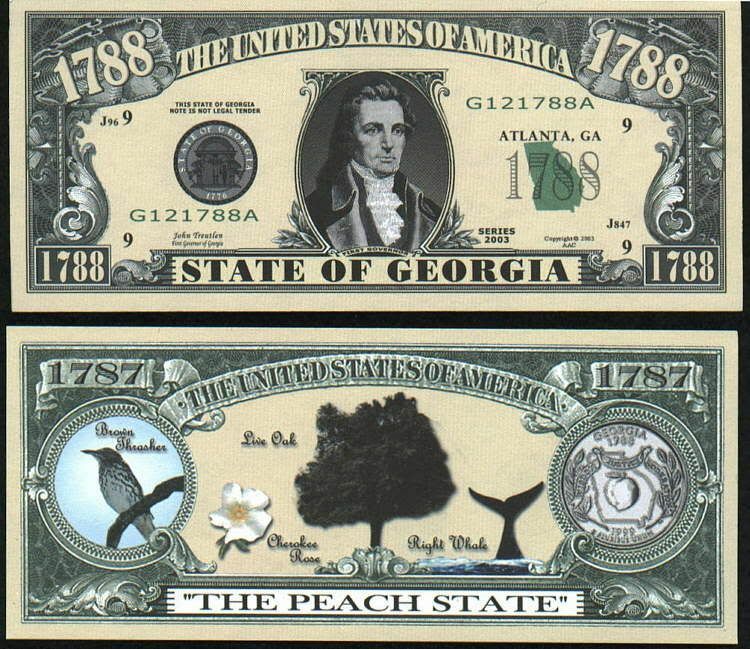 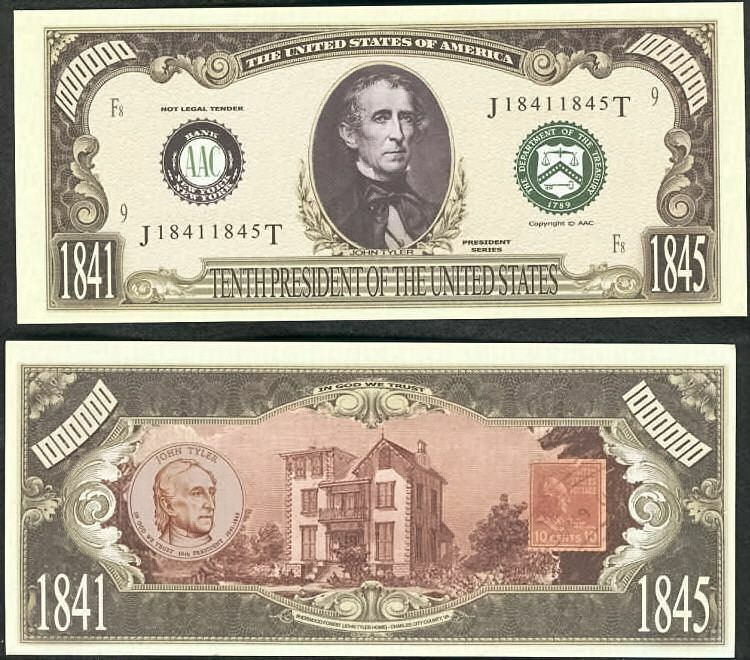 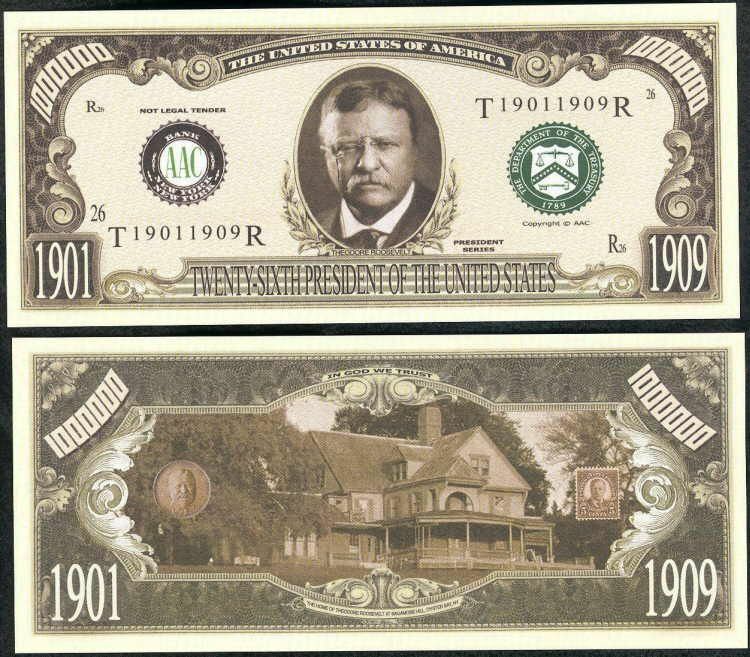 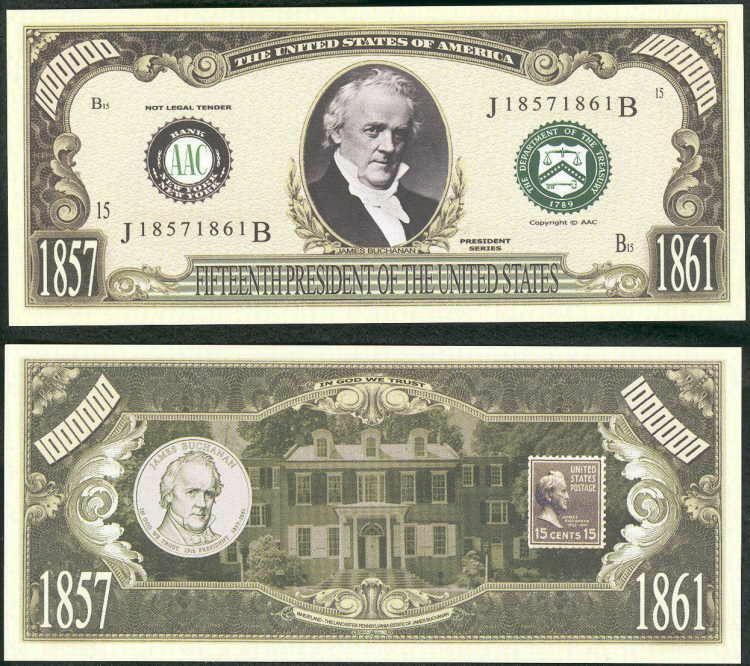 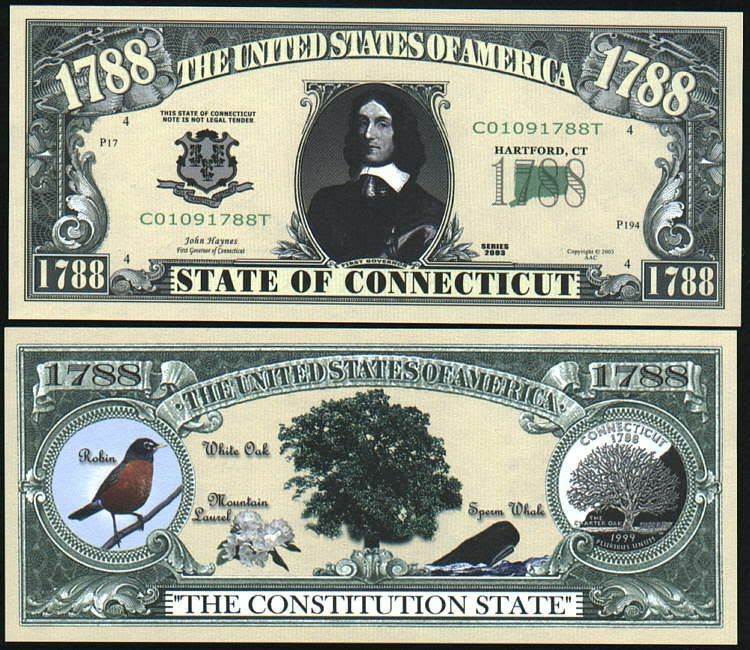 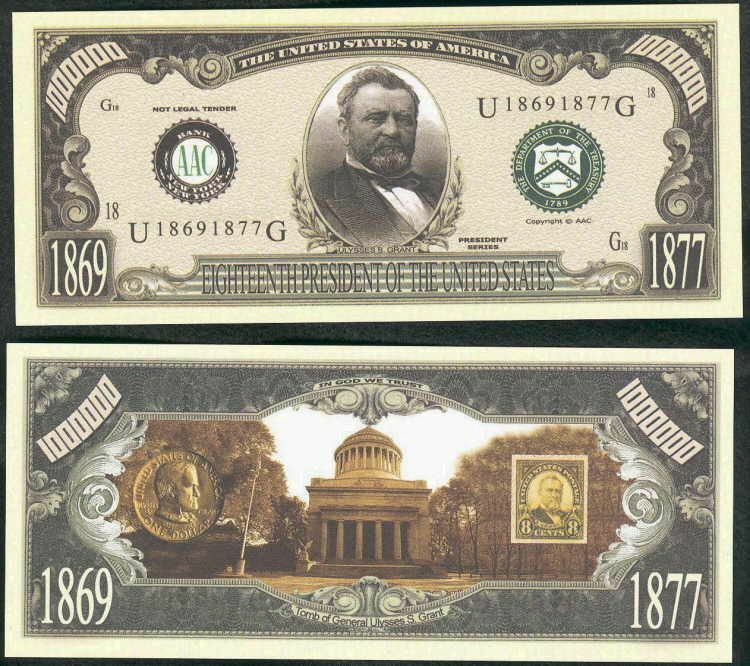 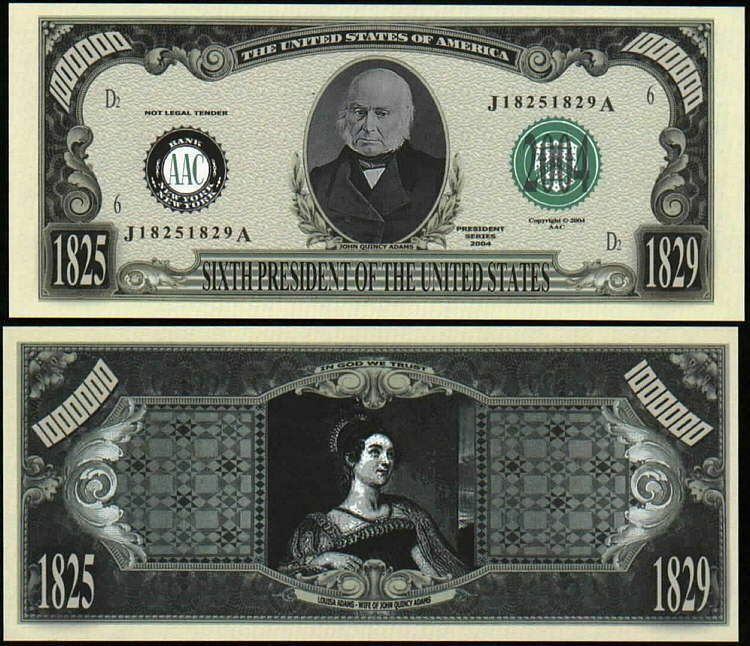 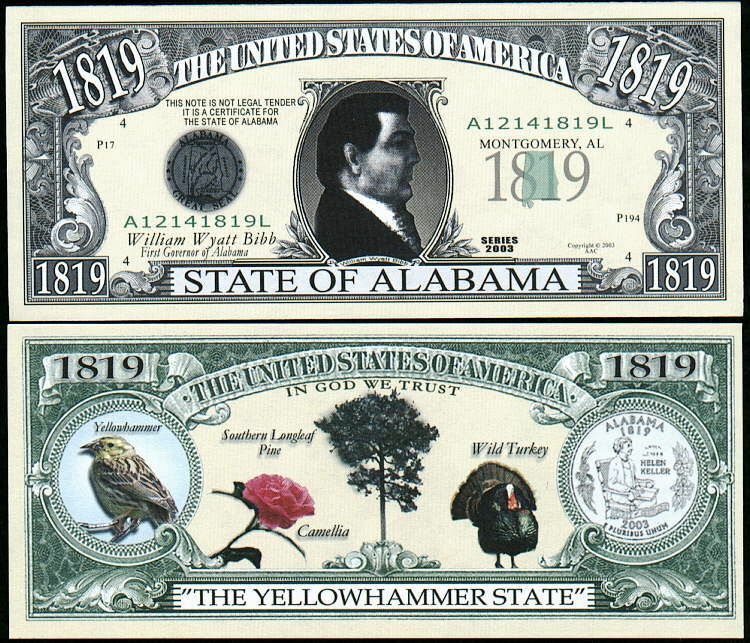 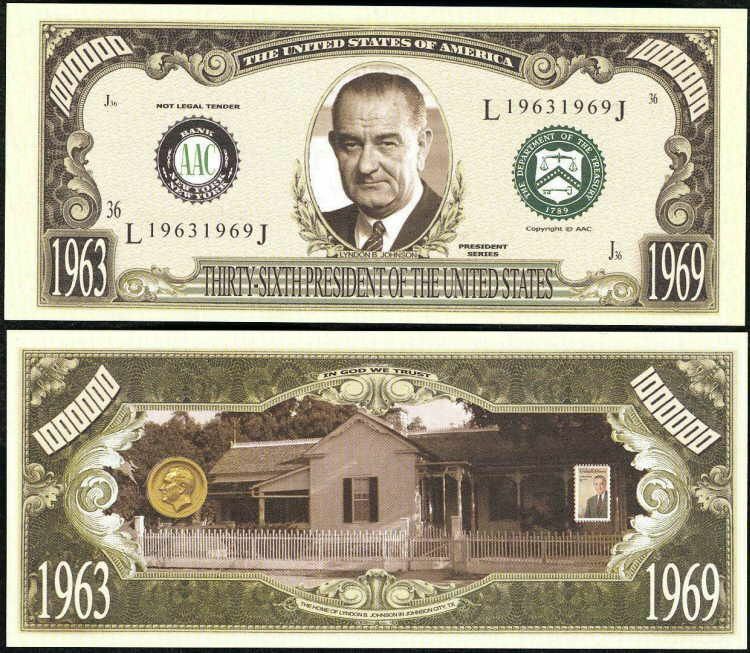 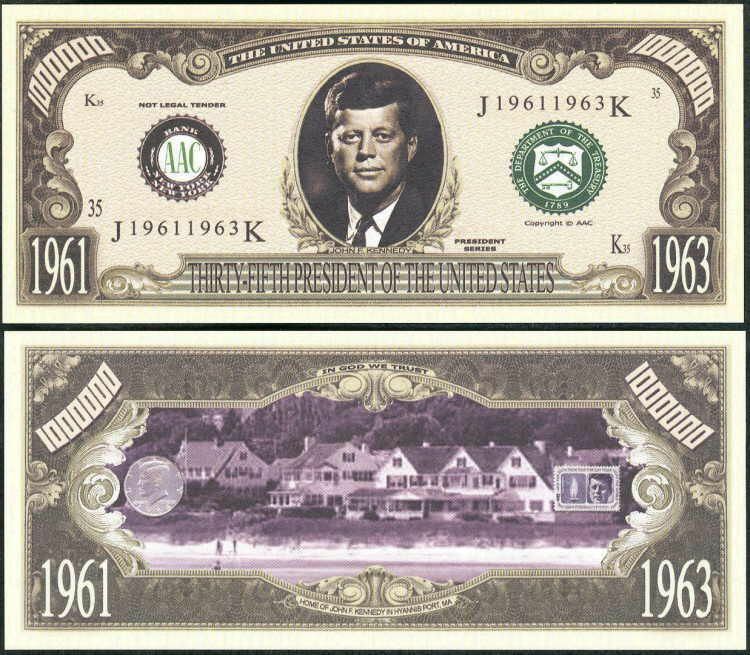 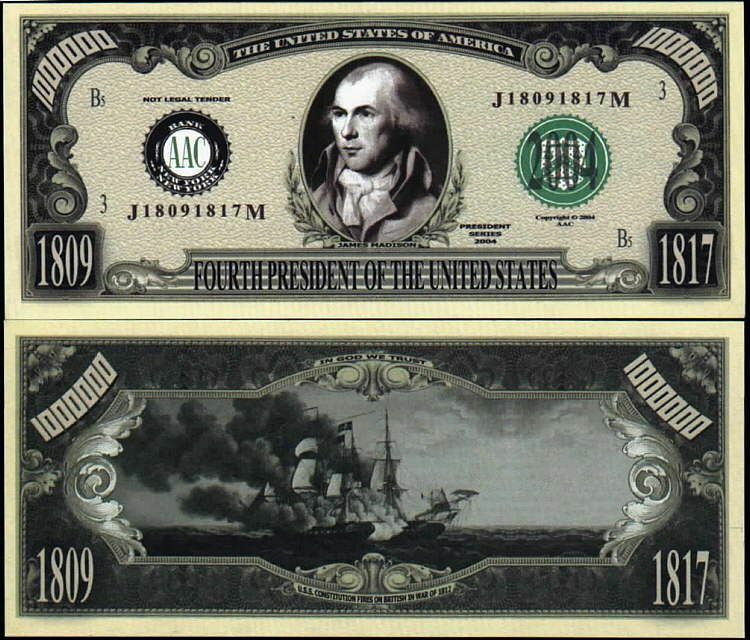 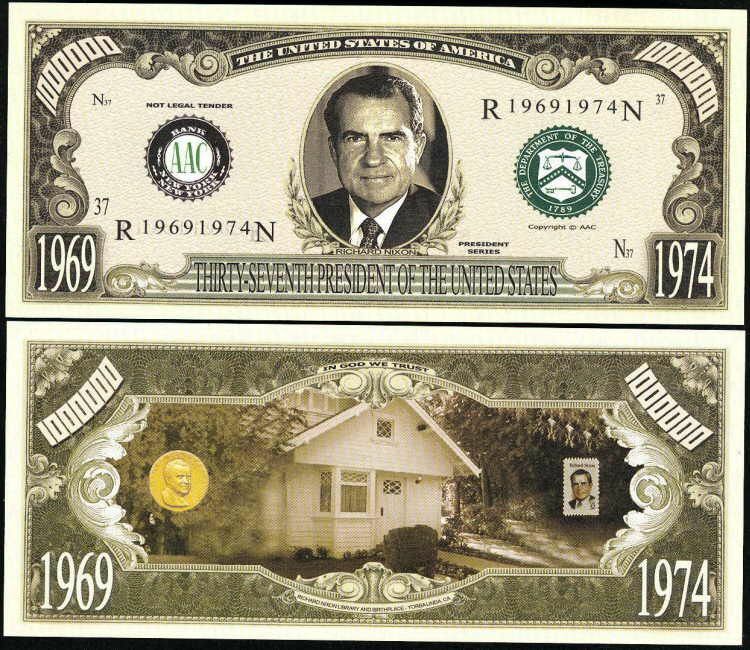 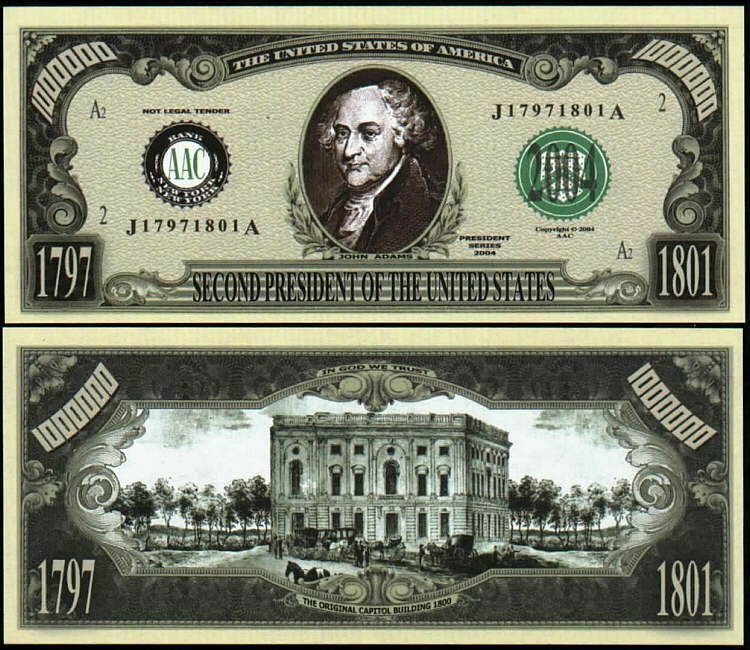 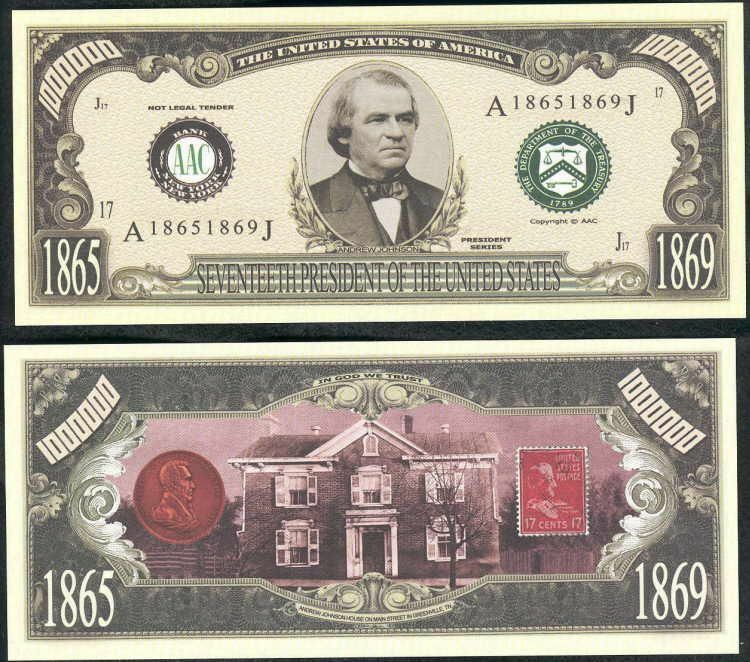 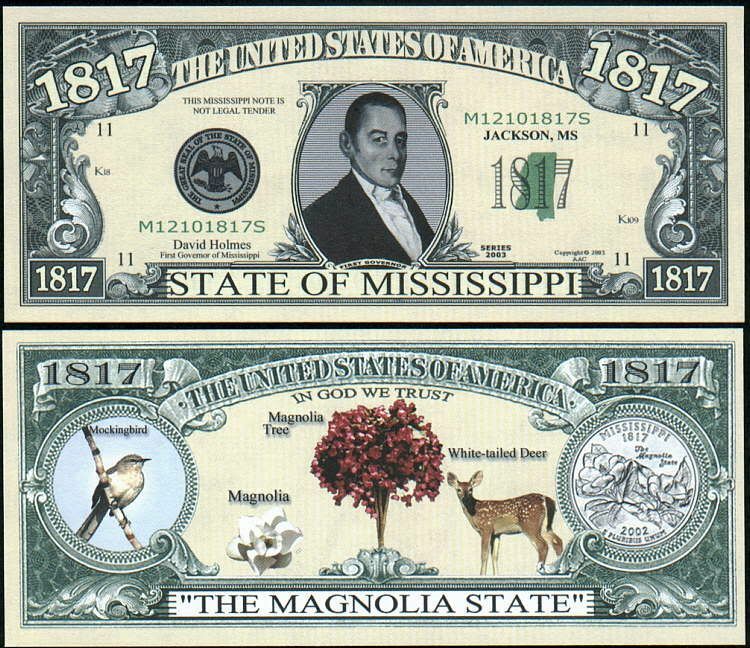 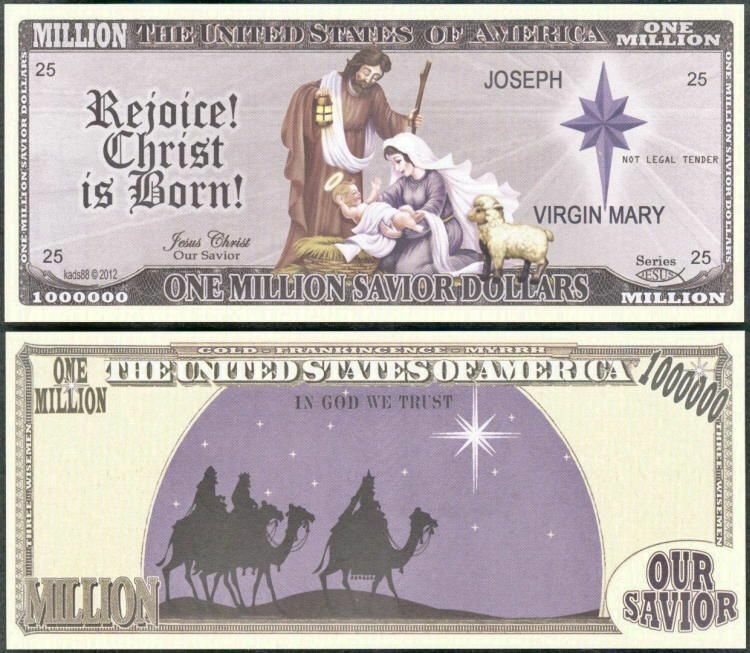 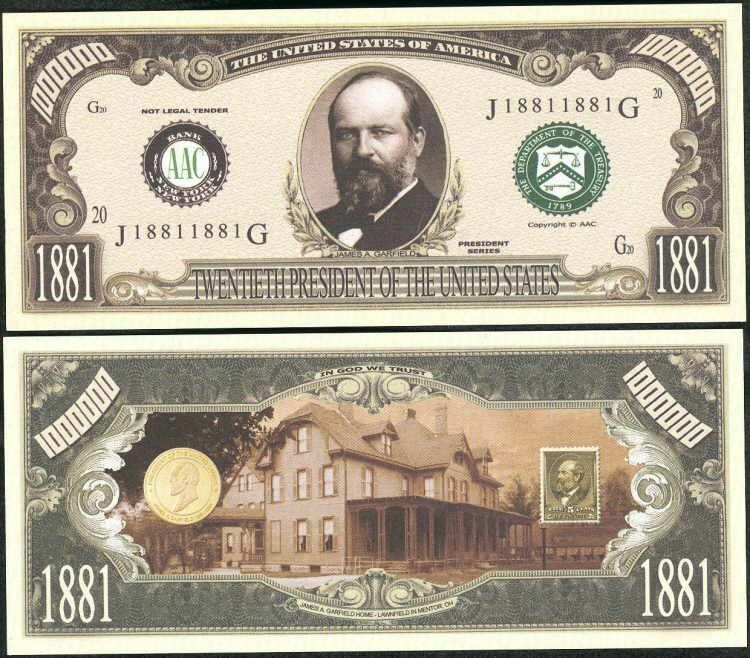 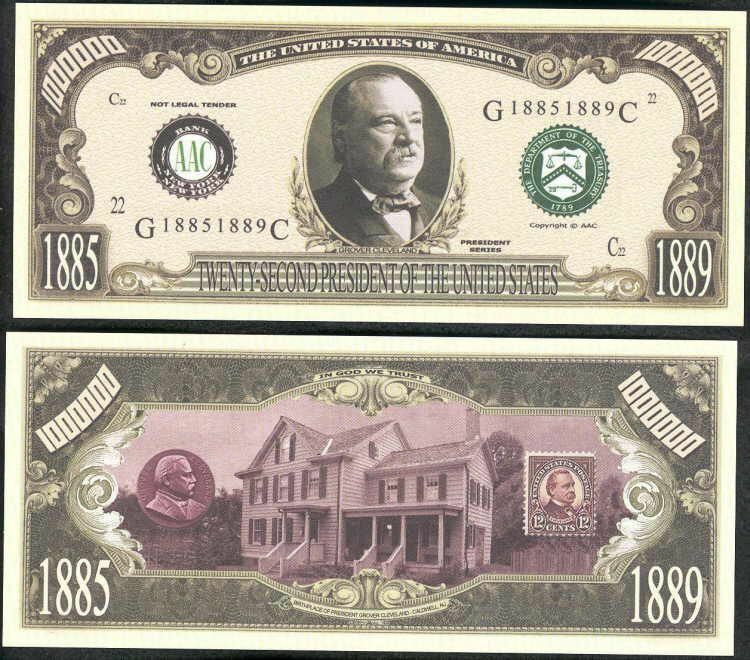 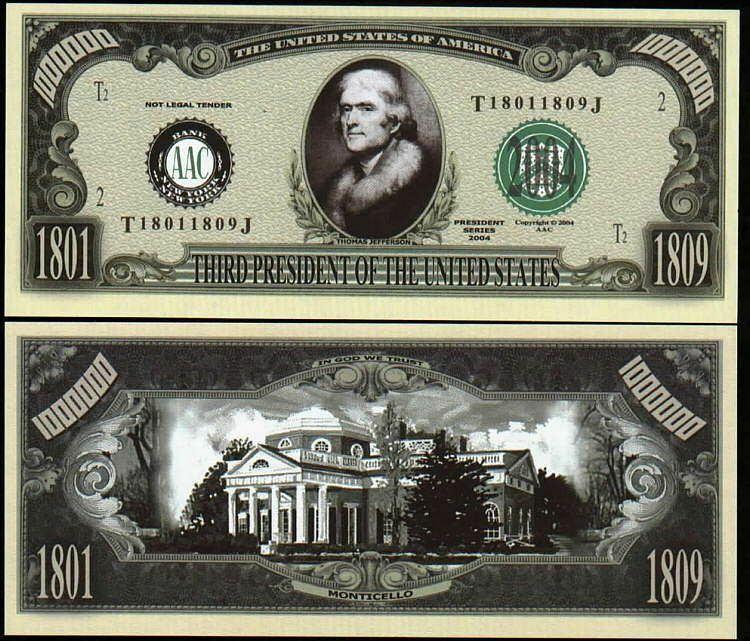 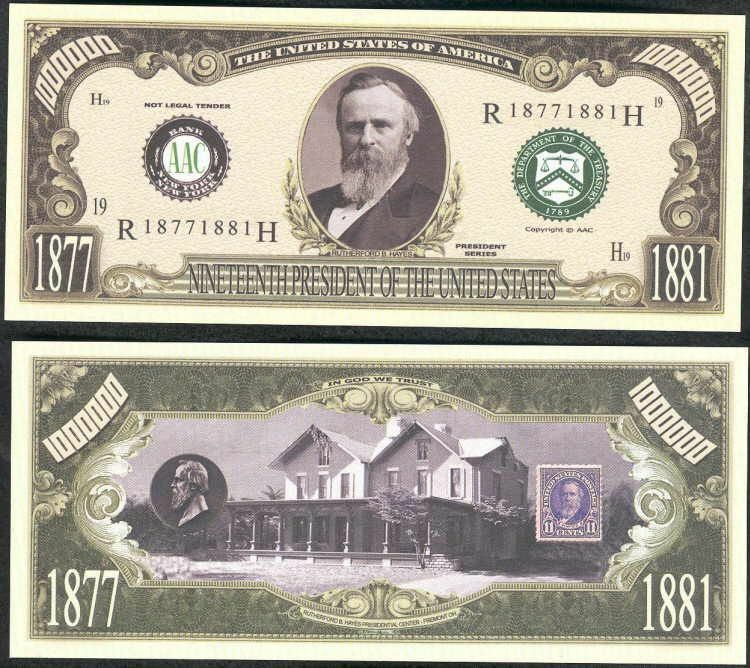 ONLY $90.00 for this set of 477 Bills which have been printed since 2001 by several different manufacturers. 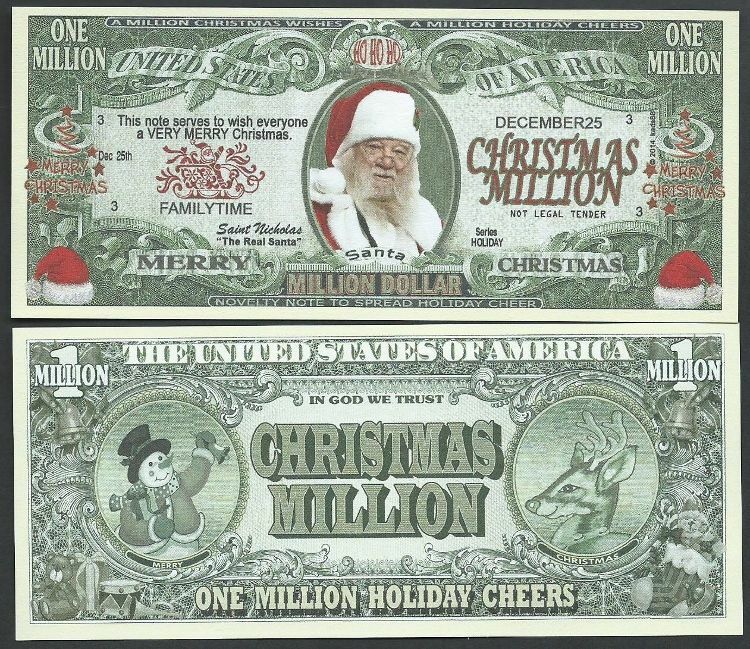 And shipping is still ONLY $2.00 to the USA! 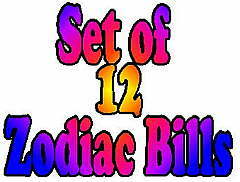 ONLY $4.00 for this set of 12 Zodiac Bills. 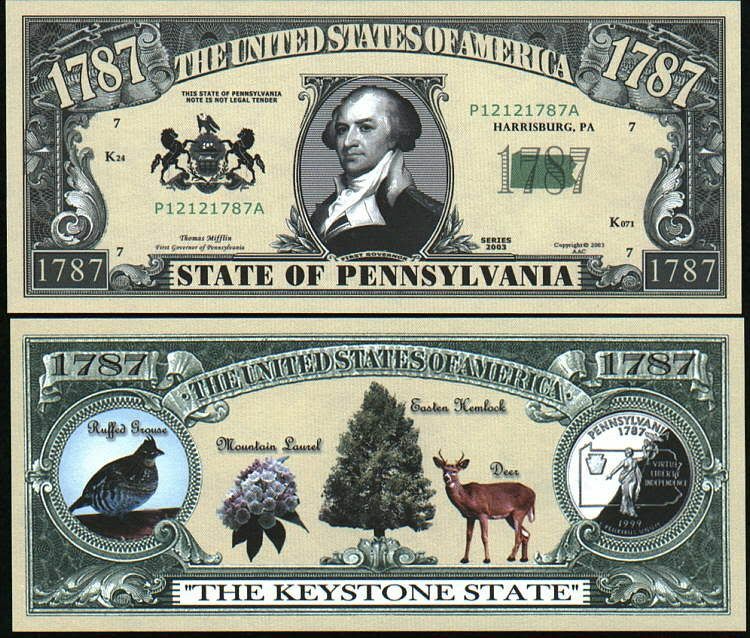 The Set contains one of each of the bills listed below. 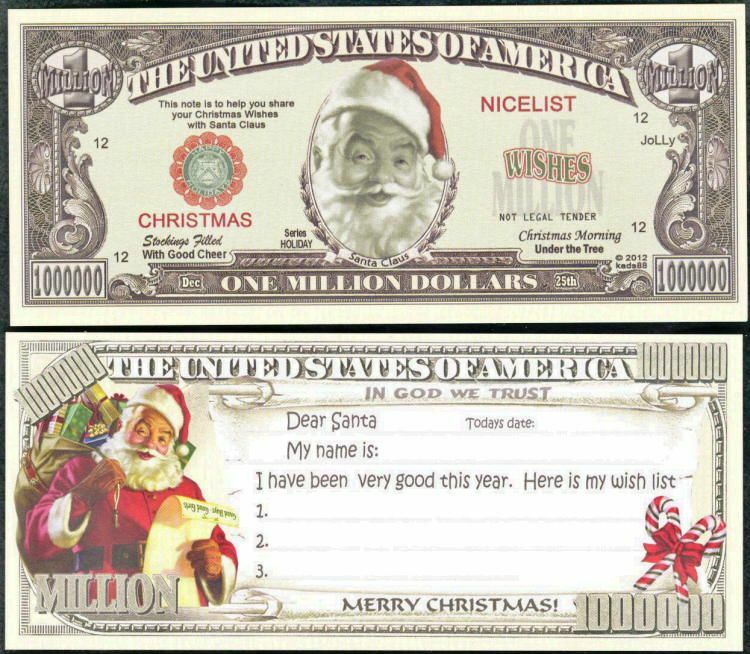 ONLY $4.50, buy 10 sets and price drops to $2.50!!! 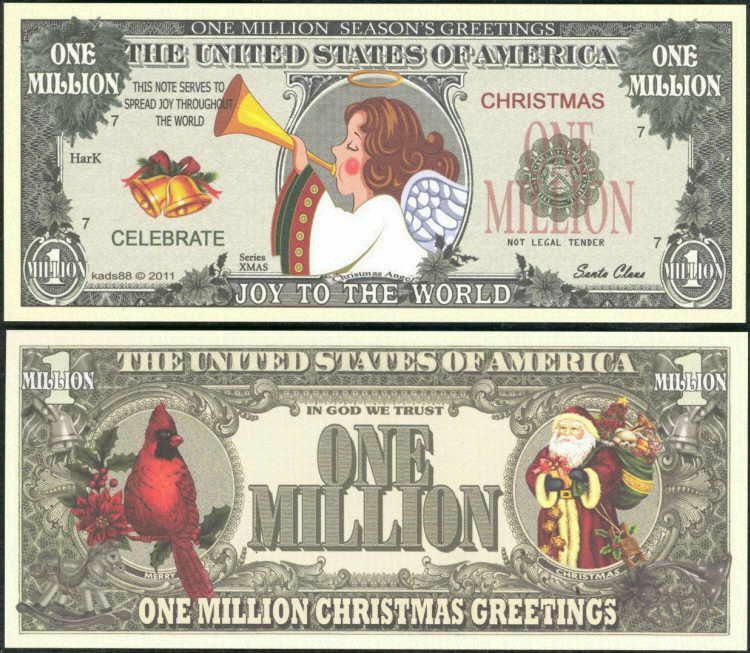 for this set of 13 Christmas Bills. 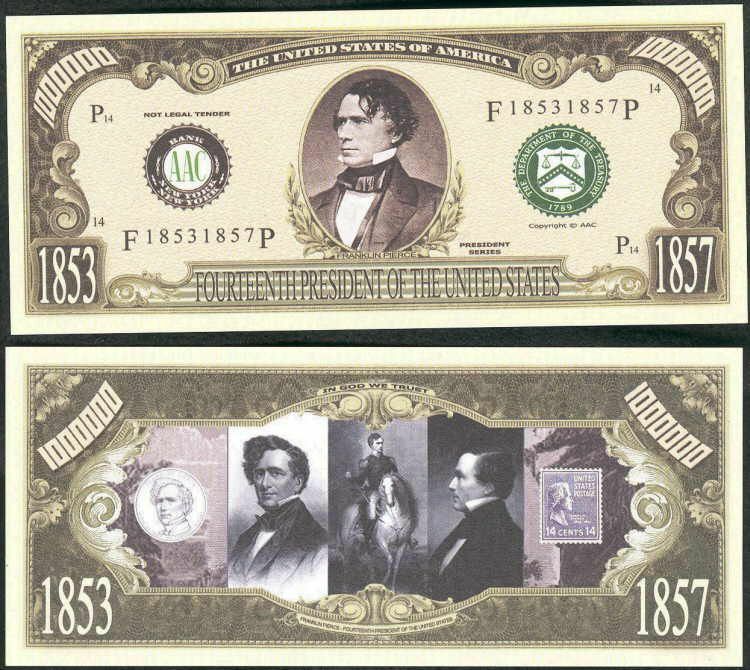 This Set contains one of each of the bills listed below. 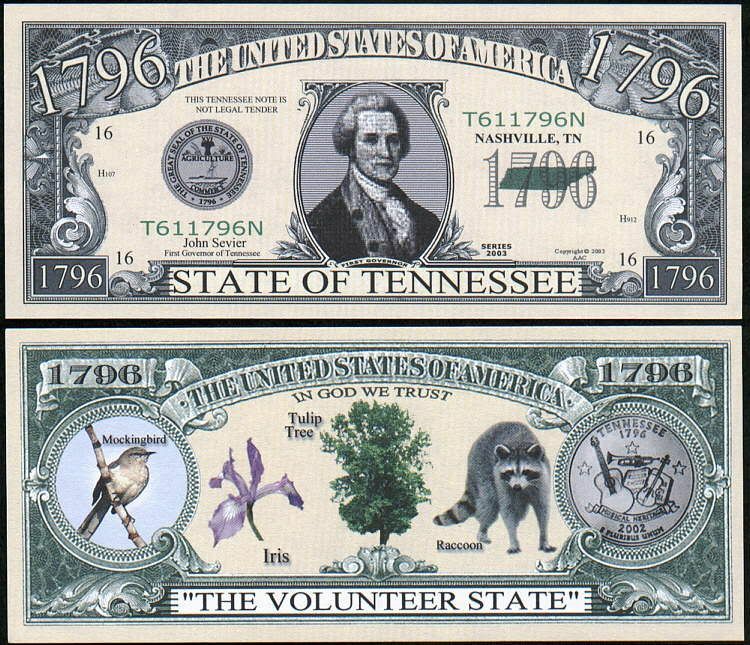 ONLY $10.00 for this set of 27 Military Bills! 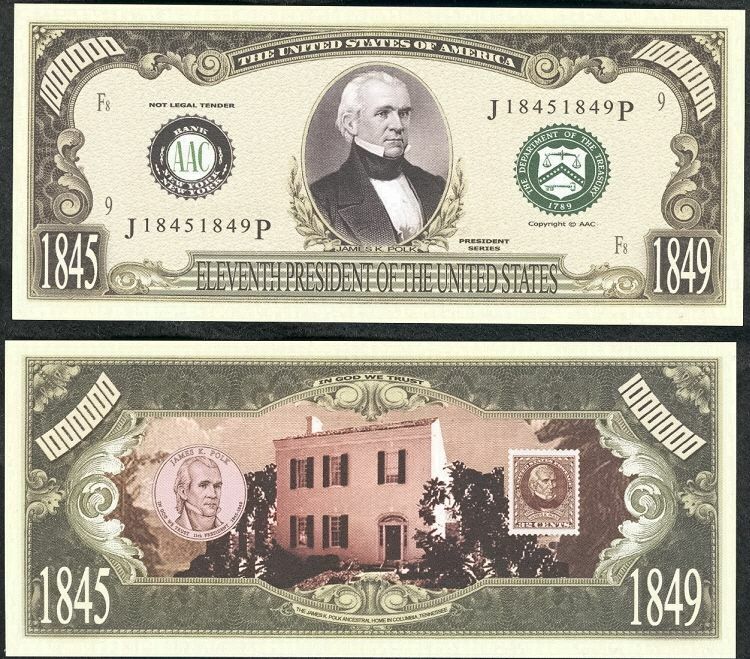 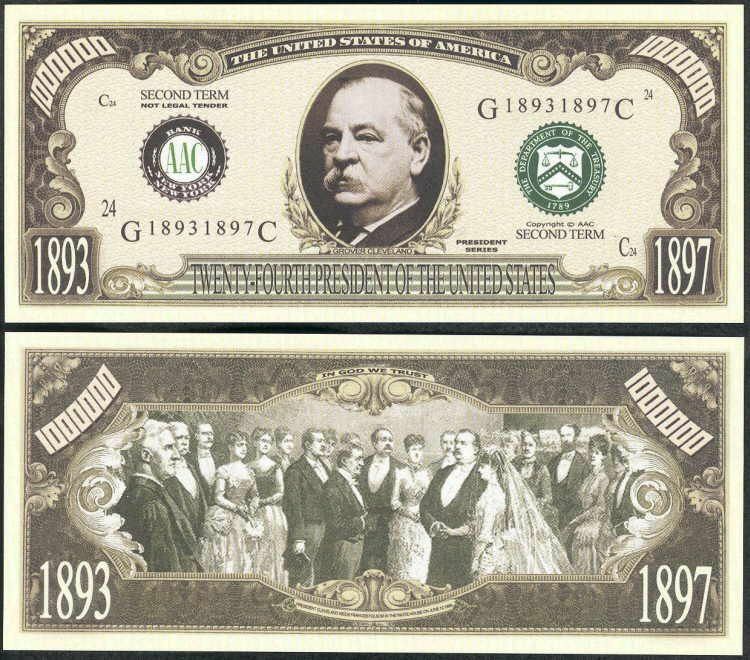 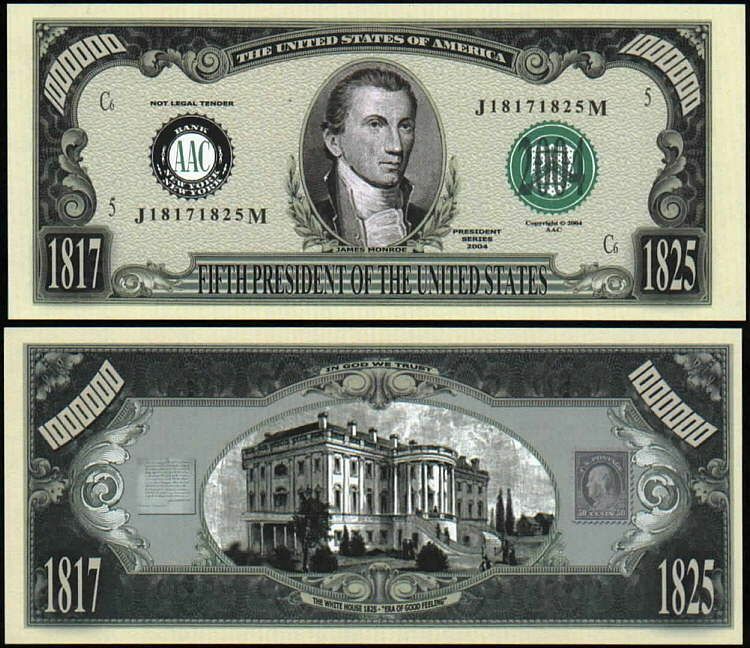 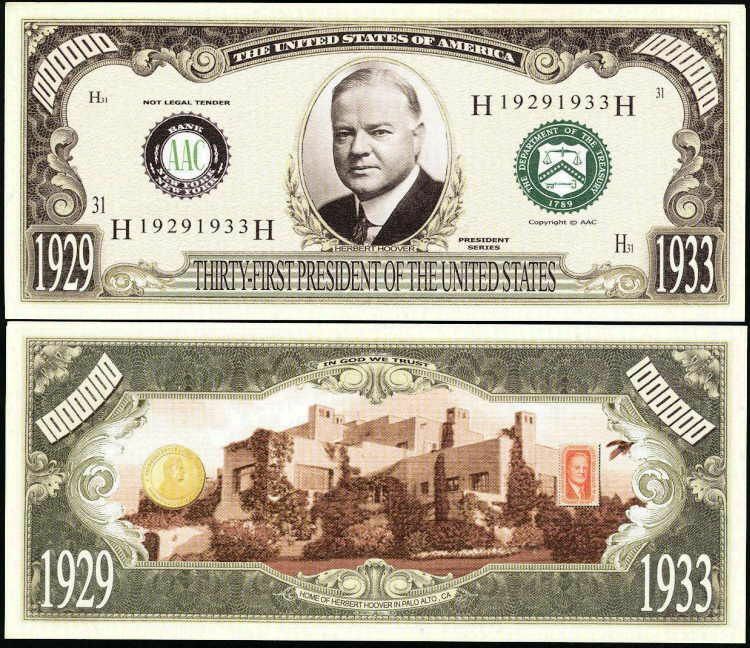 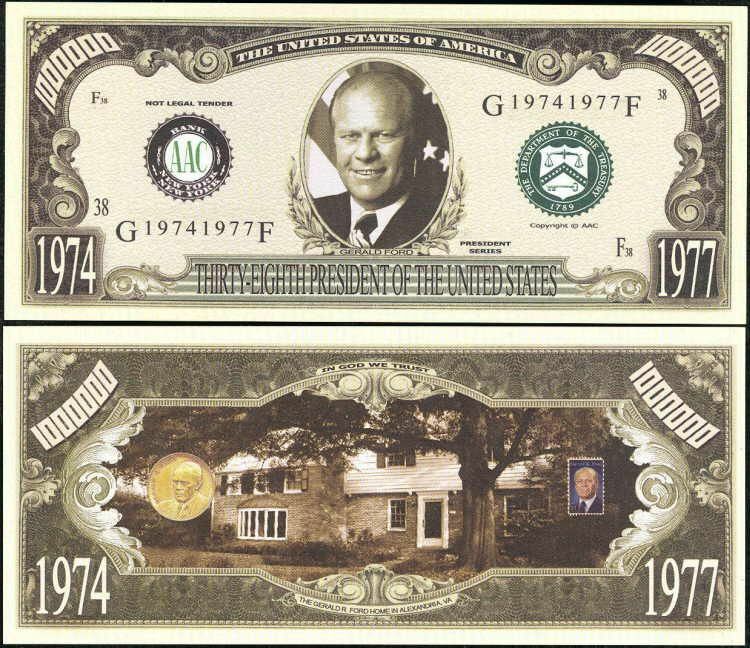 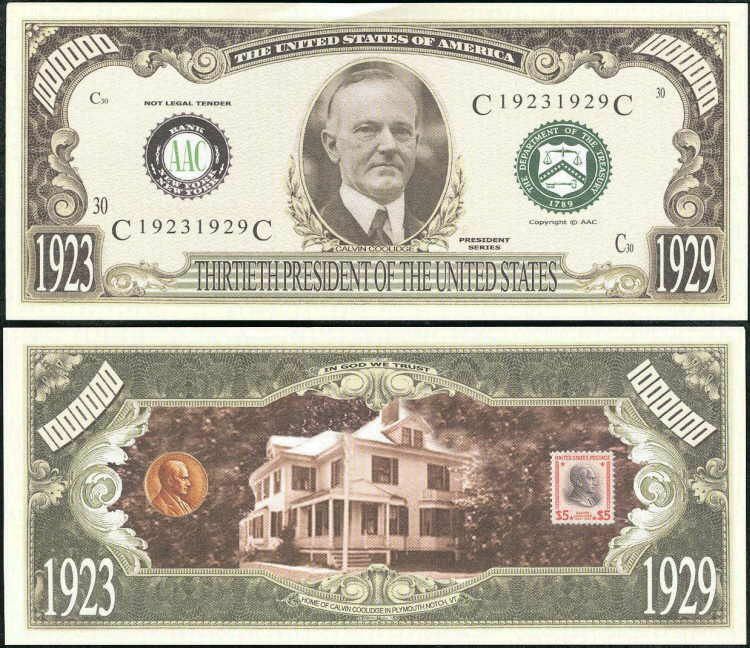 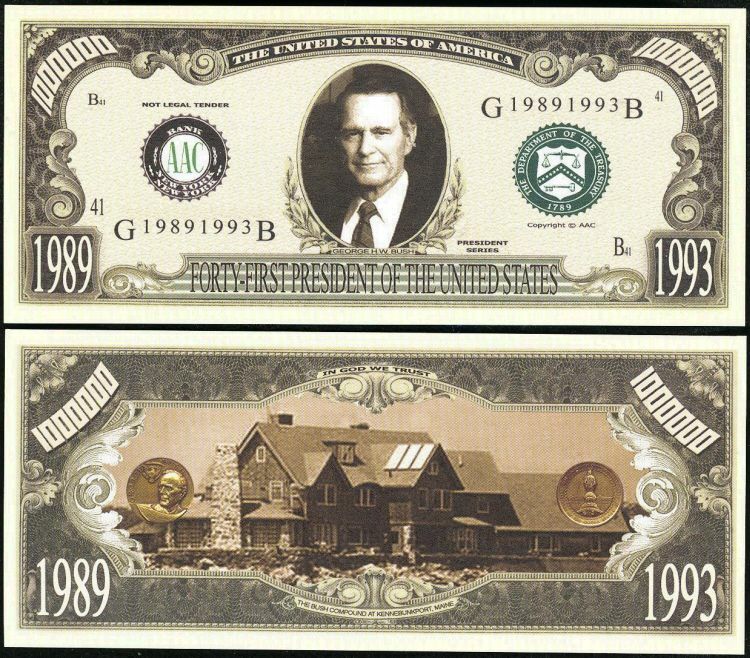 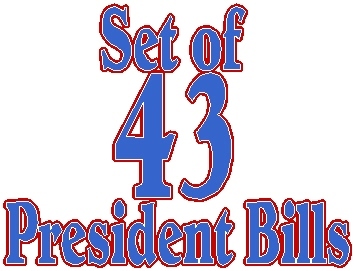 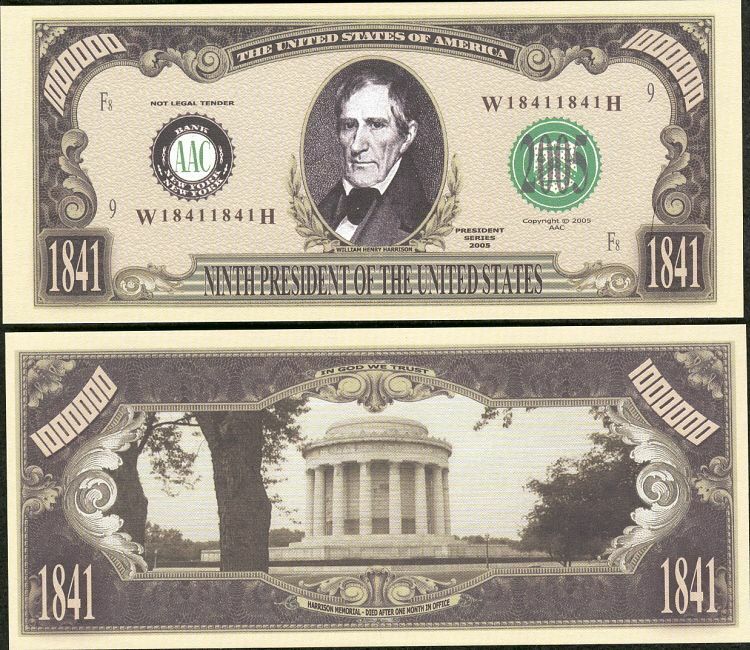 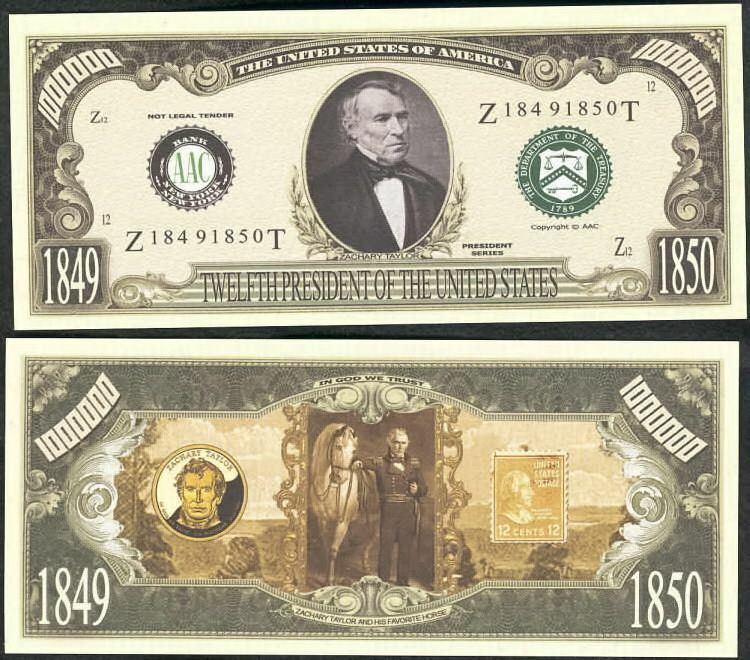 ONLY $13.00 for this set of 43 President Bills! 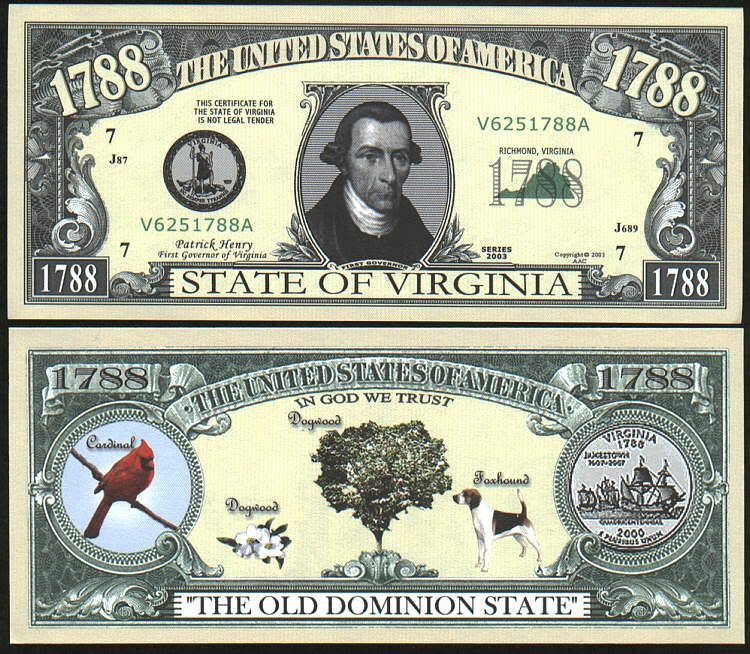 ONLY $2.00 for this set of 5 Classic Convertible Car Bills. 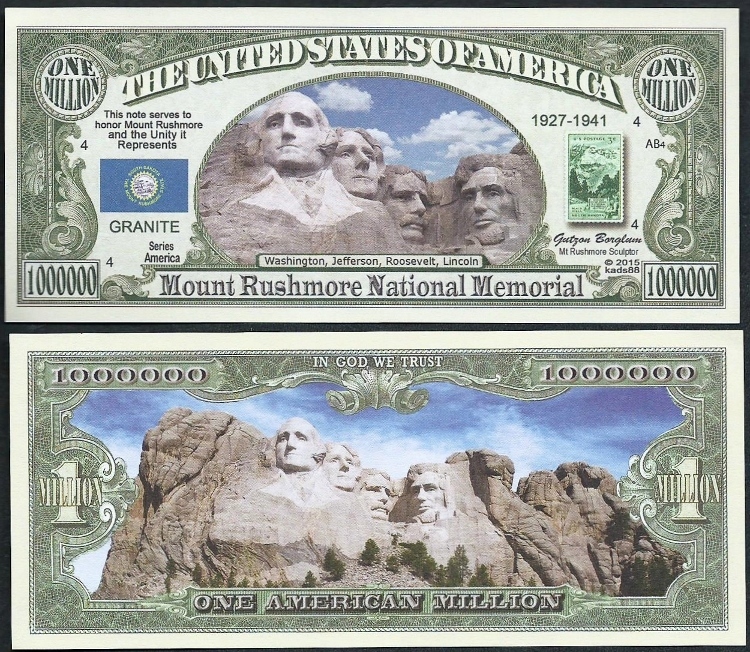 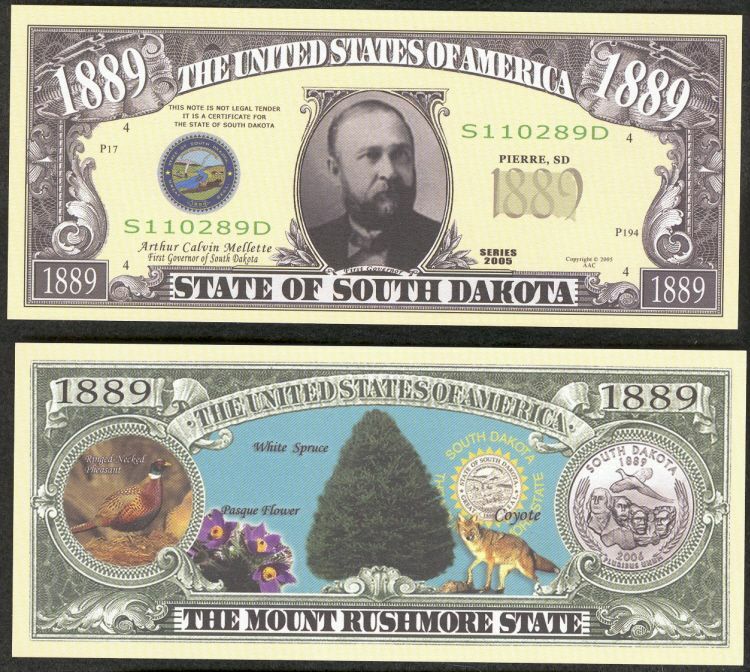 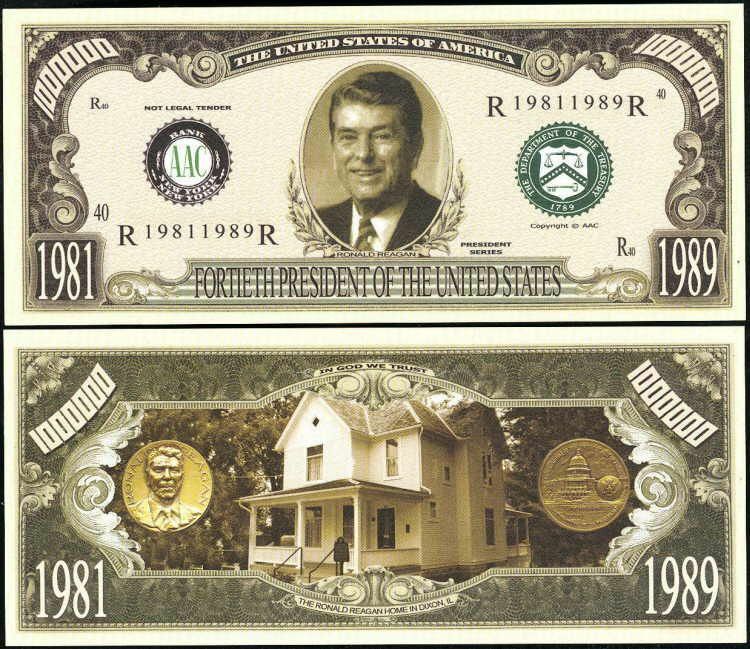 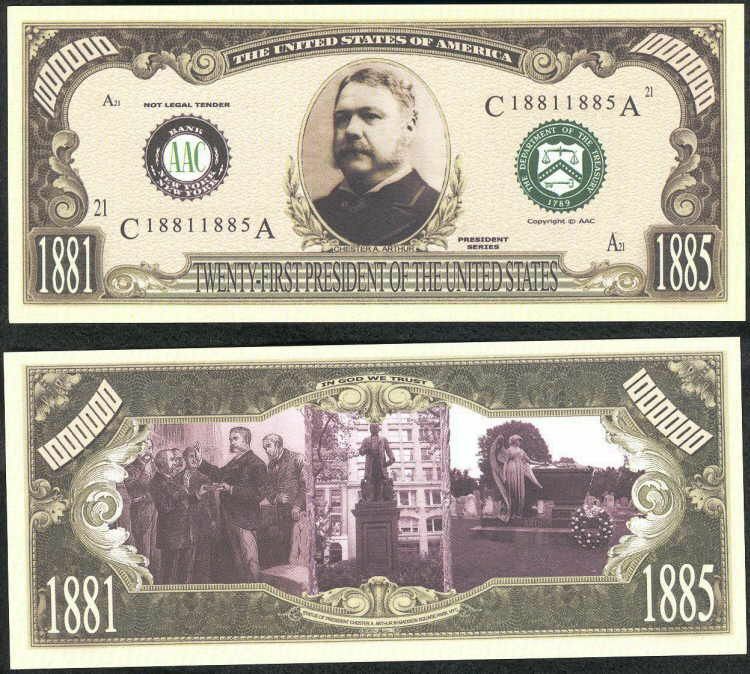 ONLY $2.00 for this set of 5 Mount Rushmore Bills / Famous Men on Mount Rushmore. 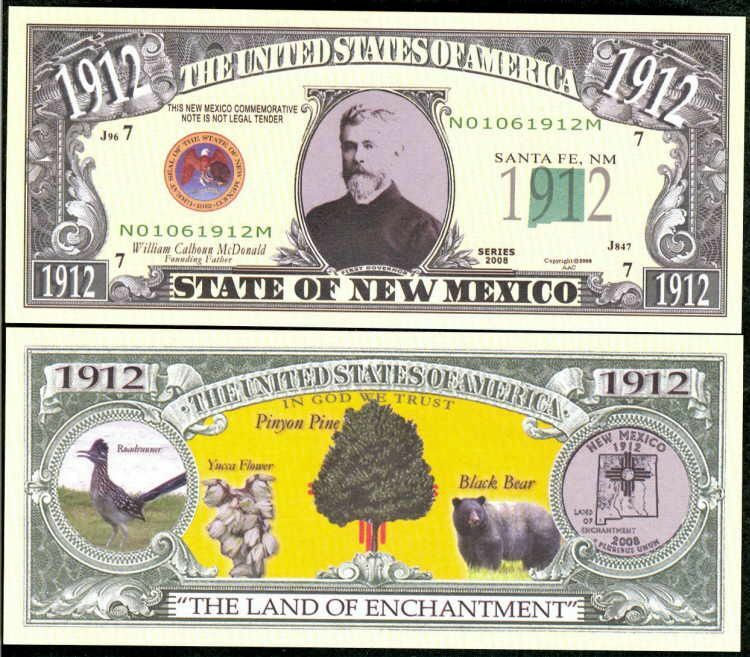 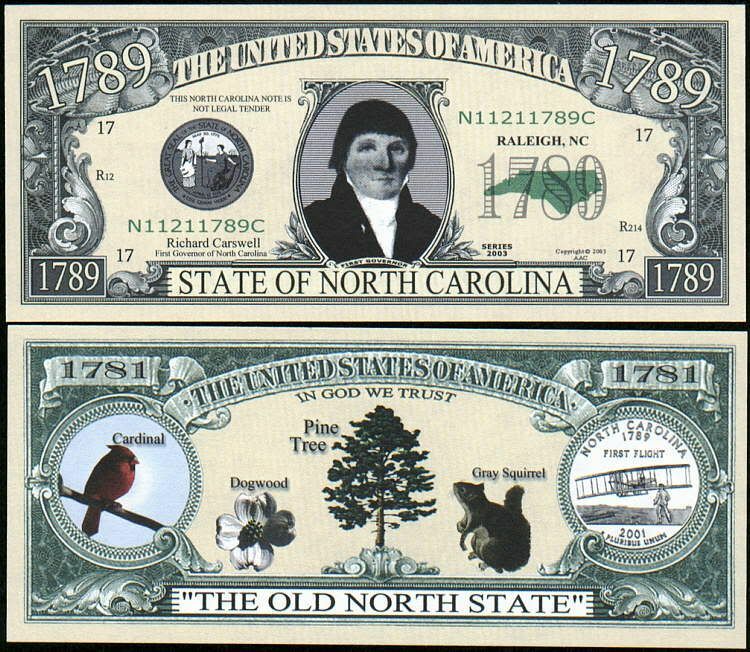 ONLY $2.00 for this set of 5 Postal Bills. 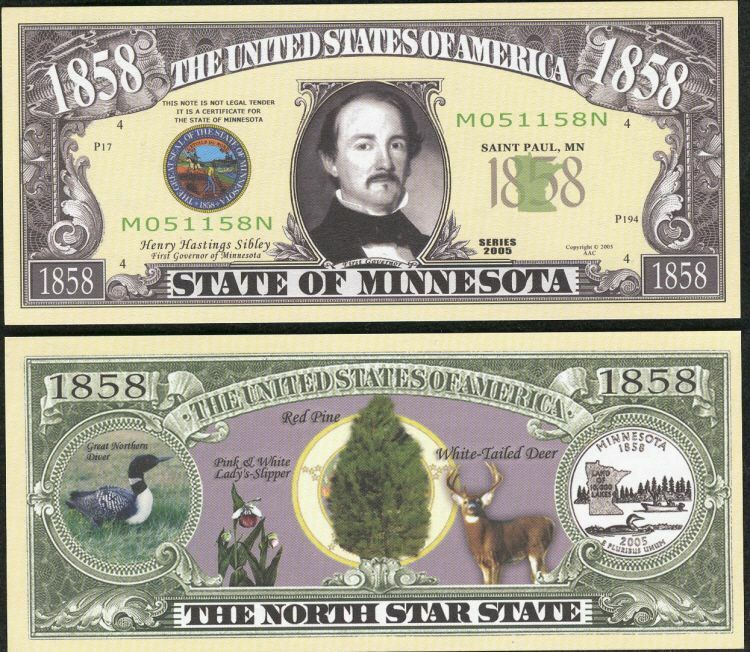 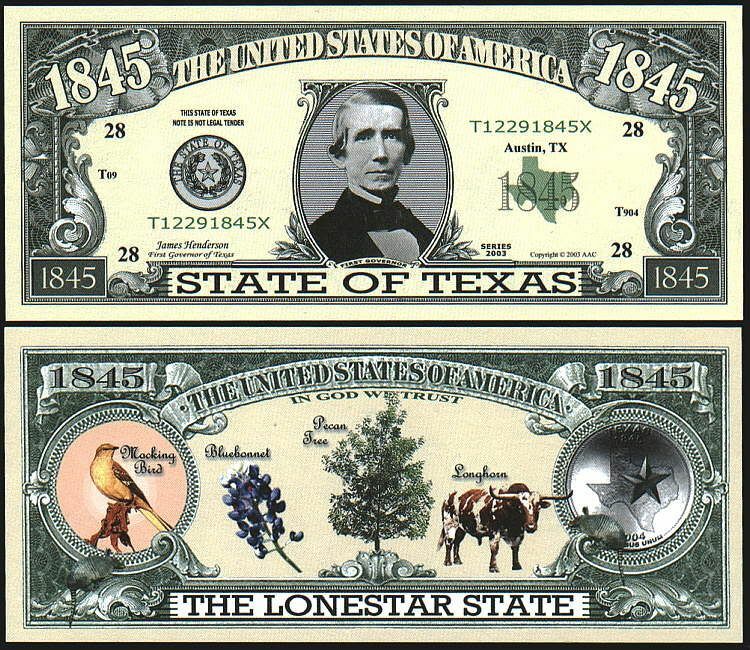 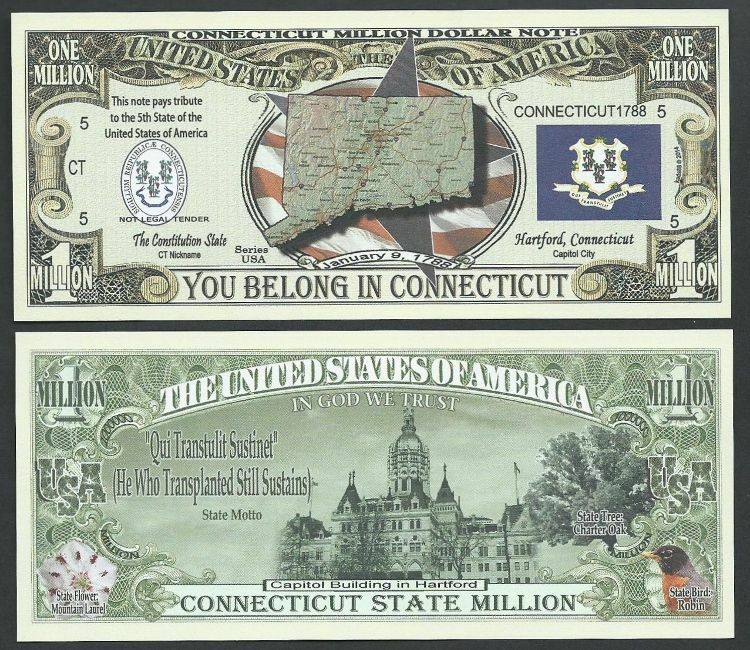 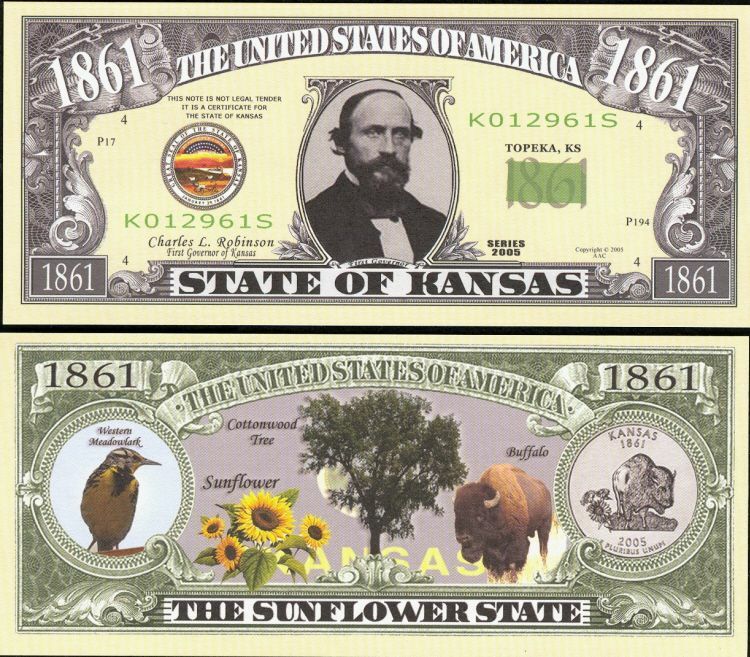 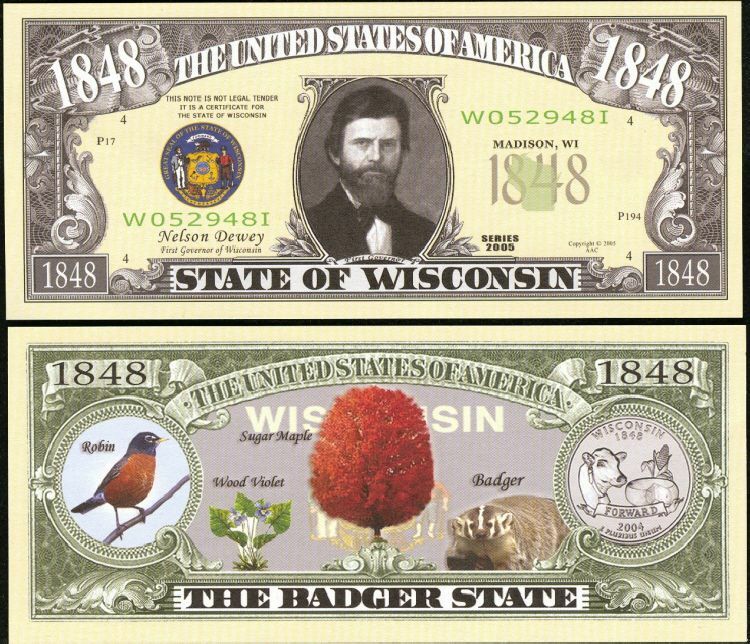 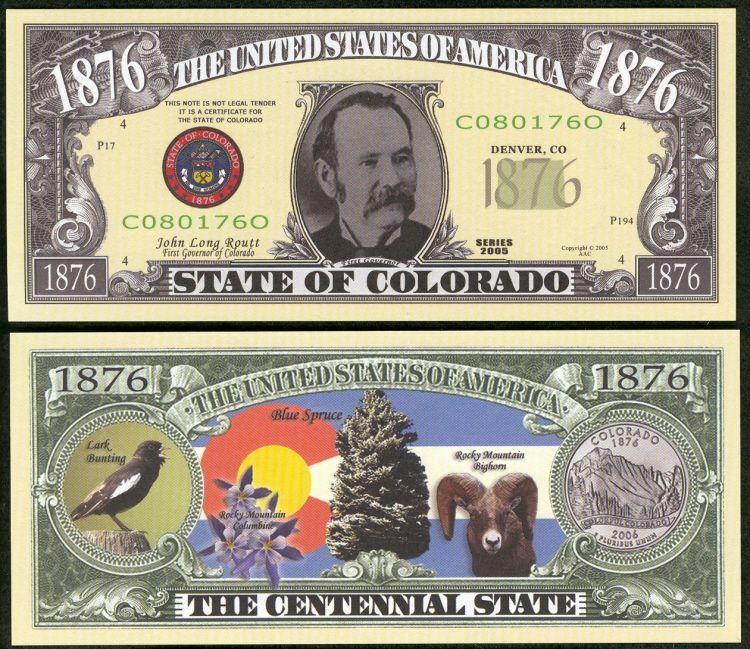 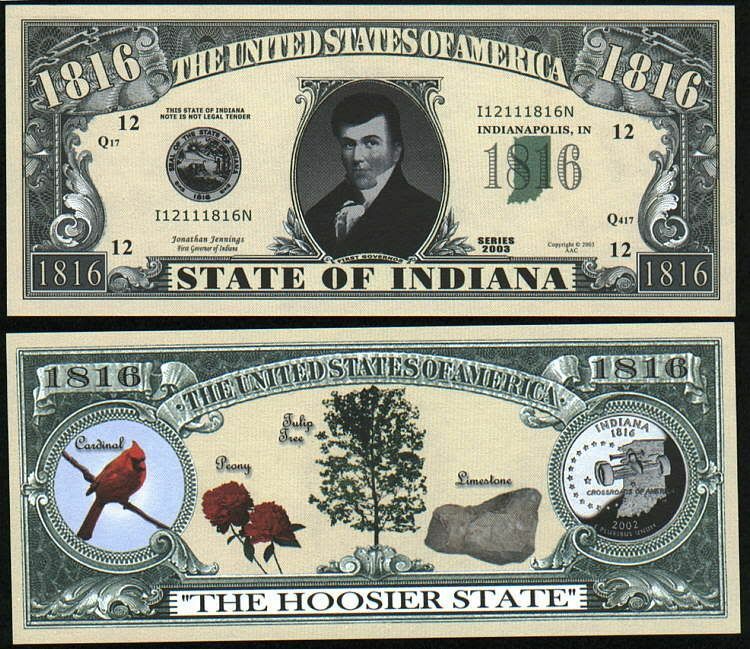 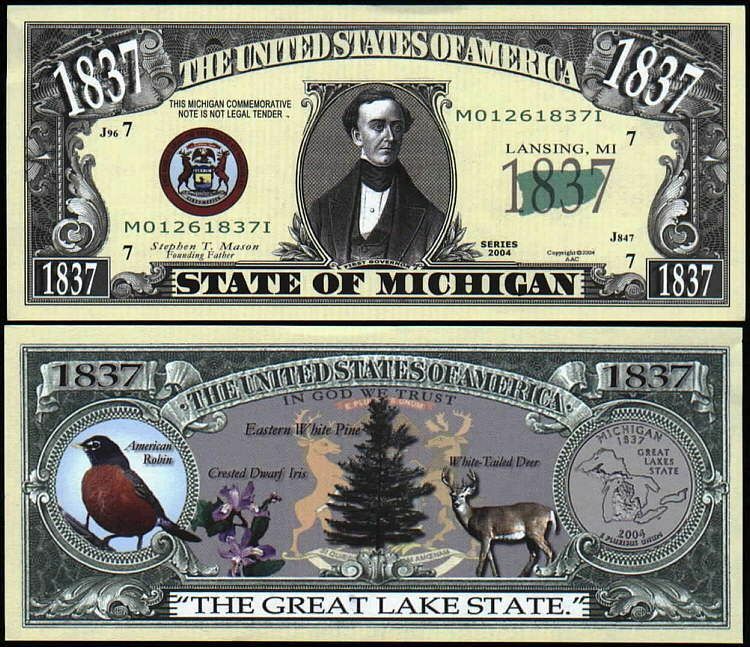 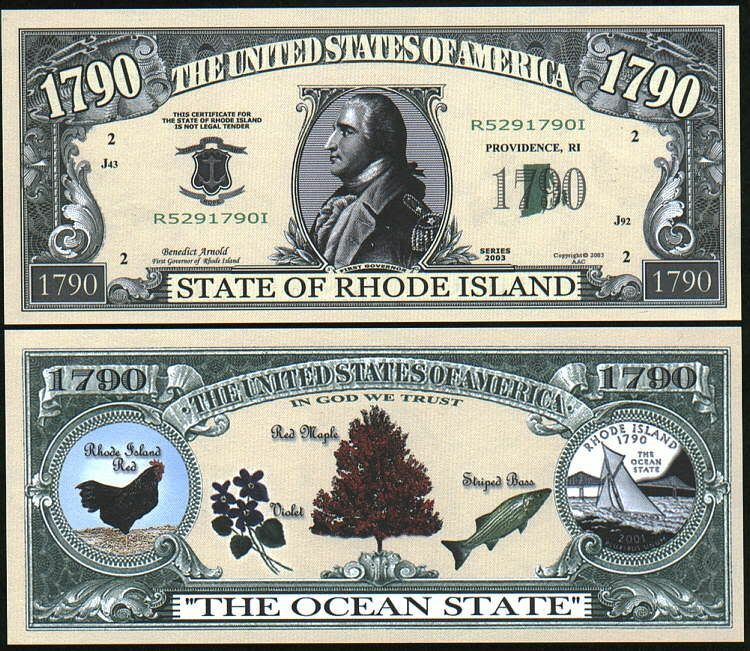 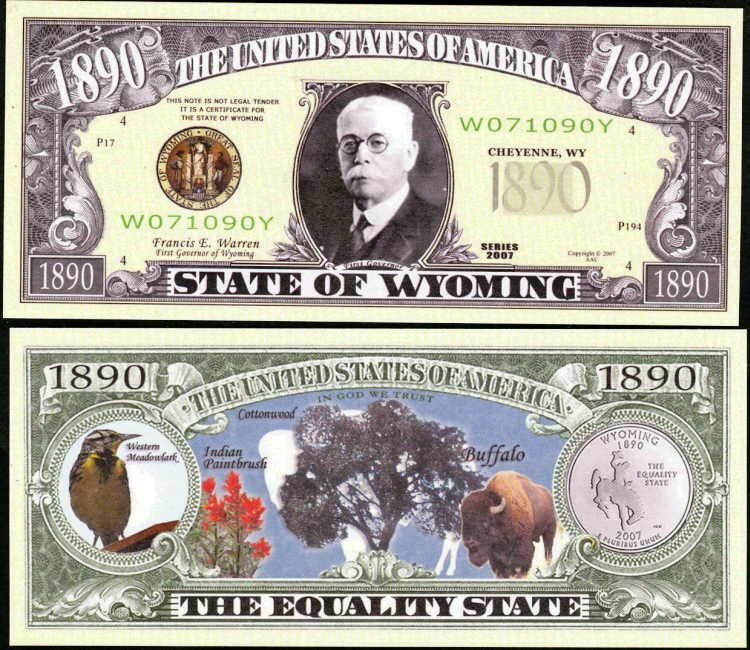 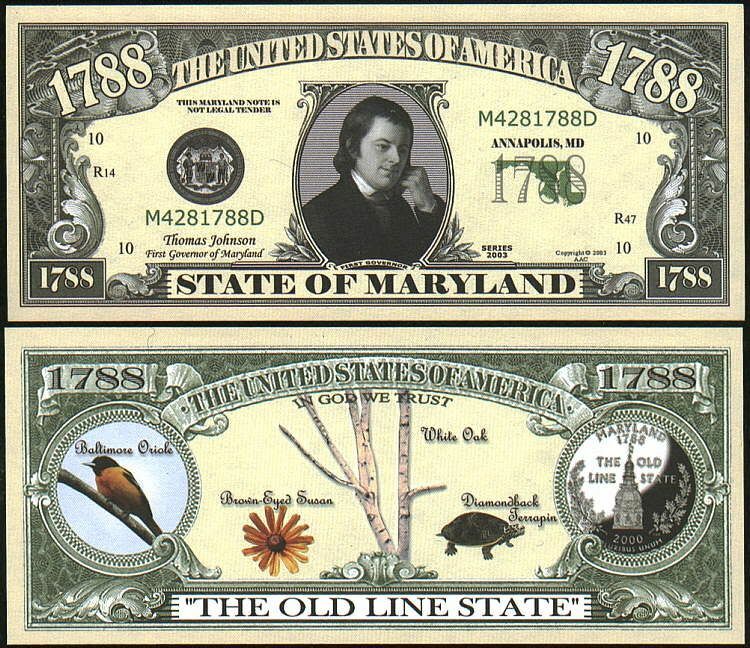 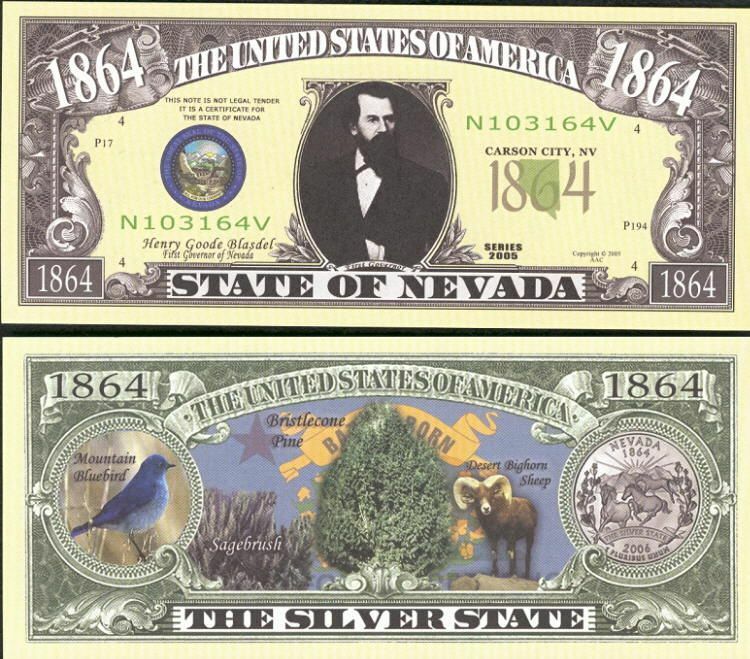 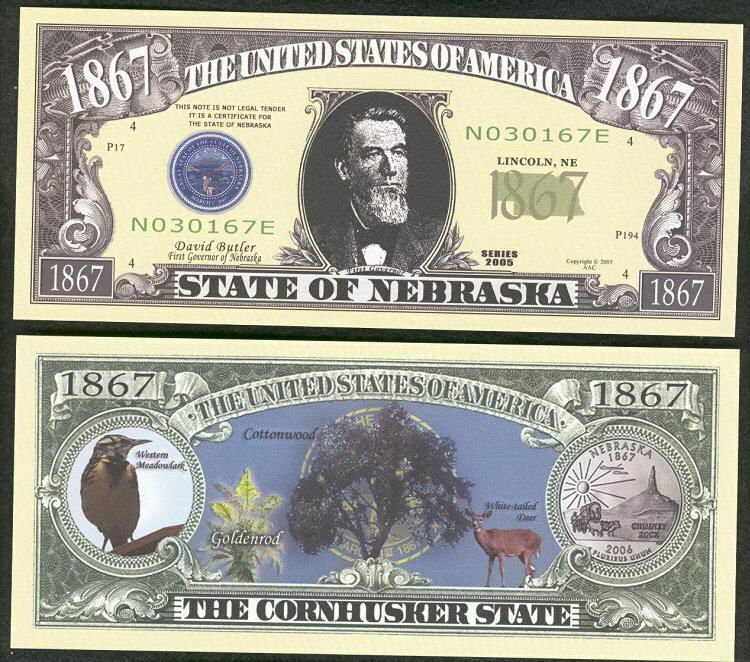 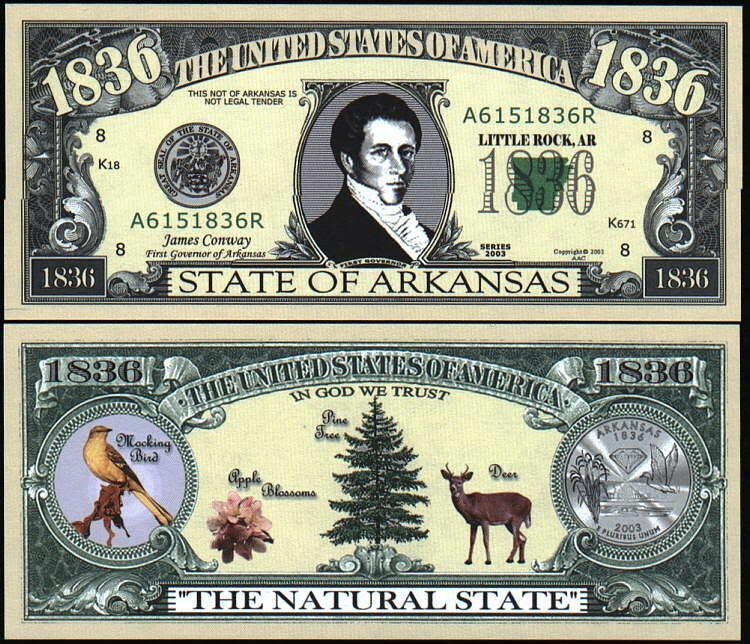 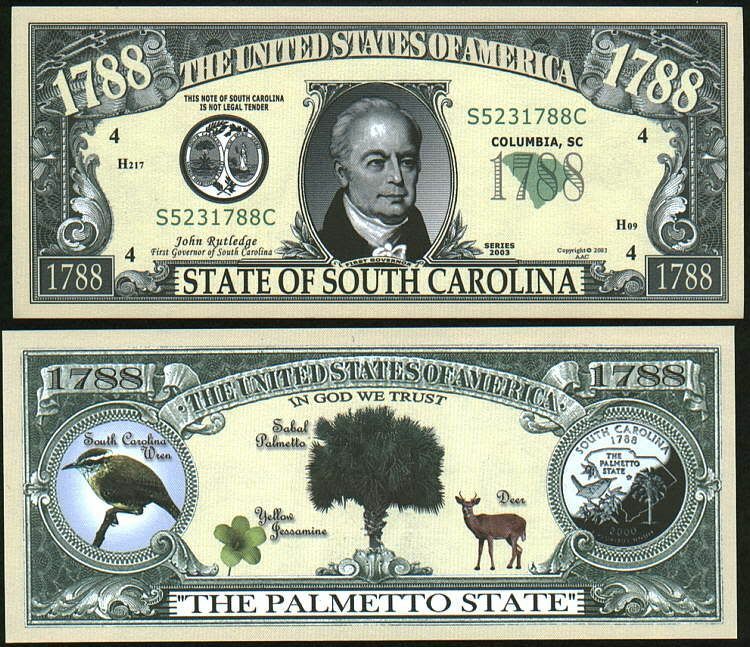 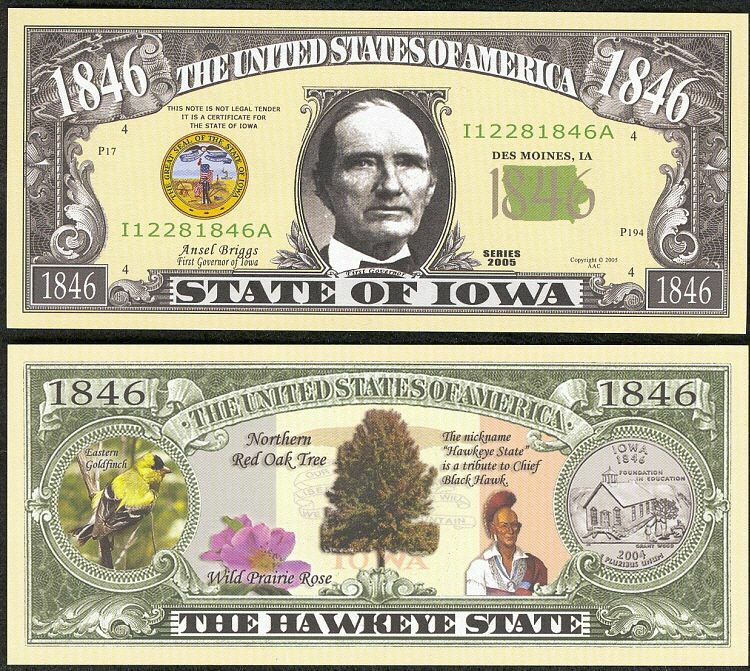 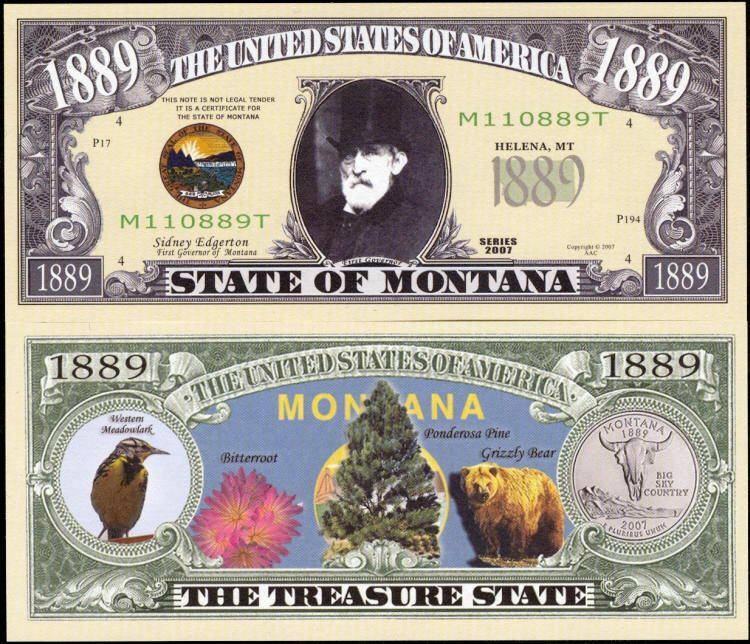 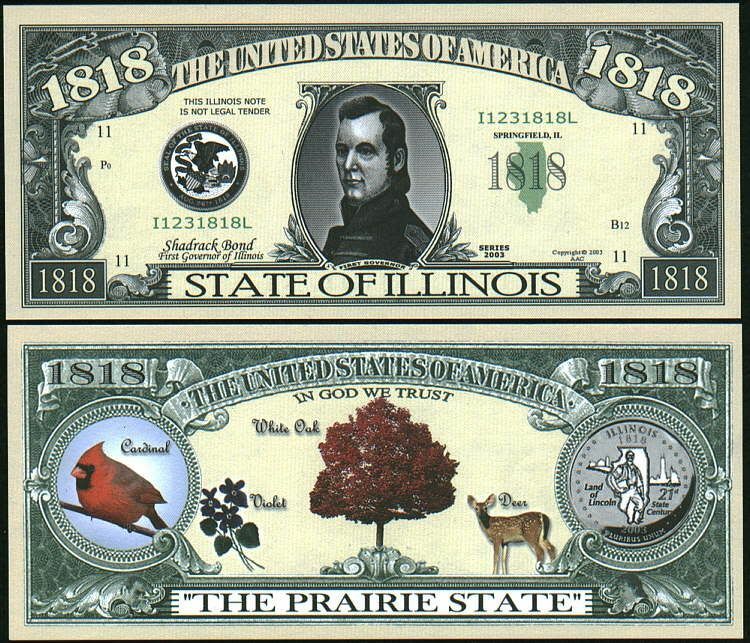 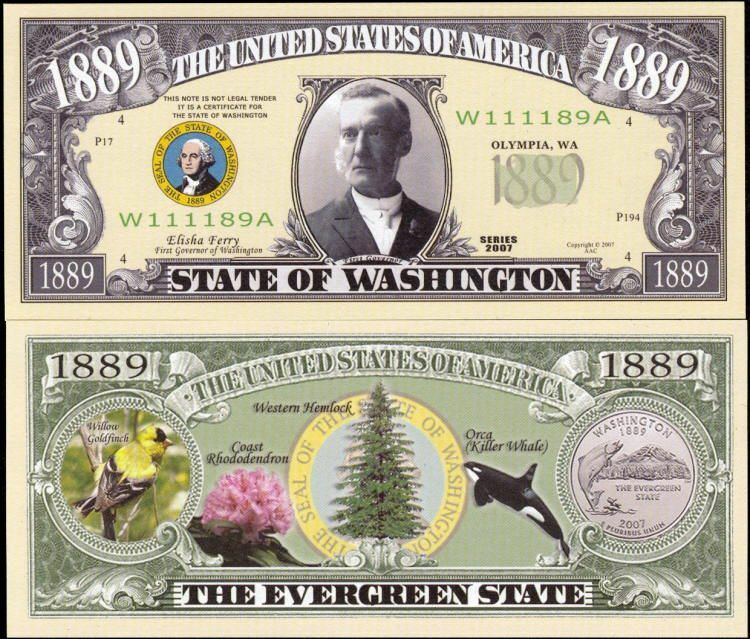 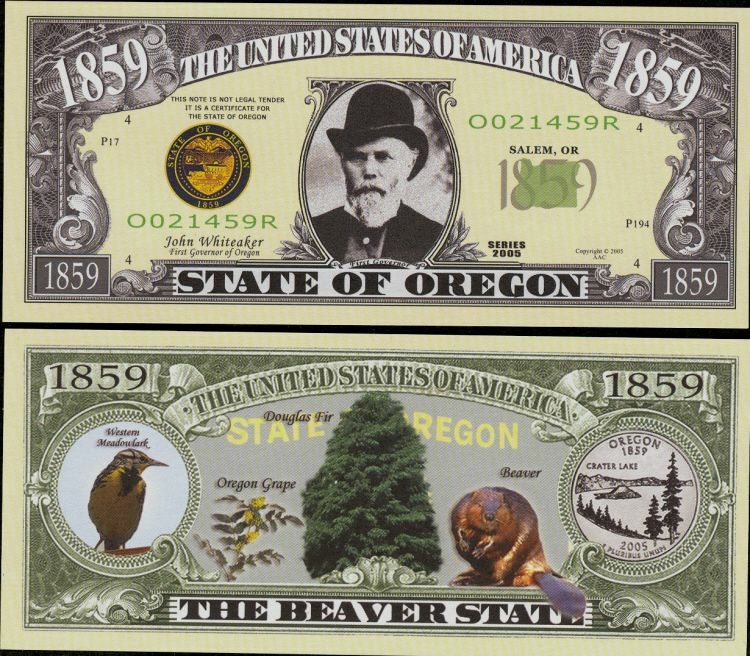 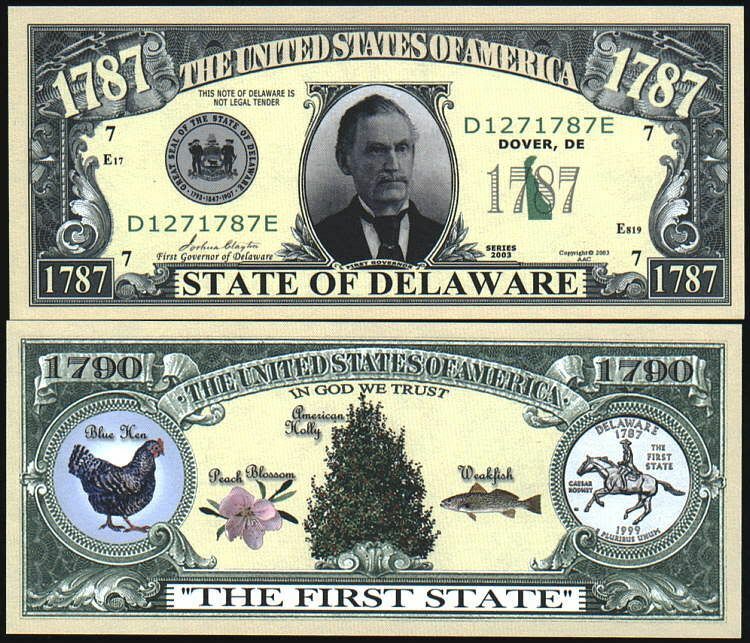 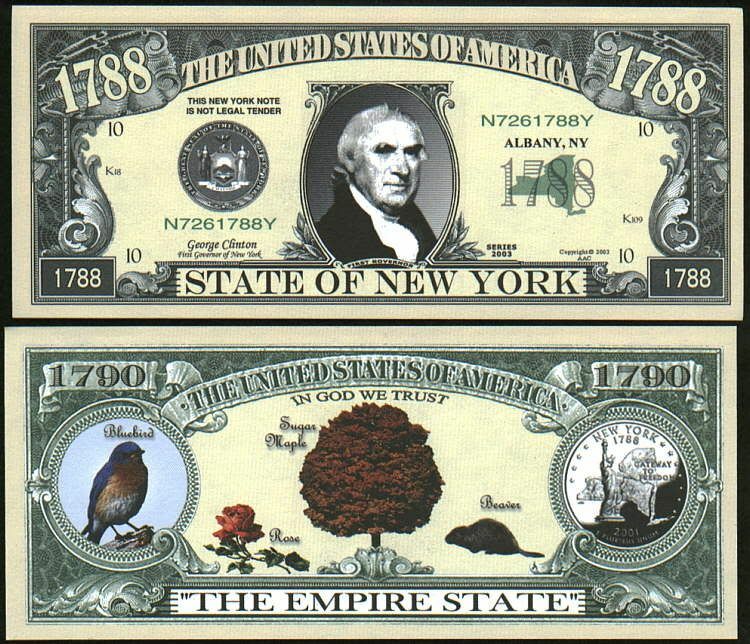 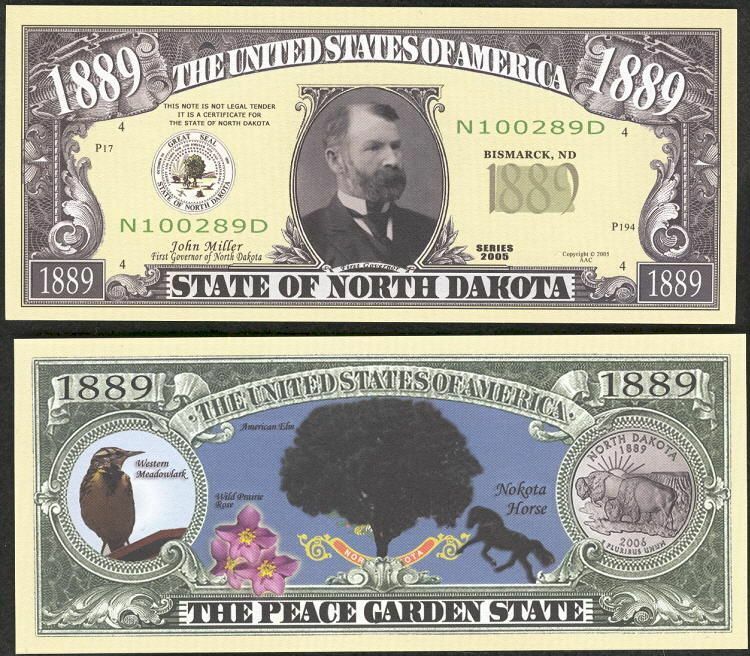 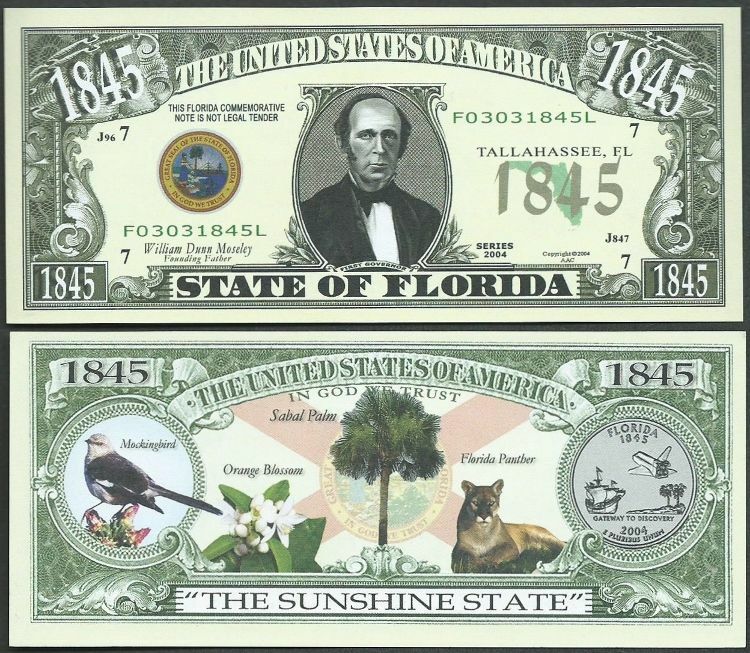 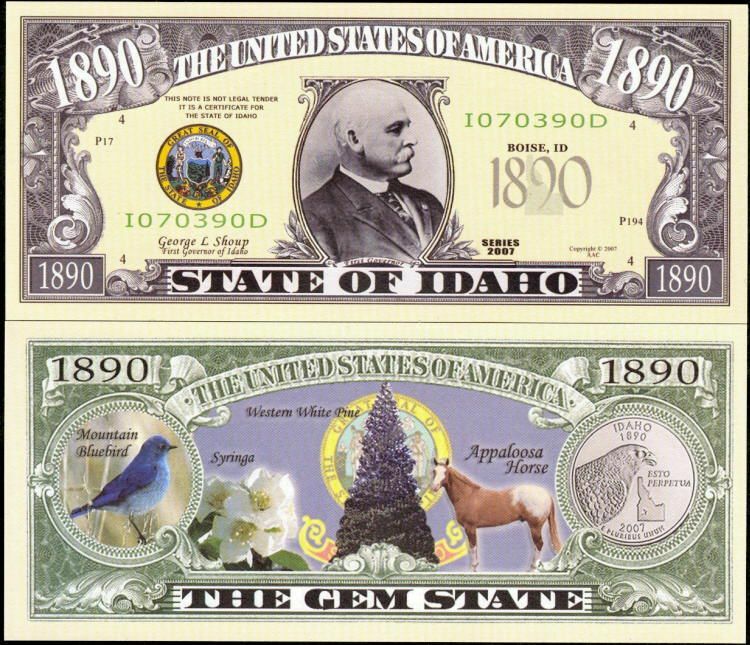 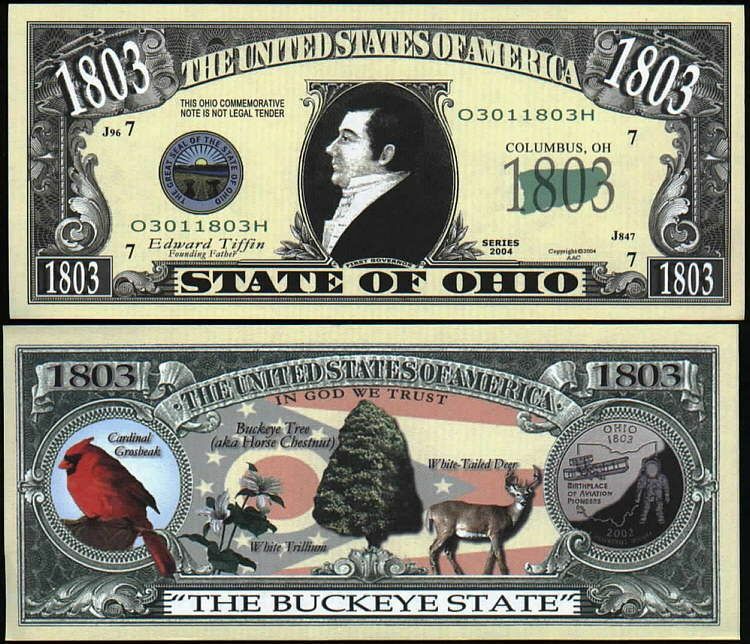 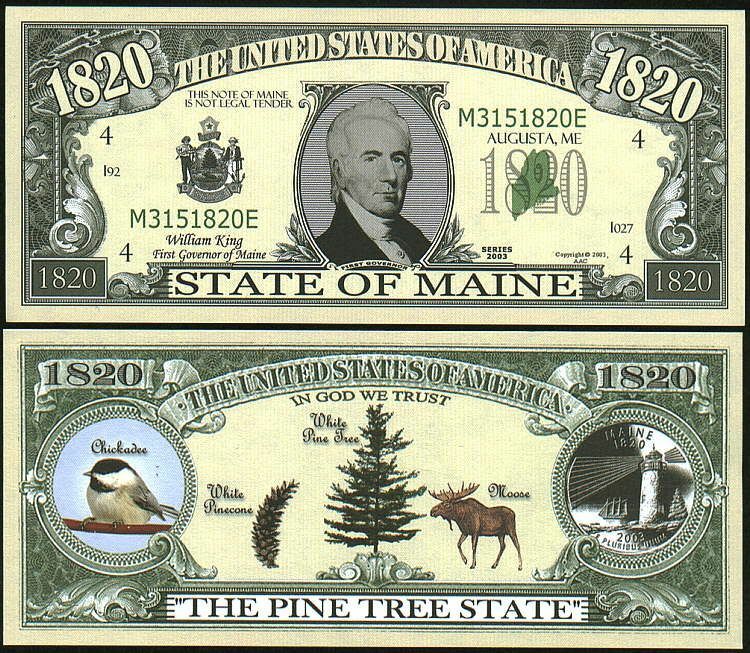 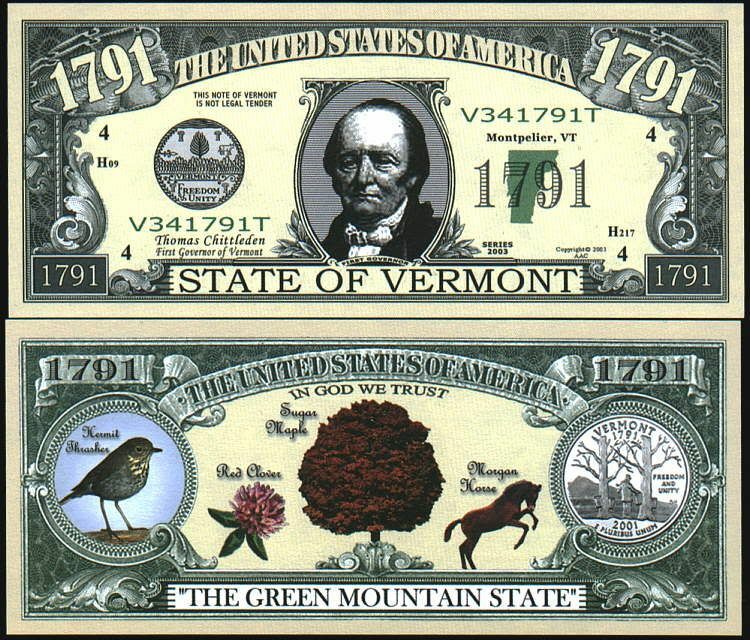 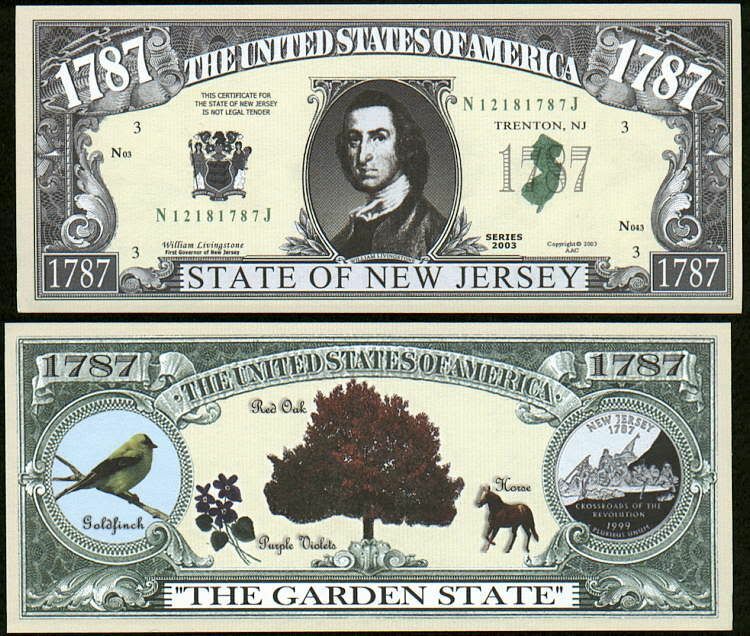 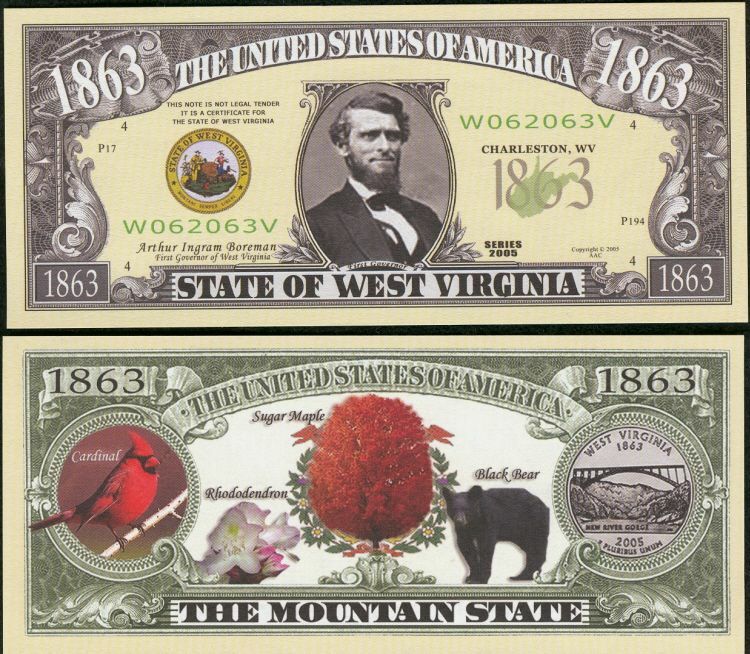 ONLY $12.50 for this set of 50 State Bills. 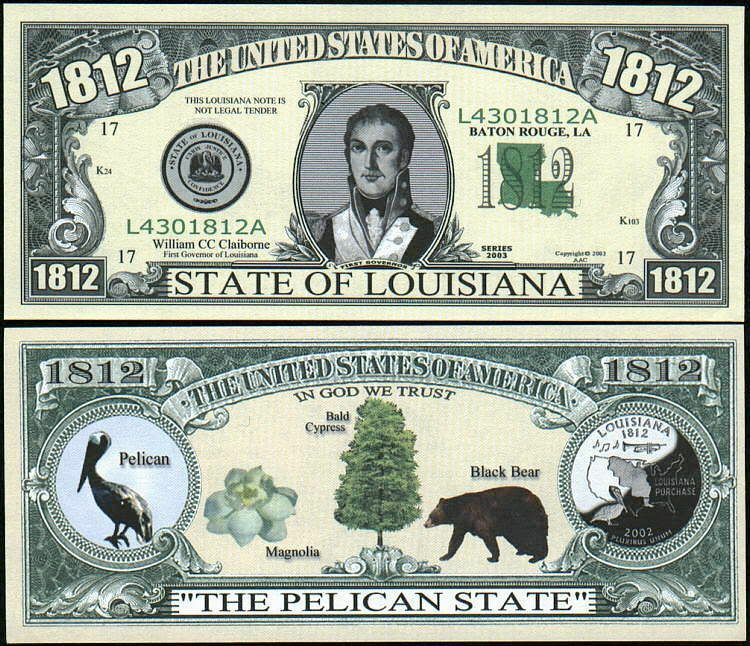 To view a picture of each bill click on the name of the bill below:The Set contains one of each of the State bills listed below. 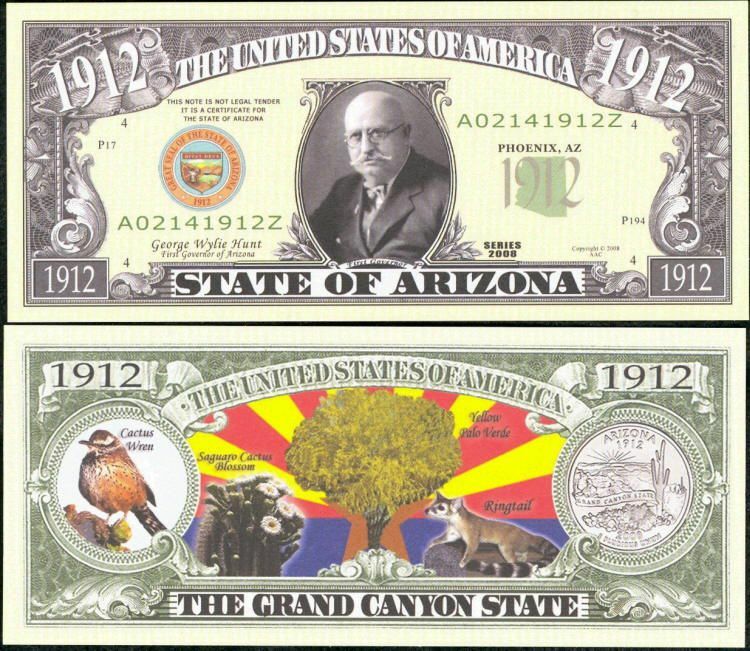 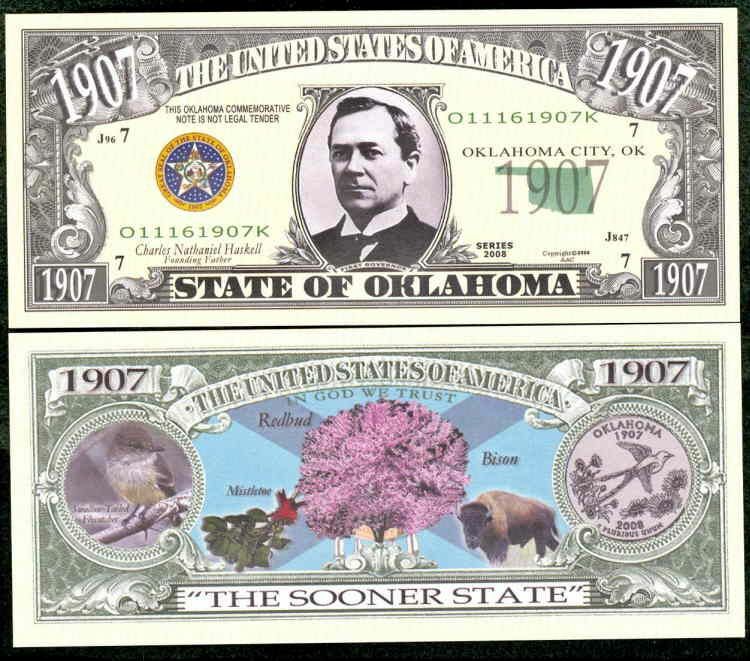 To view a picture of each bill click on the State name. 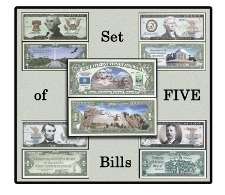 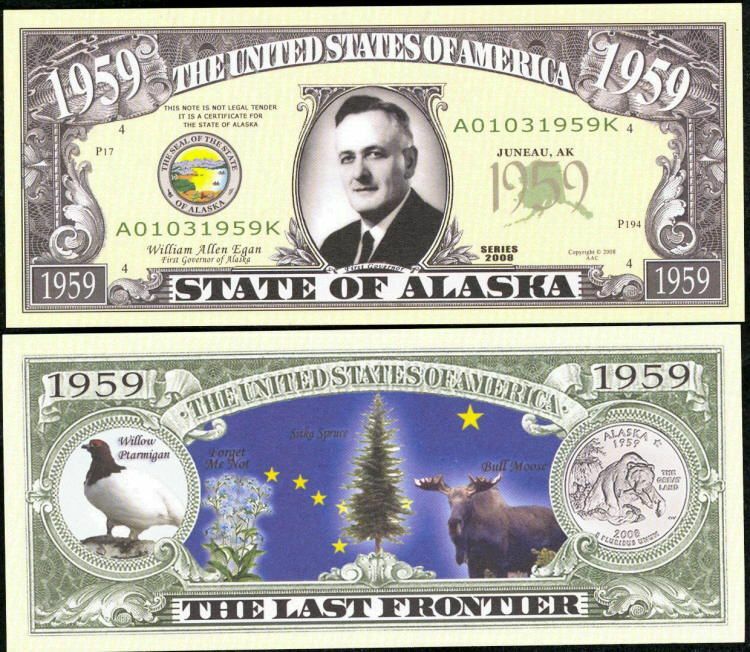 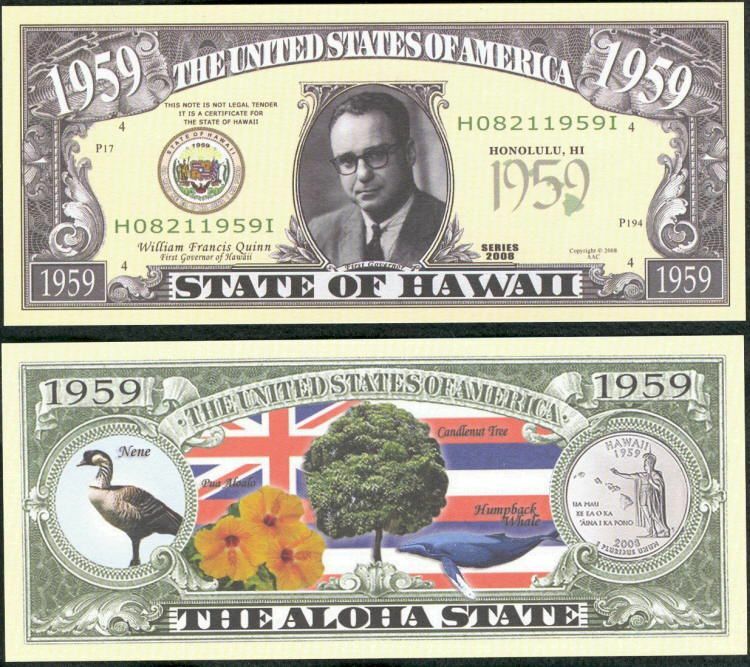 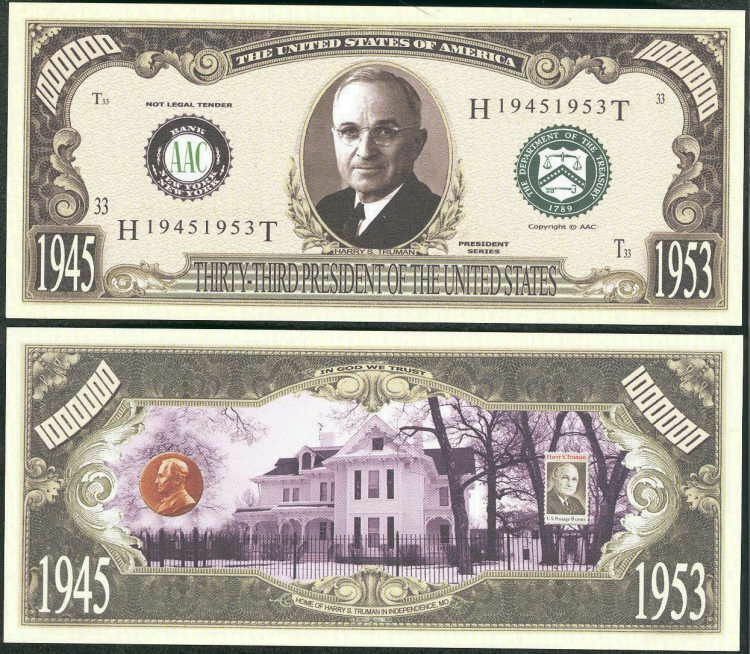 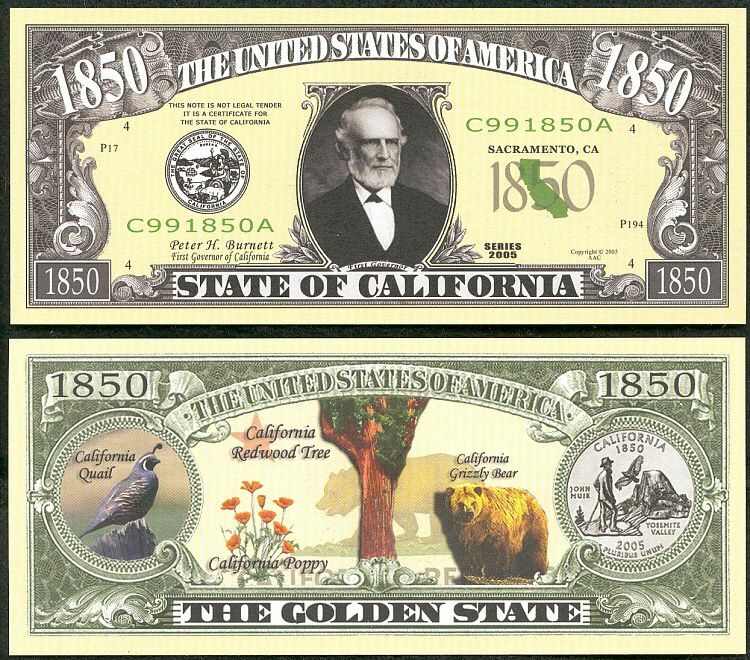 ONLY $15.00 for this set of 50 State Bills. 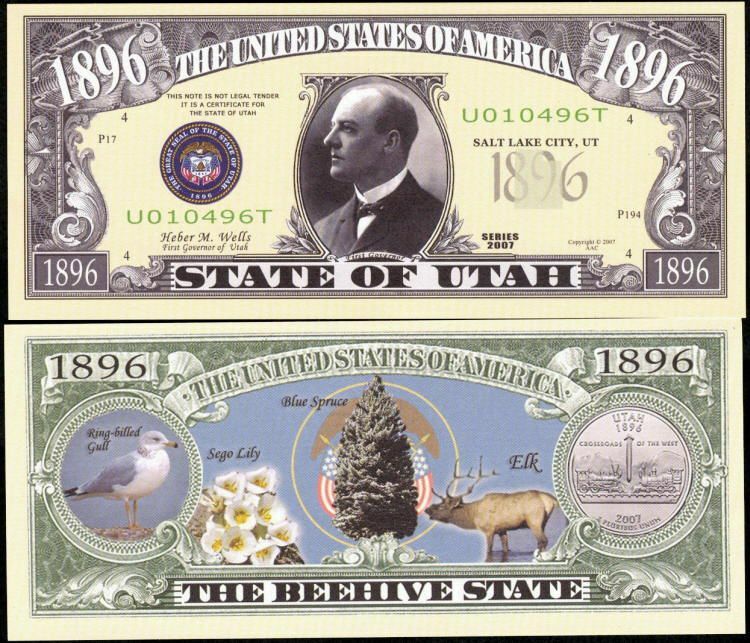 To view a picture of each bill click on the name of the bill below: The Set contains one of each of the State bills listed below. 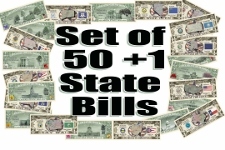 To view a picture of each bill click on the�State name.